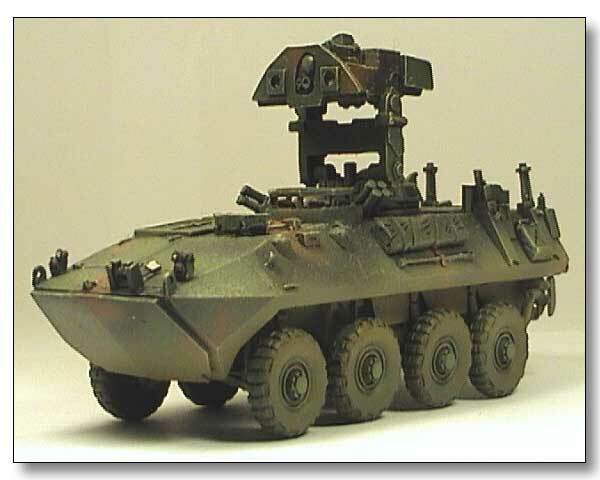 Kit 72001 - Armored reconnaissance vehicle BRDM. 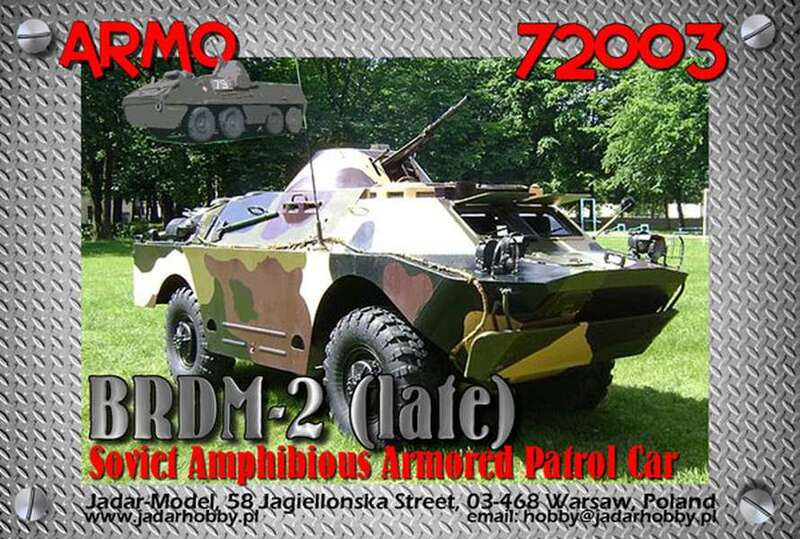 Kit 72002 - Armored reconnaissance vehicle BRDM2. 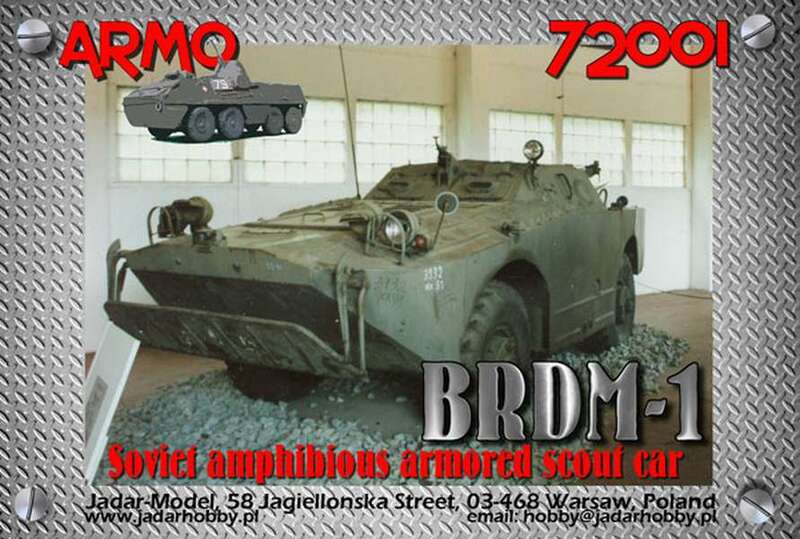 Kit 72003 - Armored reconnaissance vehicle BRDM2 late version. 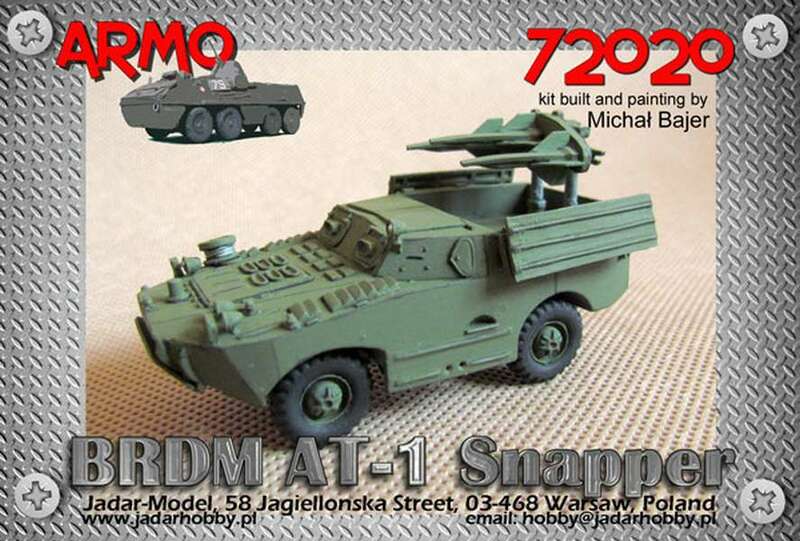 Kit 72004 - Tank destroyer BRDM2 with Malutka/Sagger. 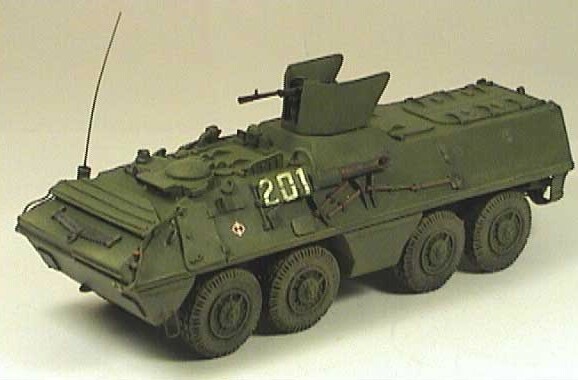 Kit 72005 - Armored reconnaissance vehicle BRDM model 96. 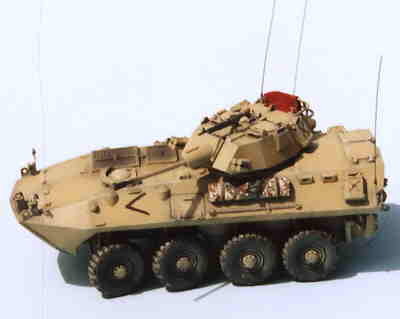 Kit 72006 - Wheeled armored carrier SKOT 1. 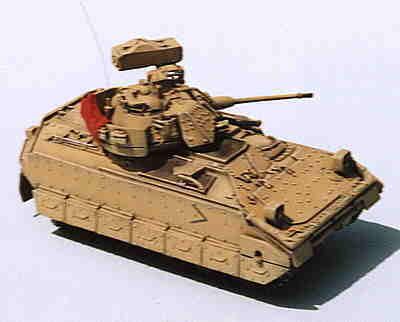 Kit 72007 - Wheeled armored carrier SKOT 1 with turret. 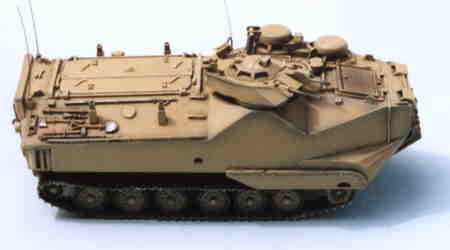 Kit 72008 - Wheeled armored carrier SKOT 1A. 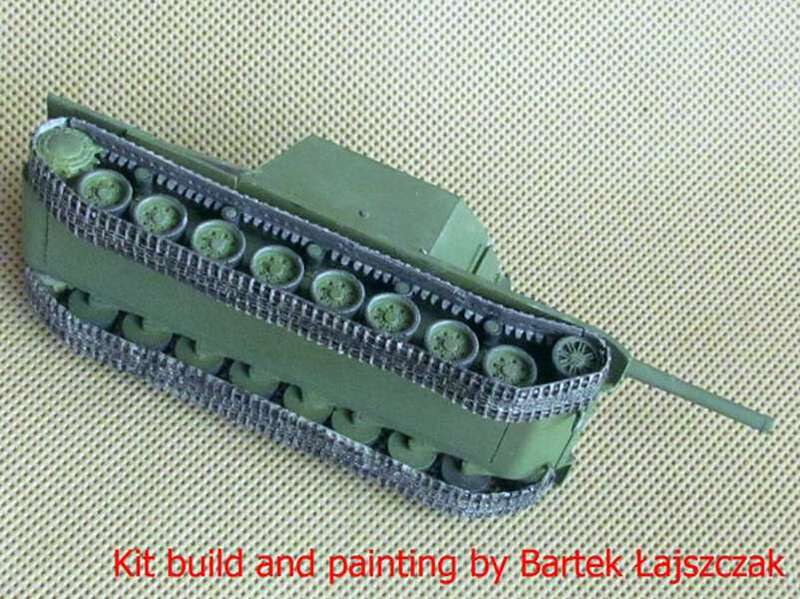 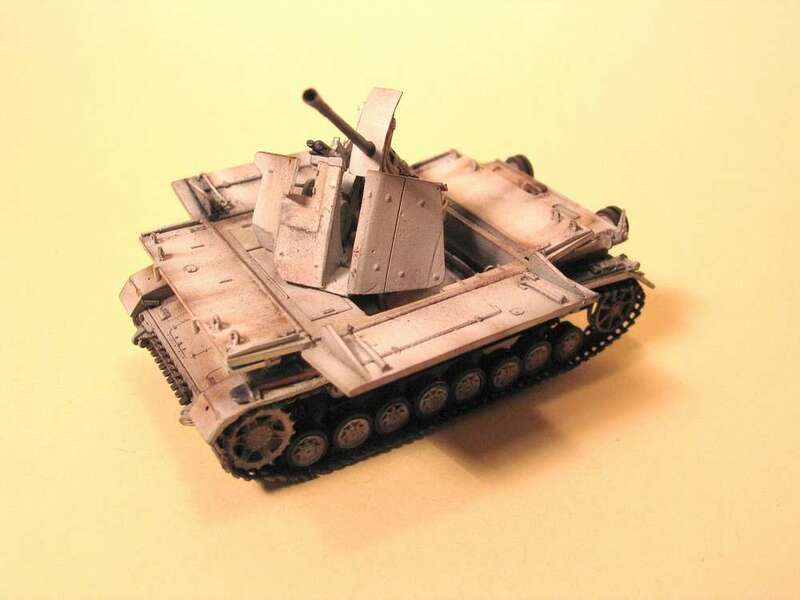 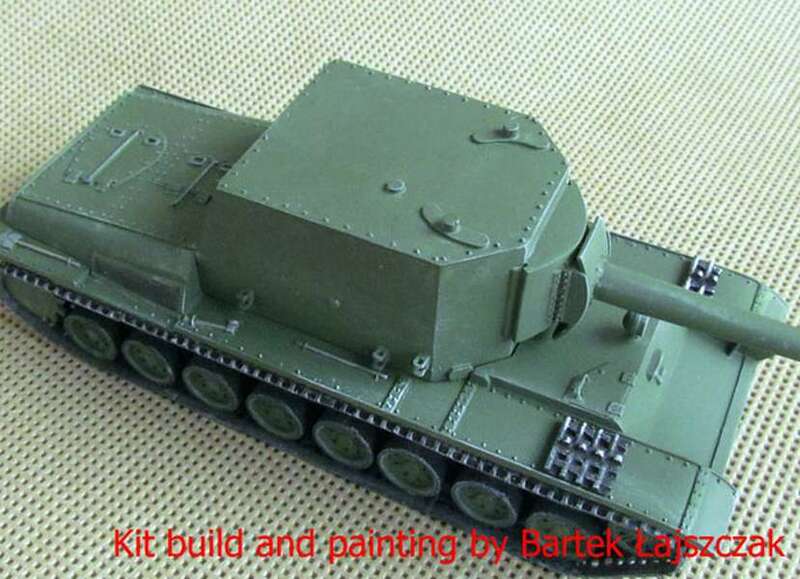 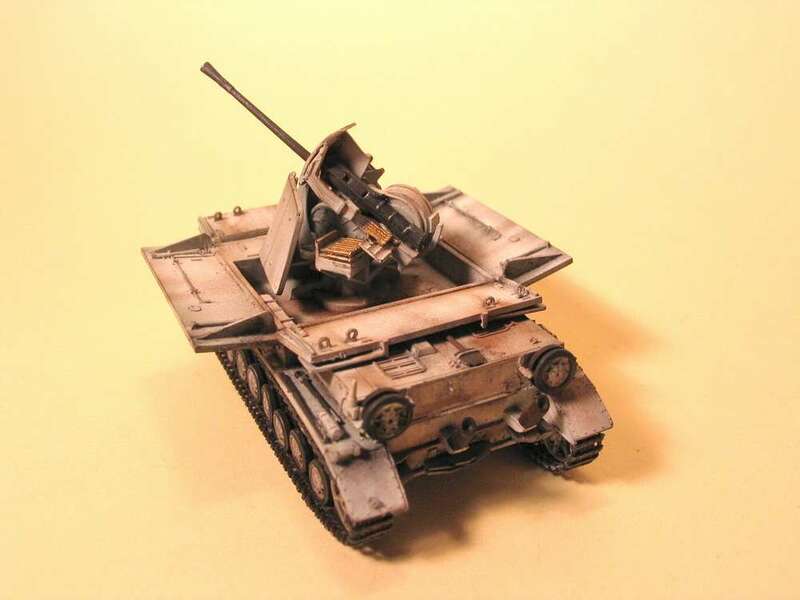 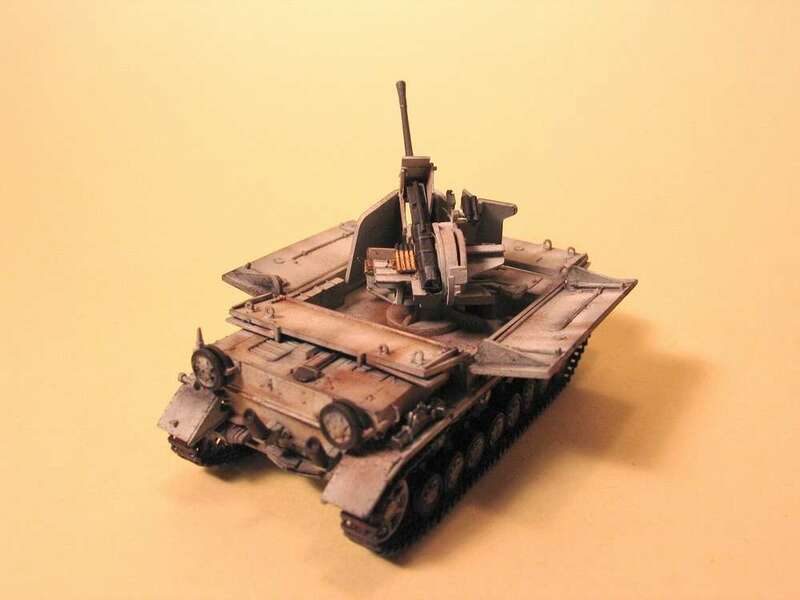 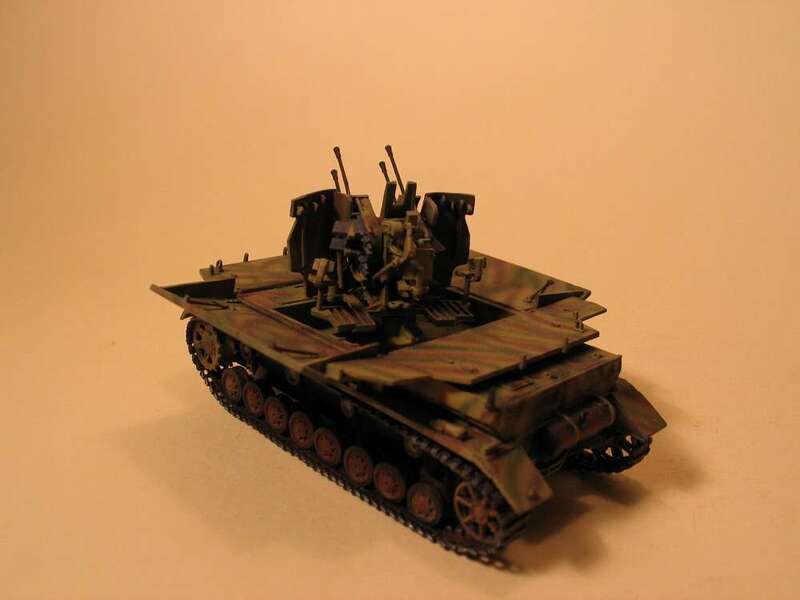 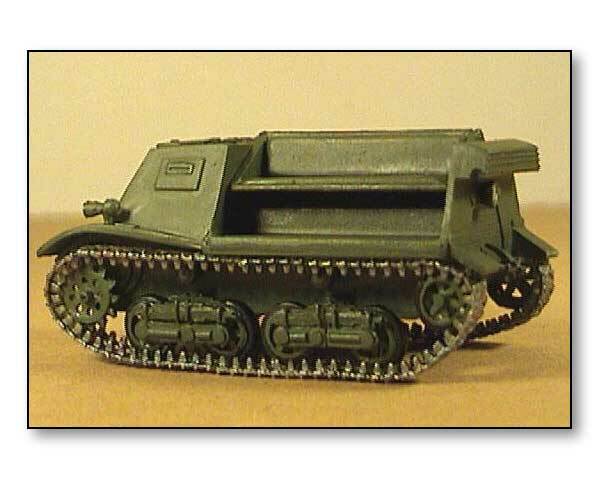 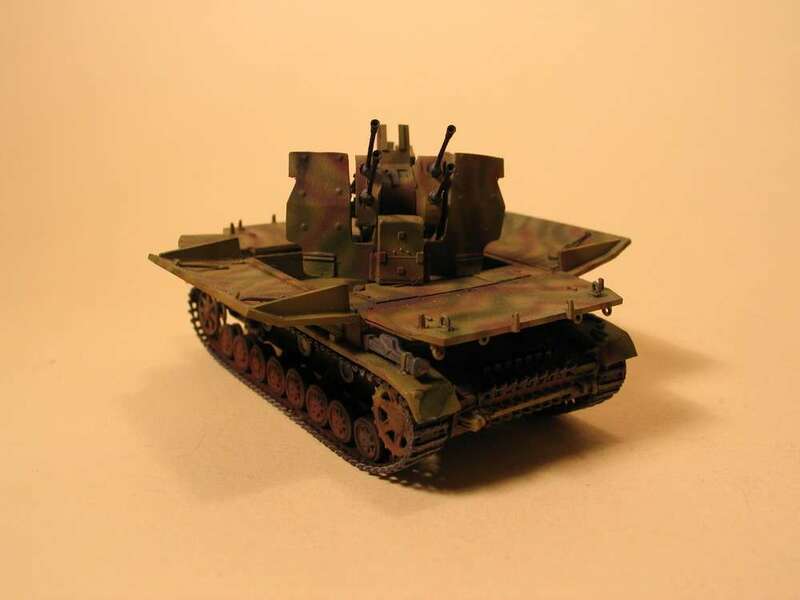 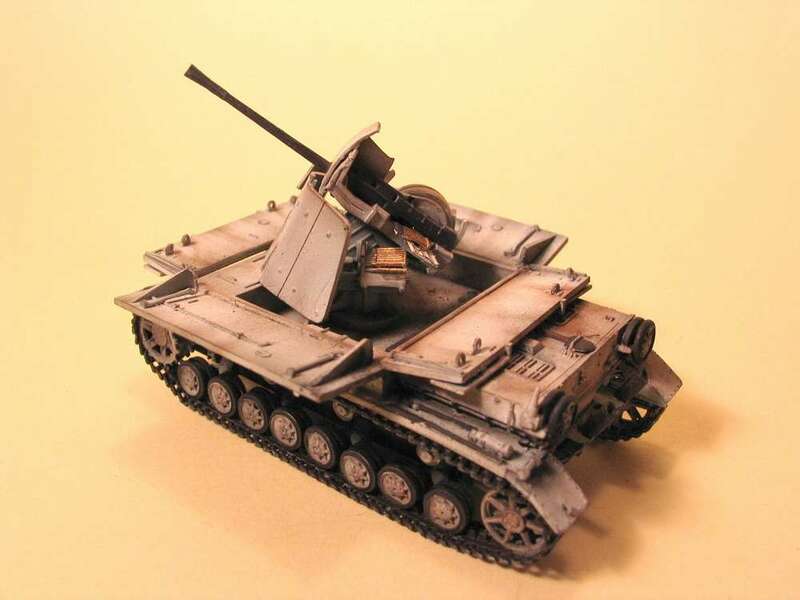 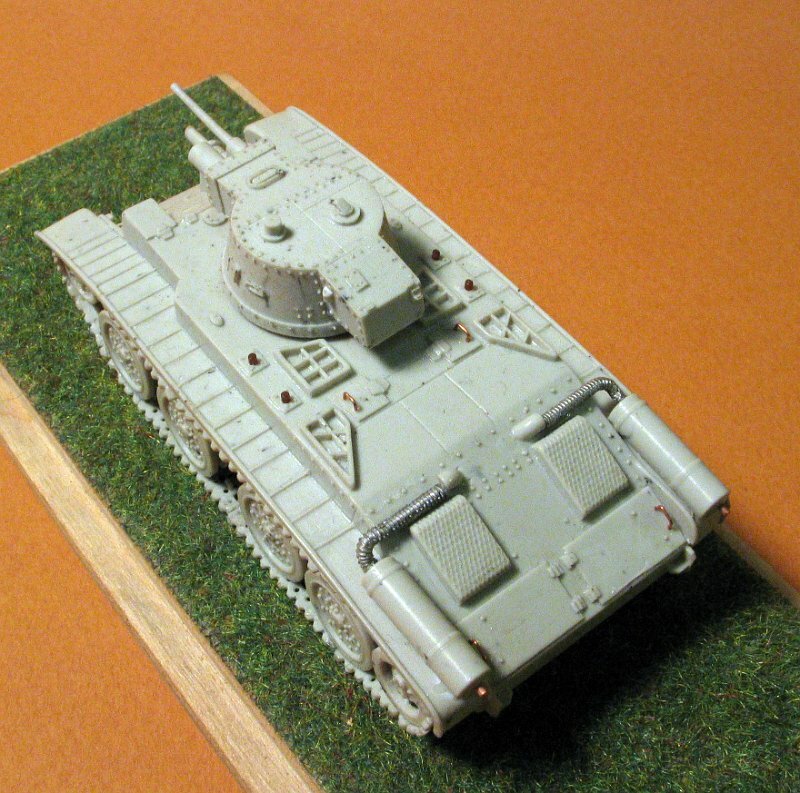 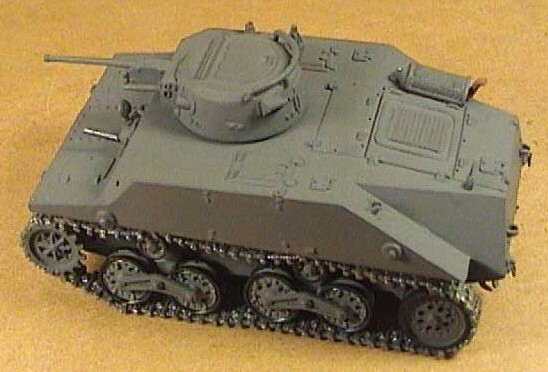 Kit 72009 - Wheeled armored carrier SKOT 2A. 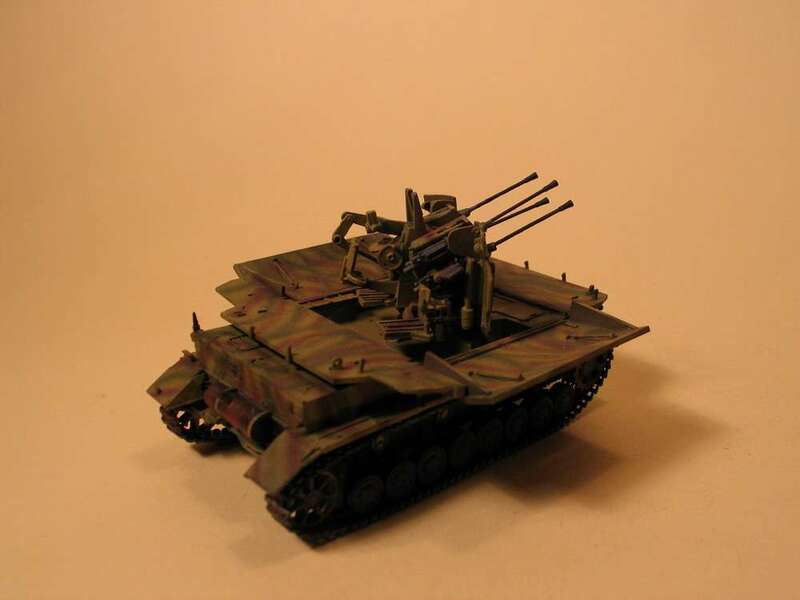 Kit 72010 - Wheeled armored carrier SKOT 2AP. 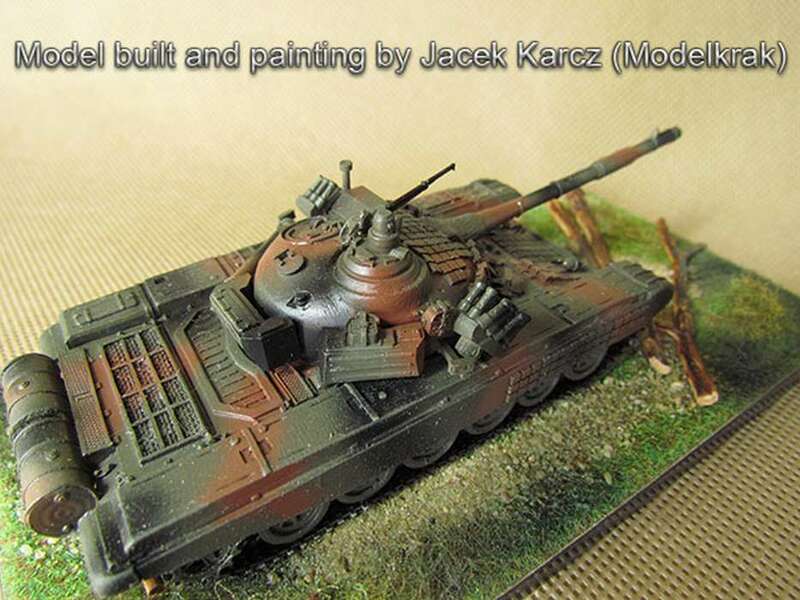 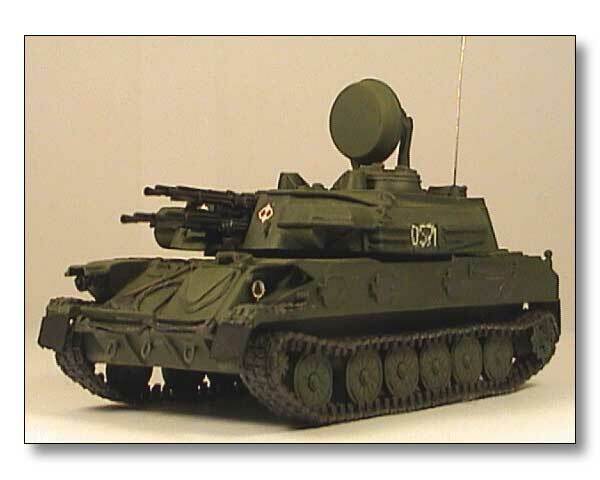 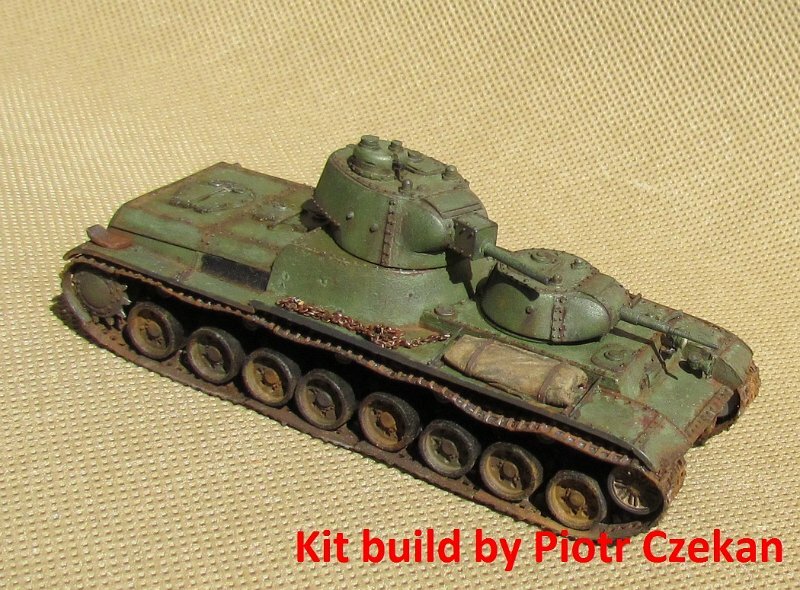 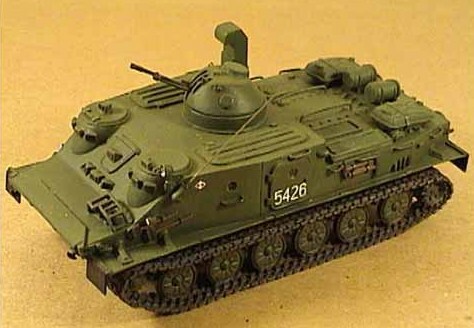 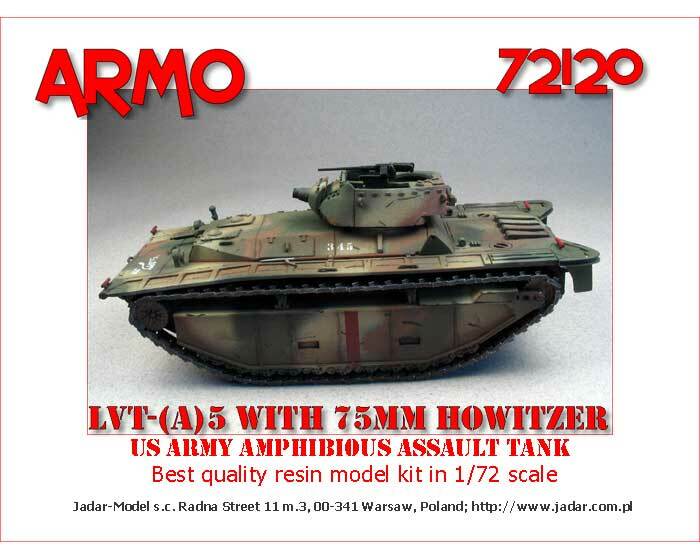 Kit 72011 - Amphibious tank PT-76B. 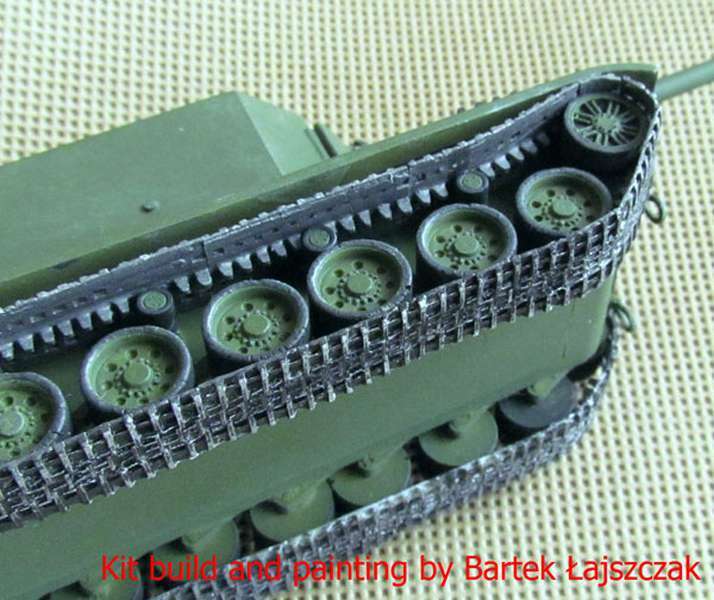 Kit 72012 - Tracked armoured carrier BTR-50PK. 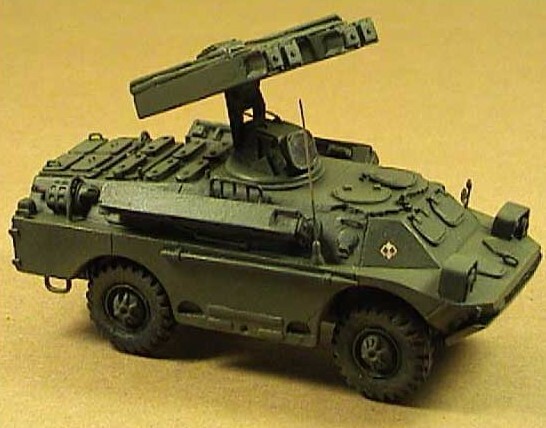 Kit 72013 - AA missile launcher SA-9 Gaskin. 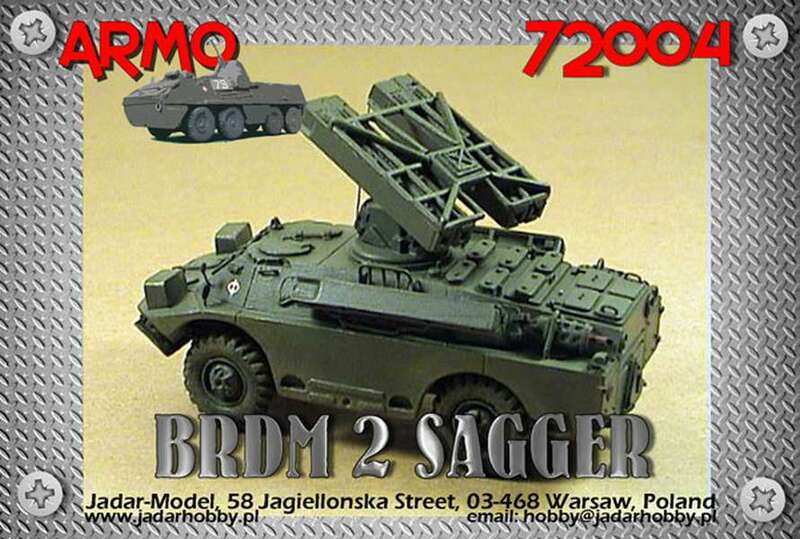 Kit 72014 - BRDM with Malutka-M. / Sagger AT missile. 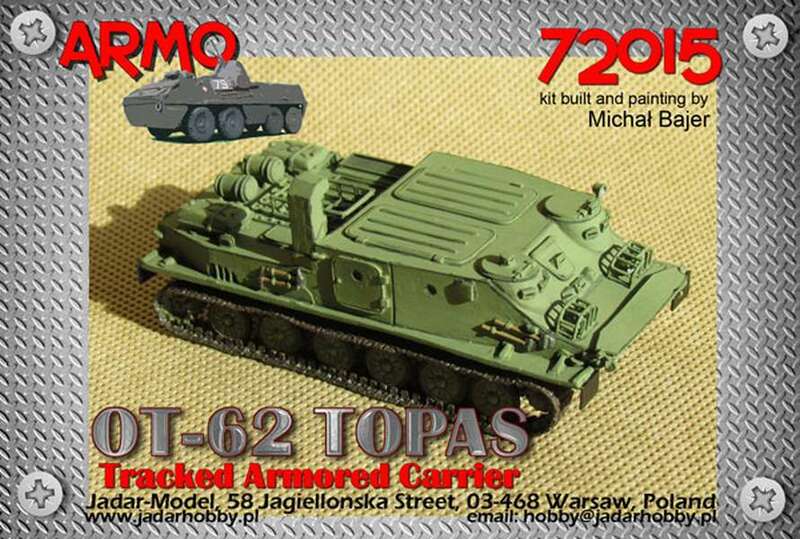 Kit 72015 - Tracked armoured carrier OT-62 TOPAS. 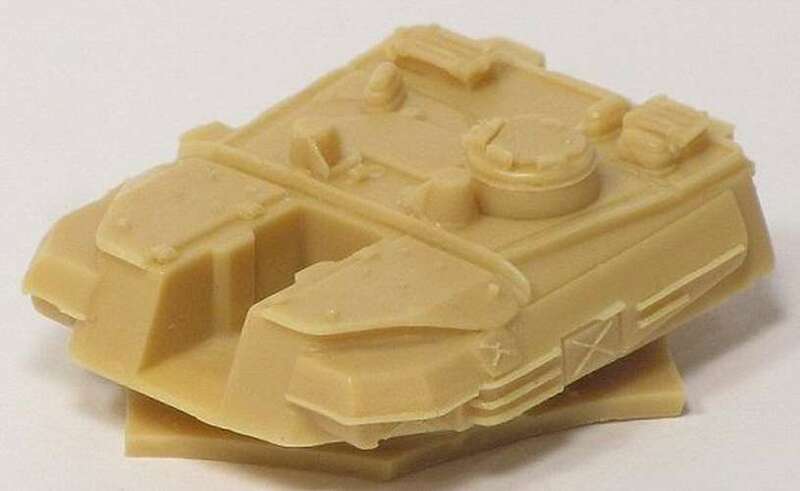 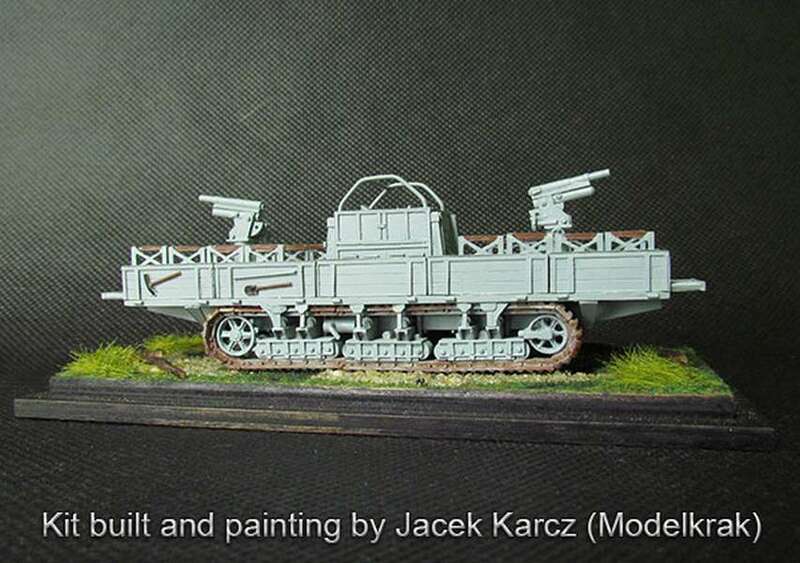 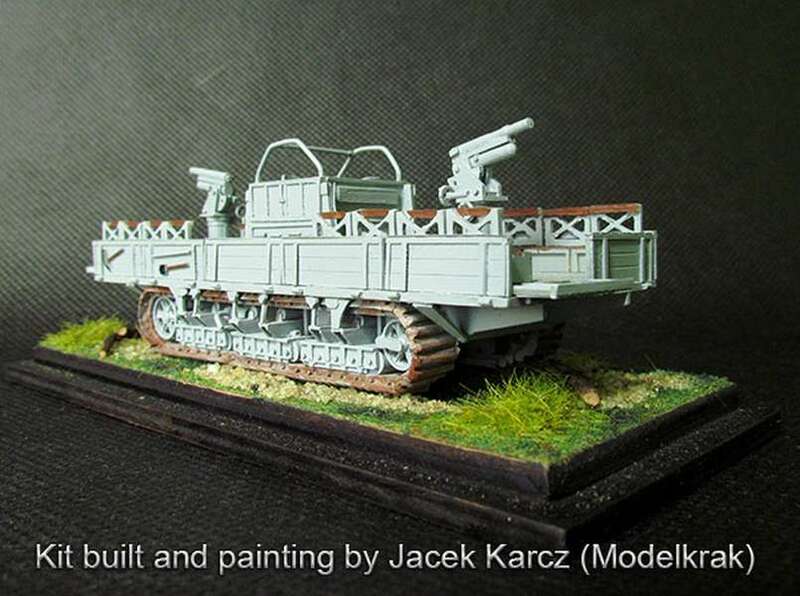 Kit 72016 - Tracked armoured carrier TOPAS 2AP. 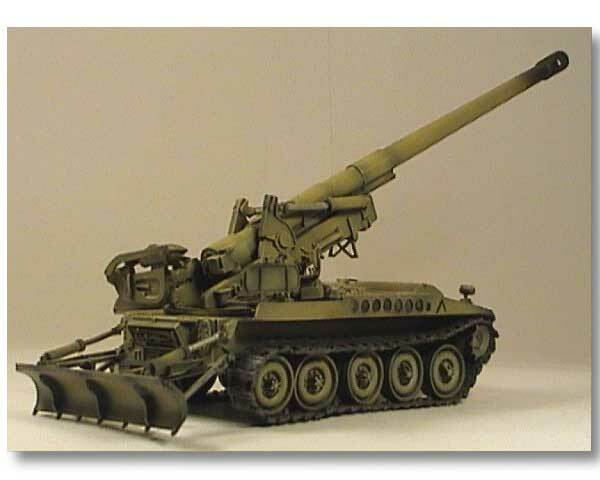 Kit 72017 - Self propelled AA gun ZSU 23-4W1 Shilka. 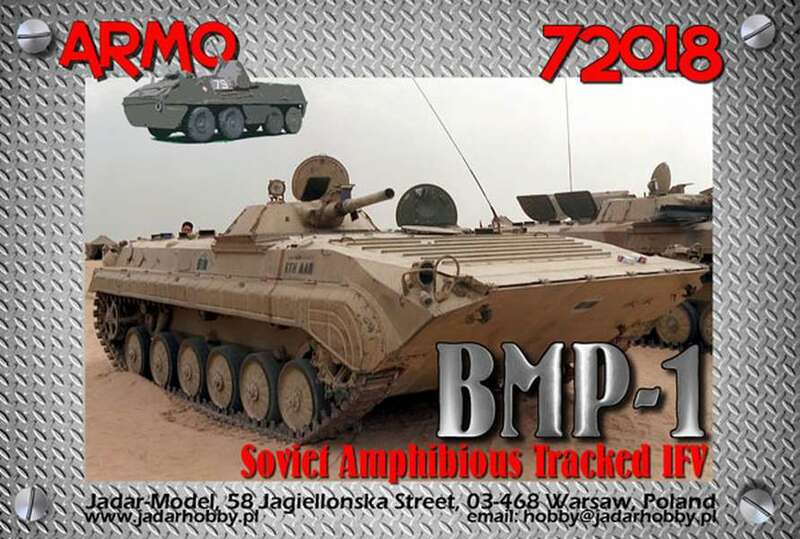 Kit 72018 - Infantry combat vehicle BMP-1. 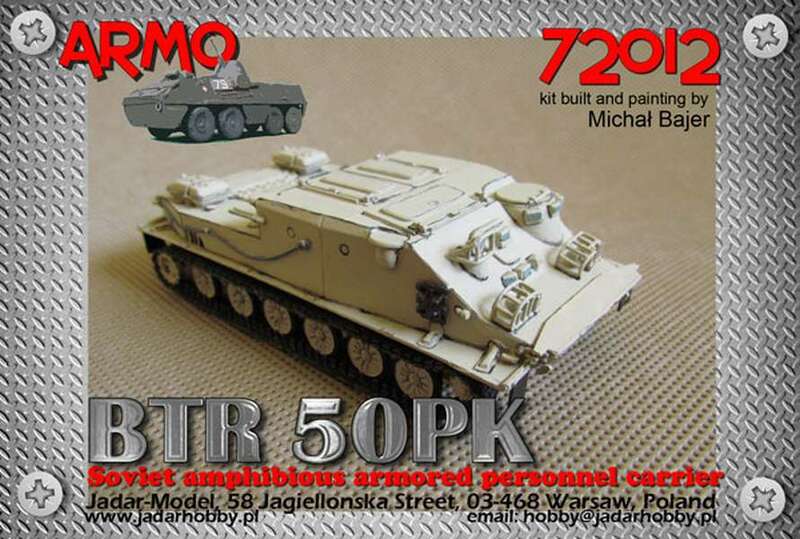 Kit 72019 - Self propelled gun ASU 85.BR> Kit 72020 - Tank destroyer BRDM + Trzimiel/Snapper. 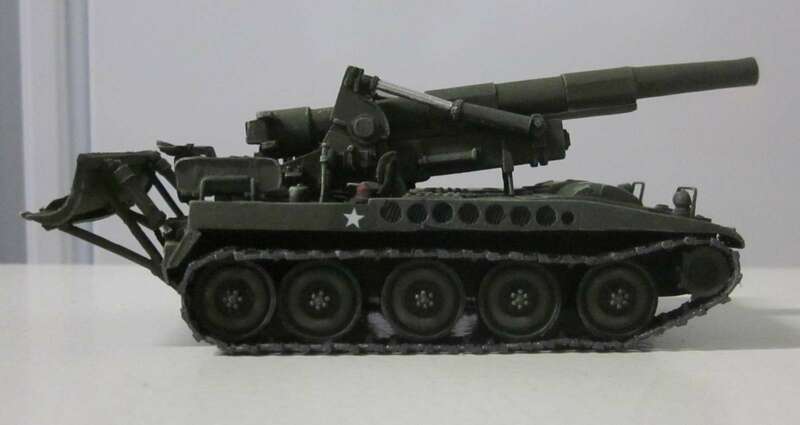 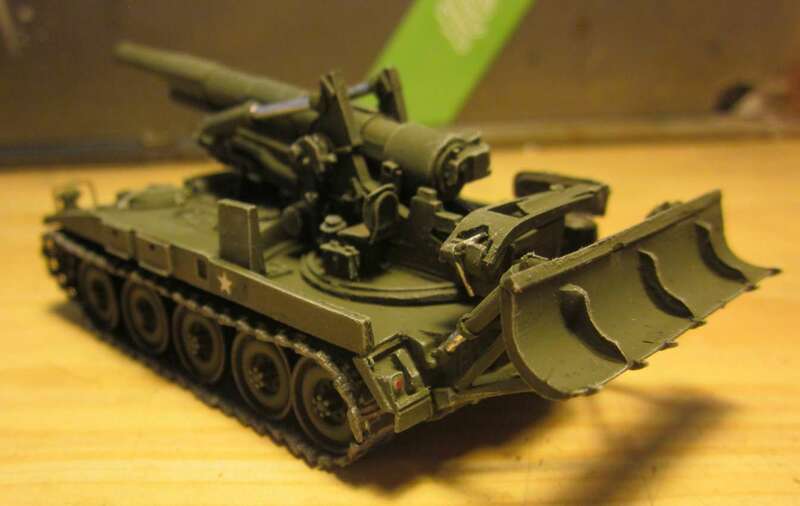 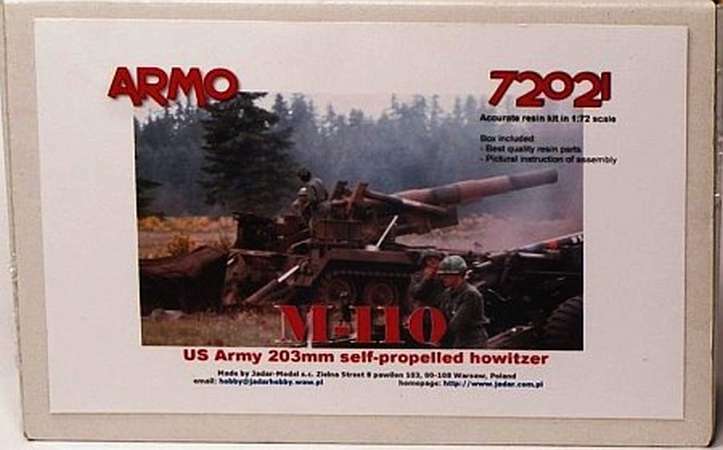 Kit 72022 - Self Propelled Howitzer M110A2. 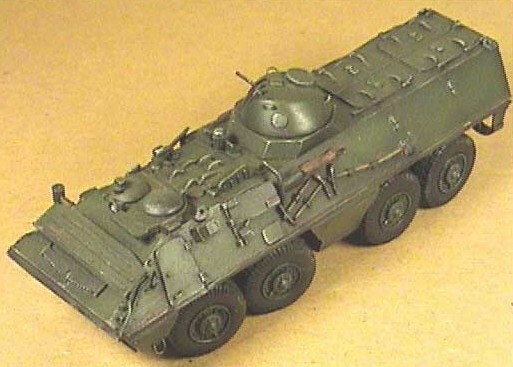 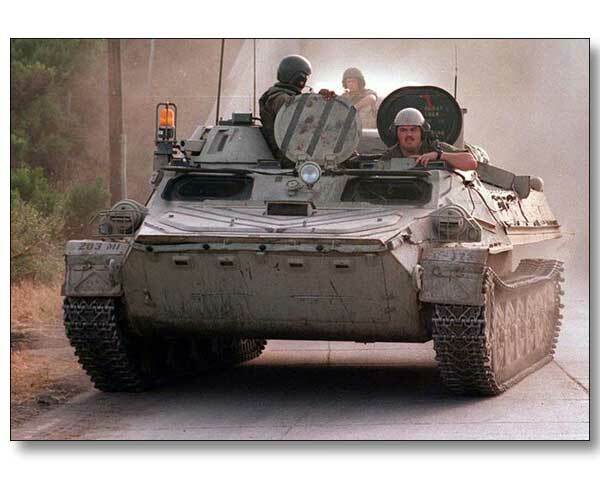 Kit 72023 - BMP-2 - Soviet infantry combat vehicle. 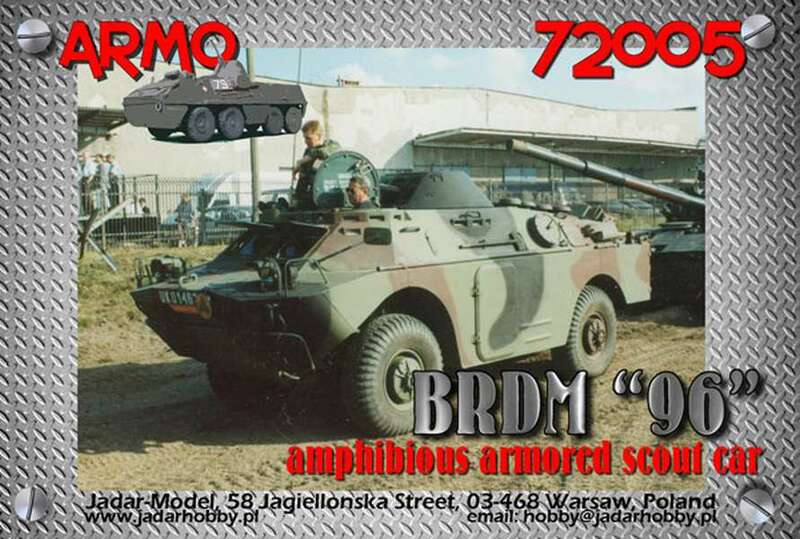 Kit 72024 - Combat reconnaissance vehicle BRM. 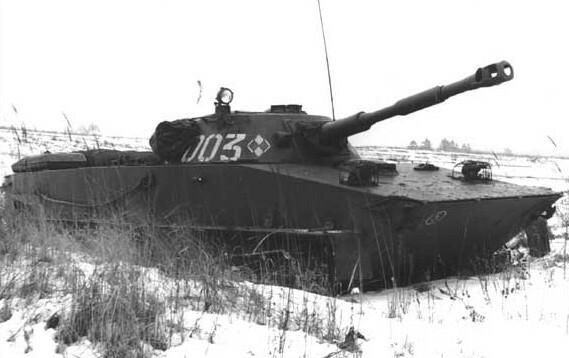 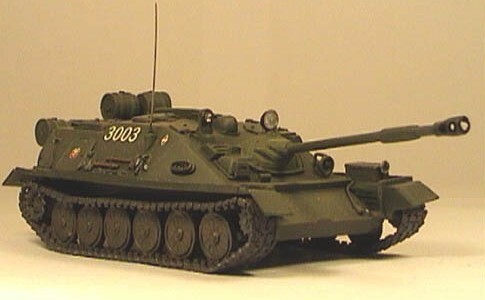 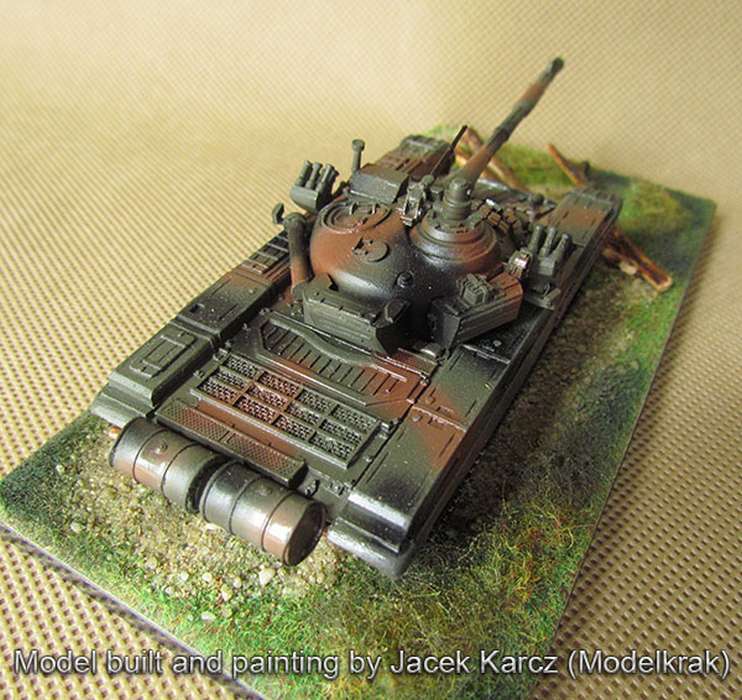 Kit 72026 - T-55A (M) - Soviet main battle tank with metal gun barrel. 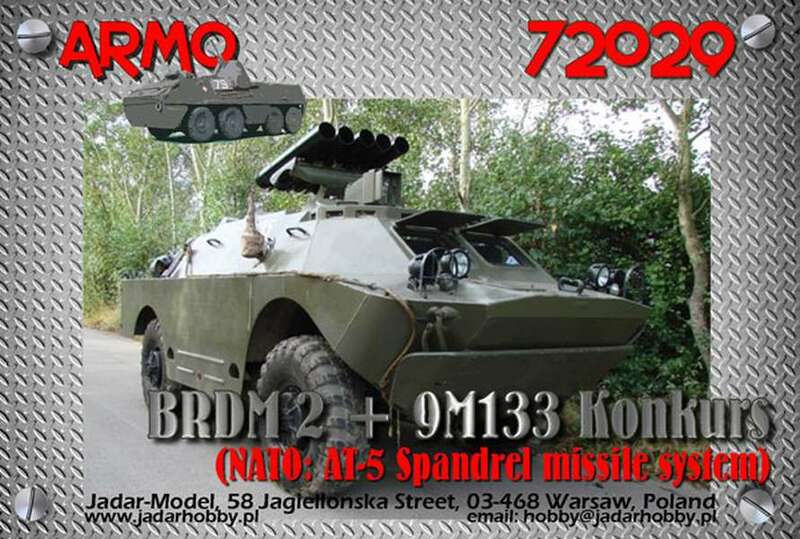 Kit 72029 - BRDM2 + Konkurs/Spandrel AT missile. 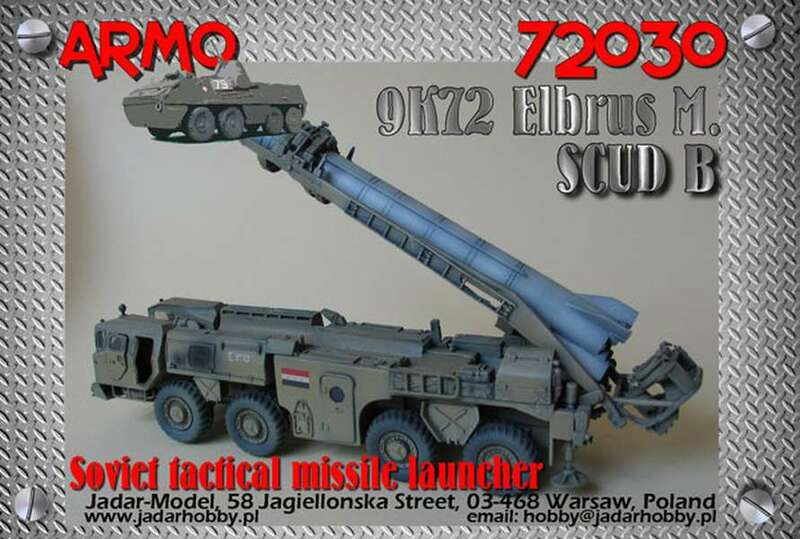 Kit 72030 - ElbrusM/Scud b Missile Launcher. 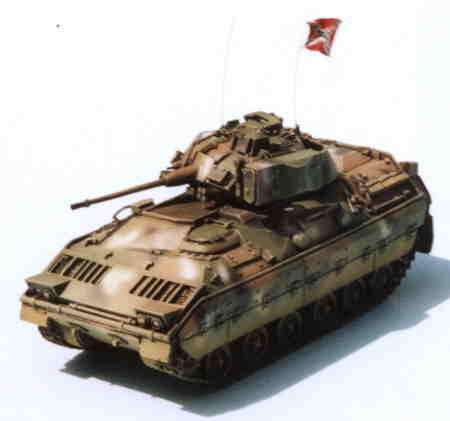 Kit 72031 - M2 Bradley - Infantry combat vehicle. 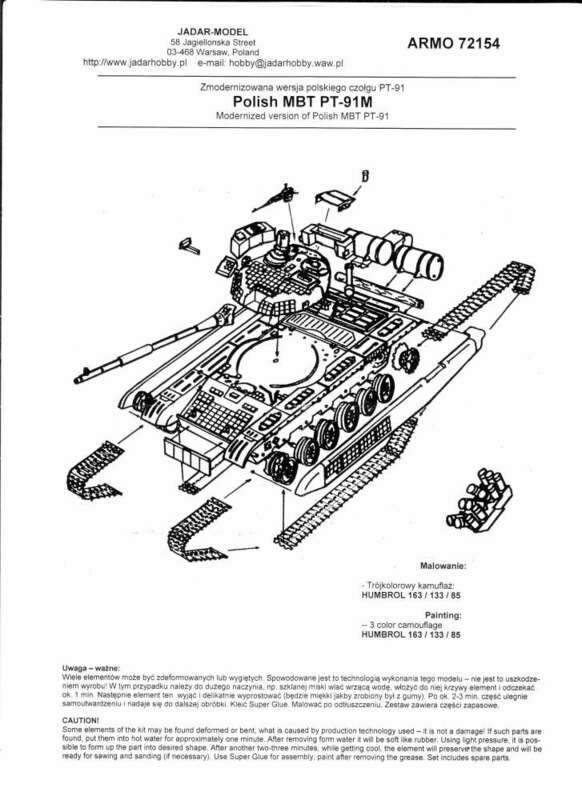 Kit 72032 - M2A2 Bradley - Infantry combat vehicle. 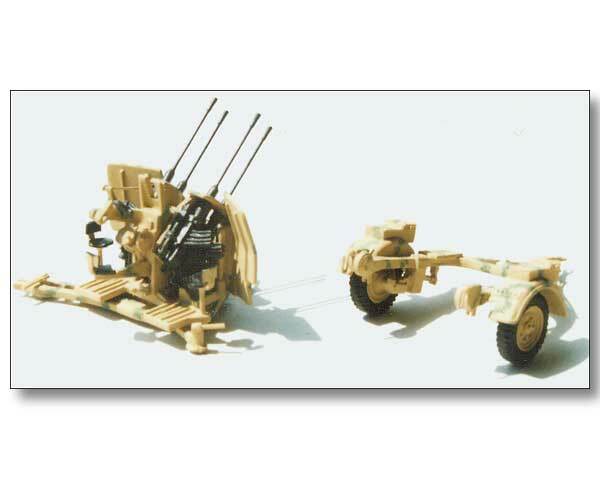 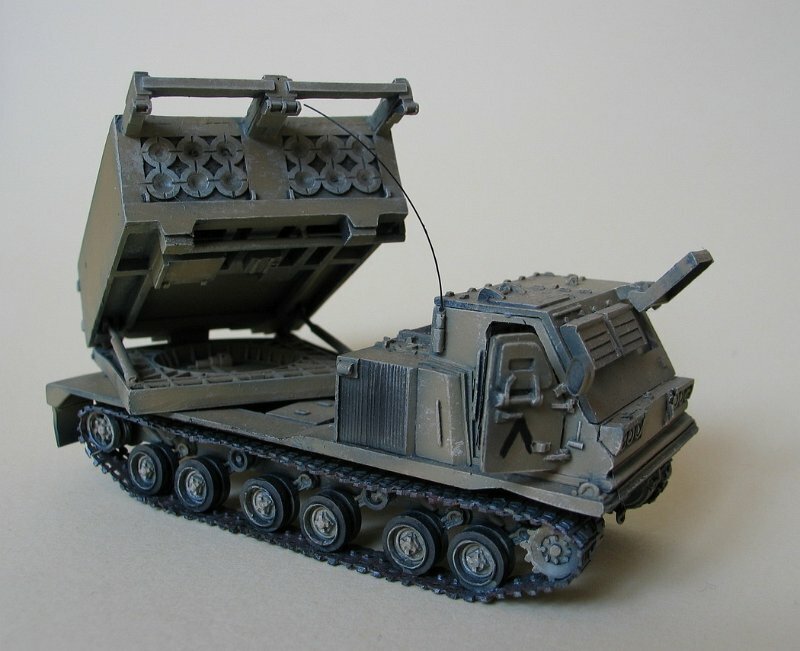 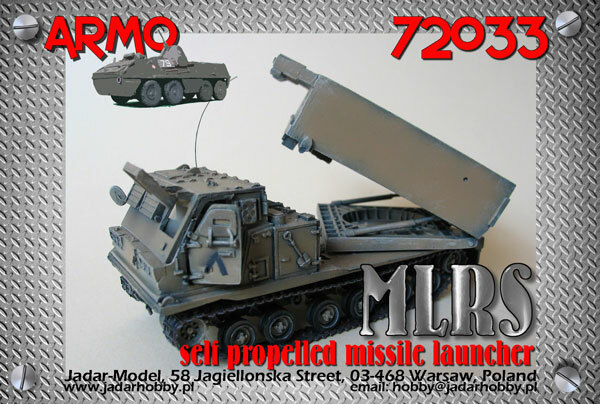 Kit 72033 - MLRS Rocketlauncher. 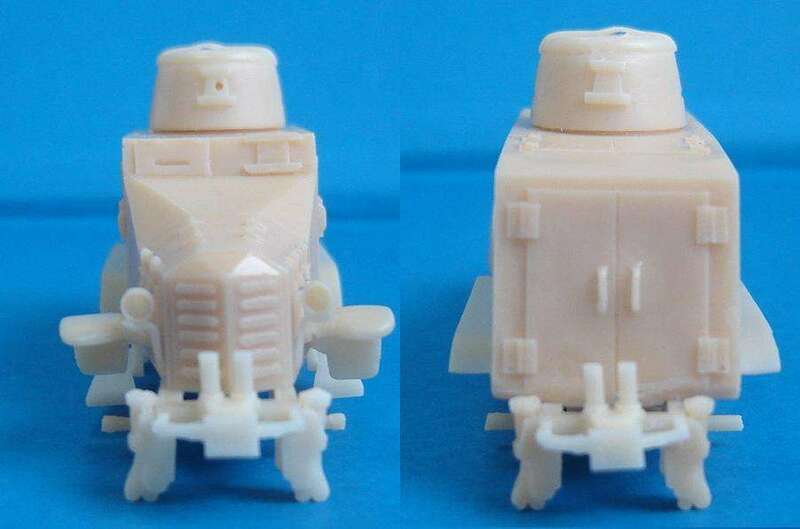 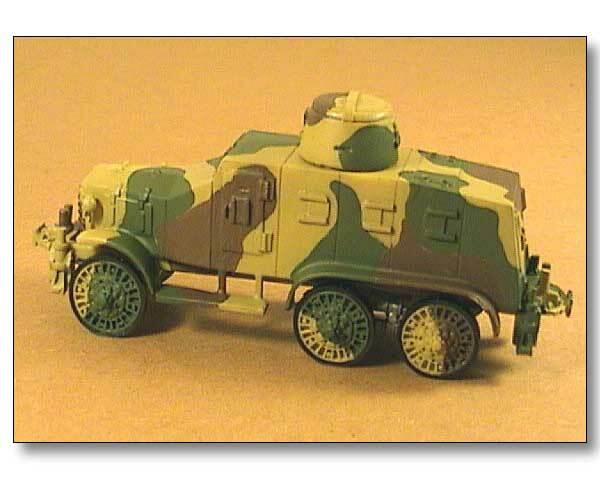 Kit 72036 - MT-LB - tracked vehicle. 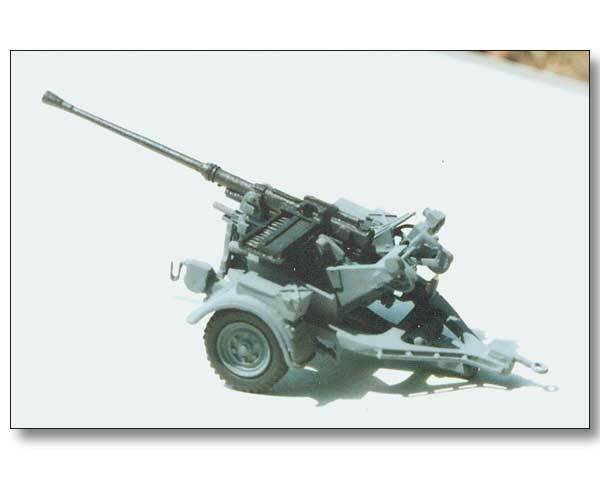 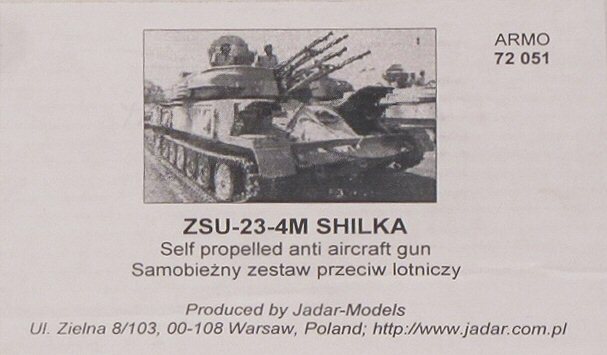 Kit 72037 - 2S1 Gvozdzik 122mm SP gun. 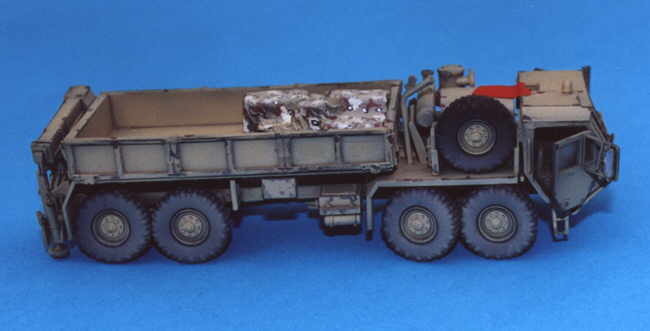 Kit 72040 - M977 Oshkosh. 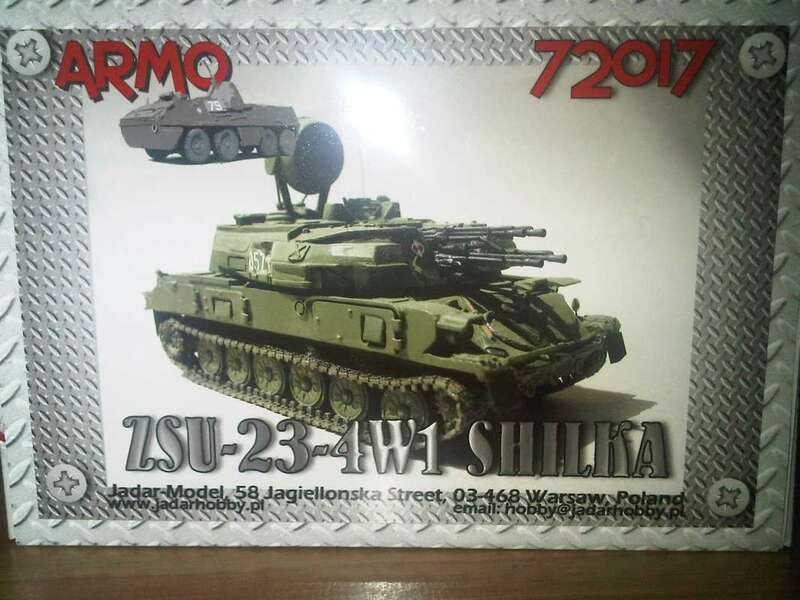 Kit 72051 - ZSU 23-4 Shilka. 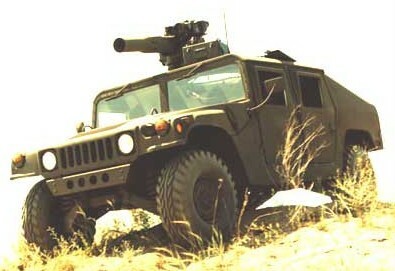 Kit 72053 - M966 HMMWV with TOW. 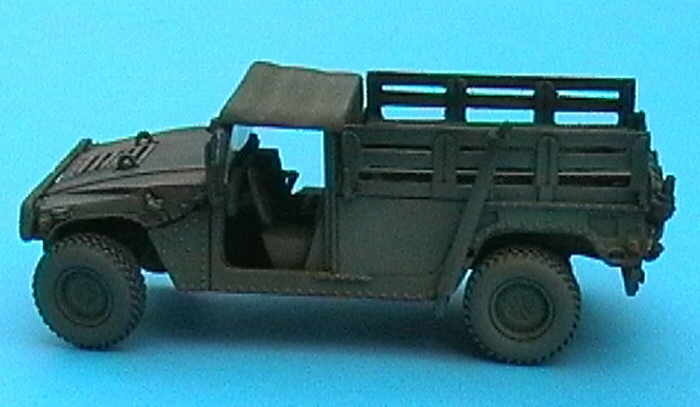 Kit 72054 - M998 HMMWV cargo with soft top. 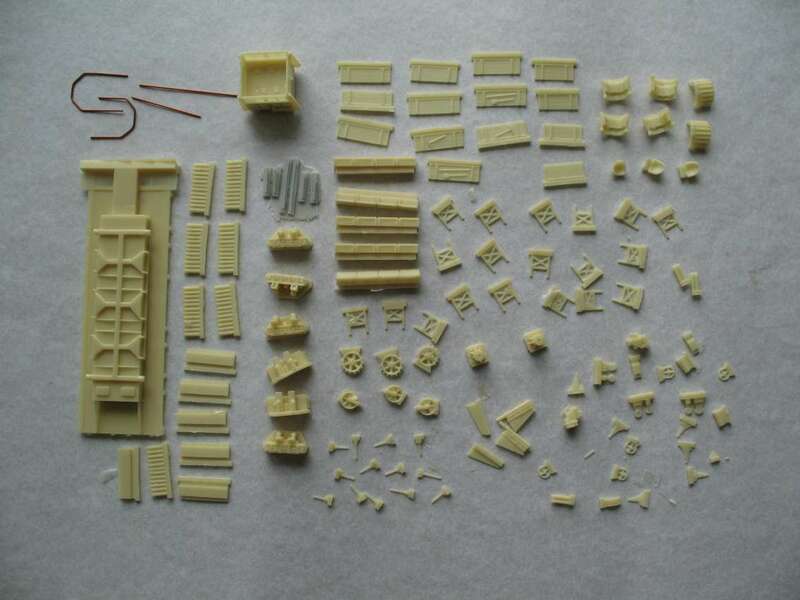 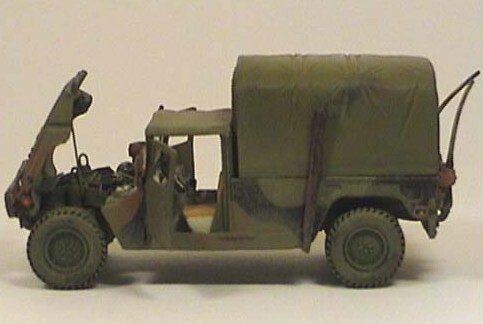 Kit 72055 - M998 HMMWV cargo. 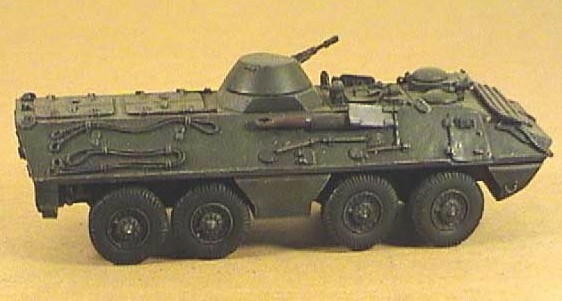 Kit 72056 - LAV Piranha. 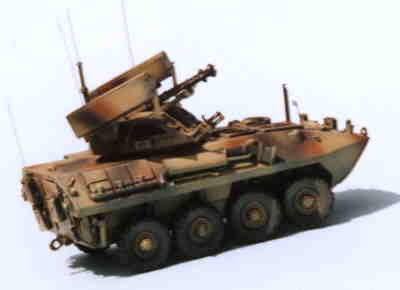 Kit 72057 - LAV-25 Piranha air defence. 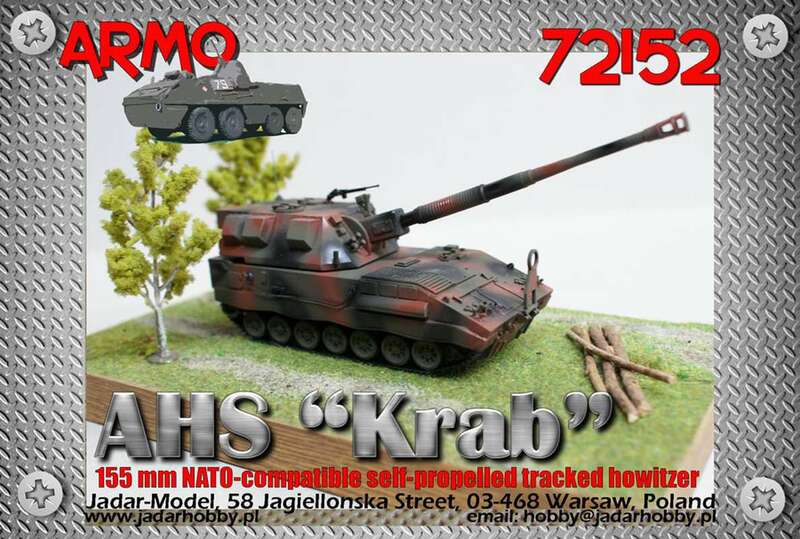 Kit 72058 - Armo 72058 - LAV-25 Piranha with TAW. 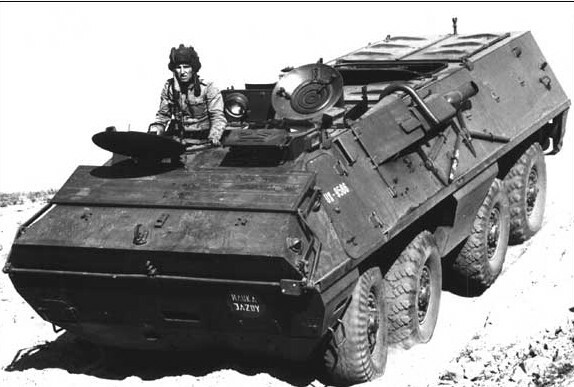 Kit 72060 - APC AAVT-7A1 with UGWS. 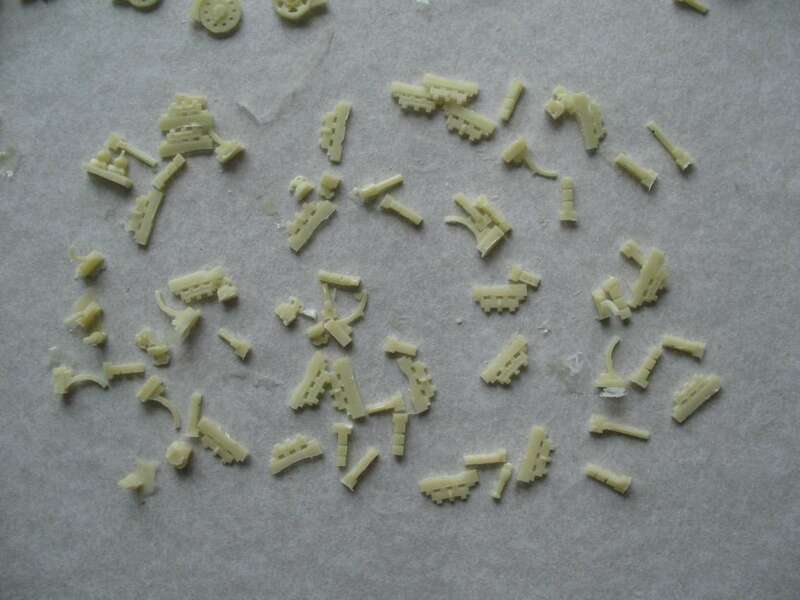 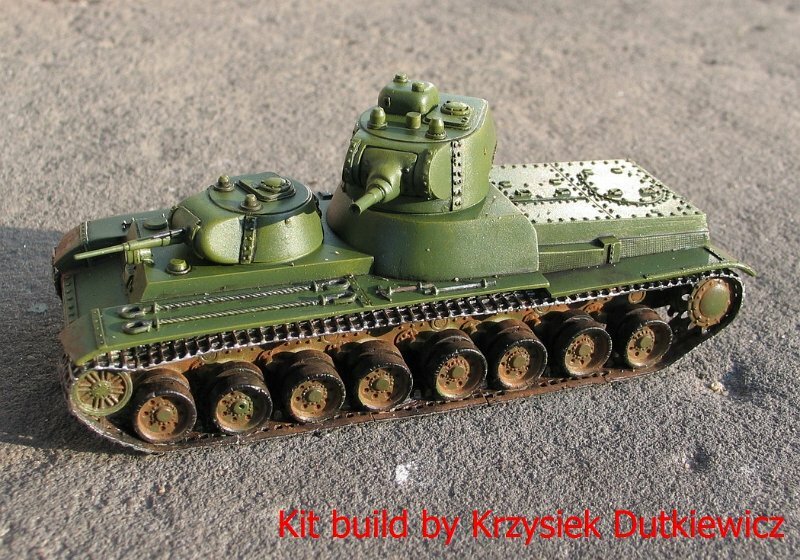 Kit 72061 - Alkett Minenraumpanzer. 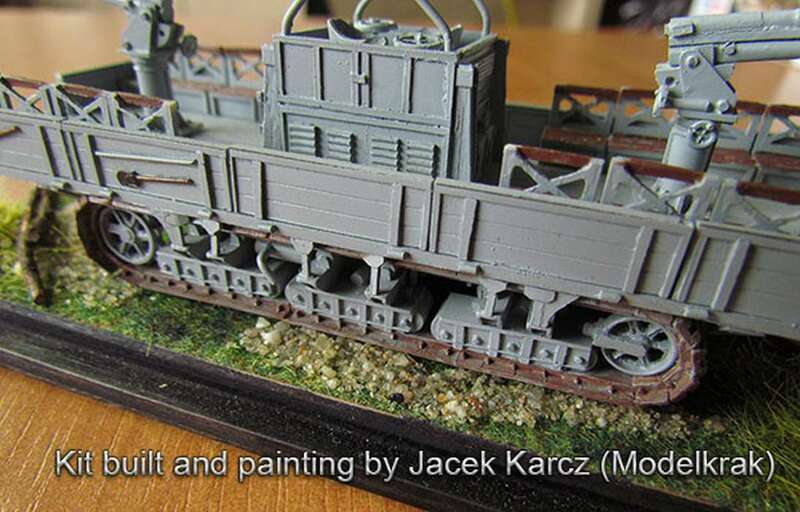 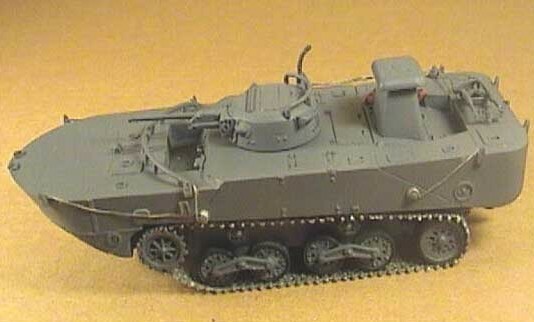 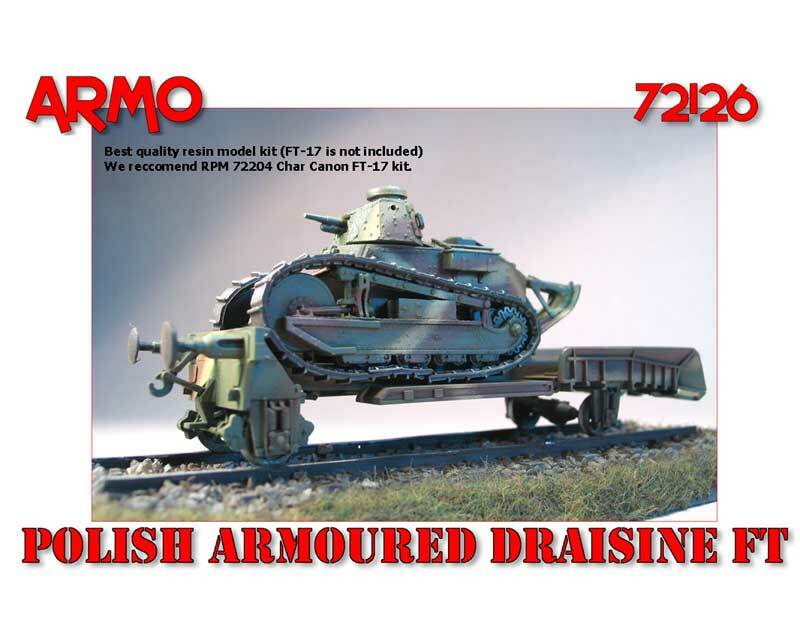 Kit 72062 - Armoured draisine TK. 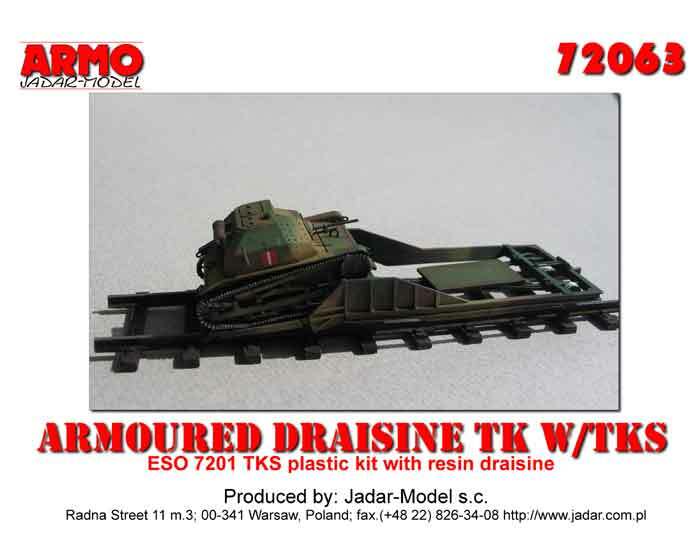 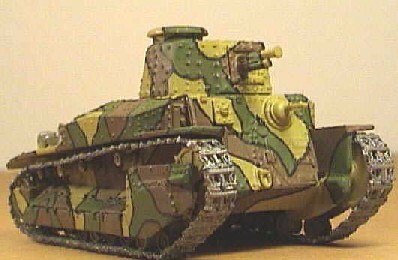 Kit 72063 - Armoured draisine TK with TKS tank. 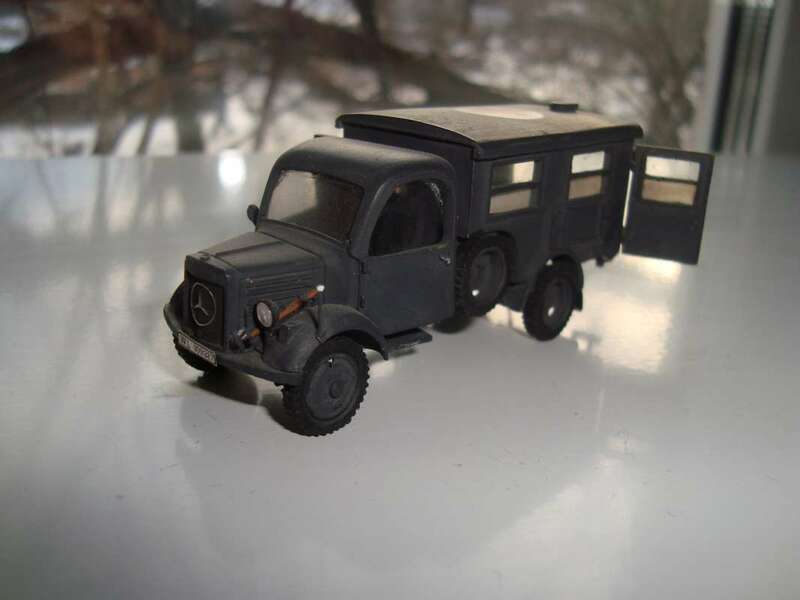 Kit 72070 - Horch Kfz.15 - German WWII personnel carrier. 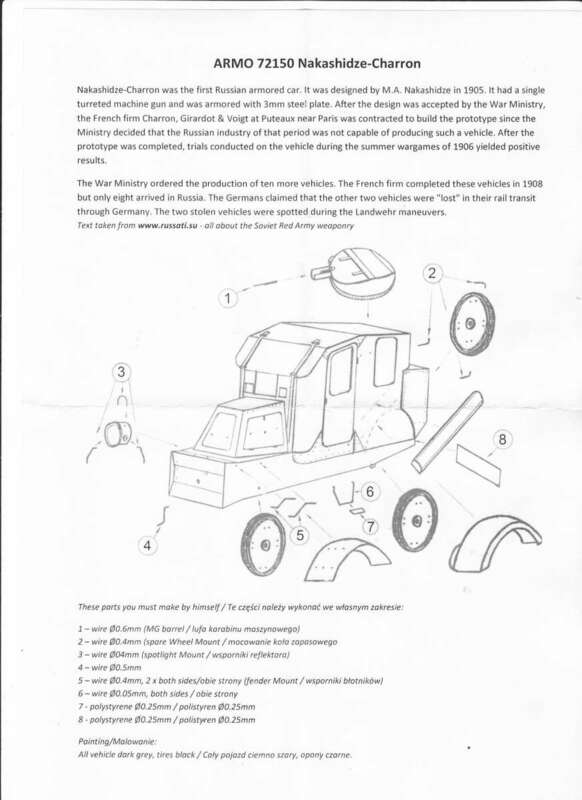 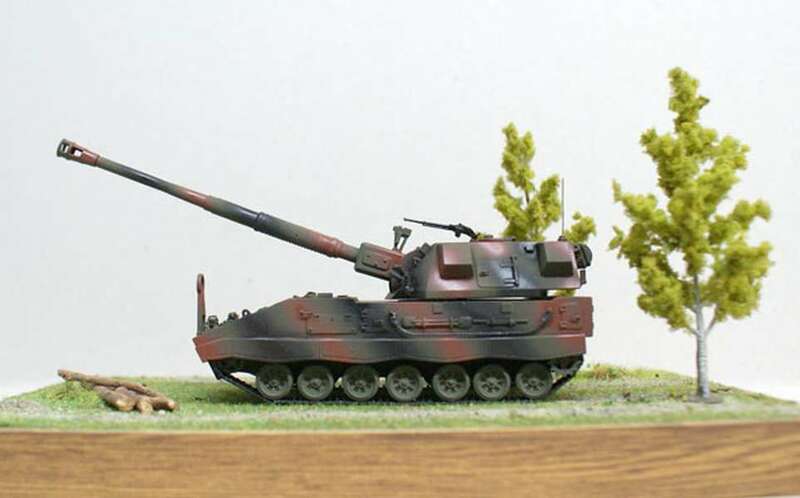 Kit 72071 - Bergepanzer Tiger (P) recovery vehicle. 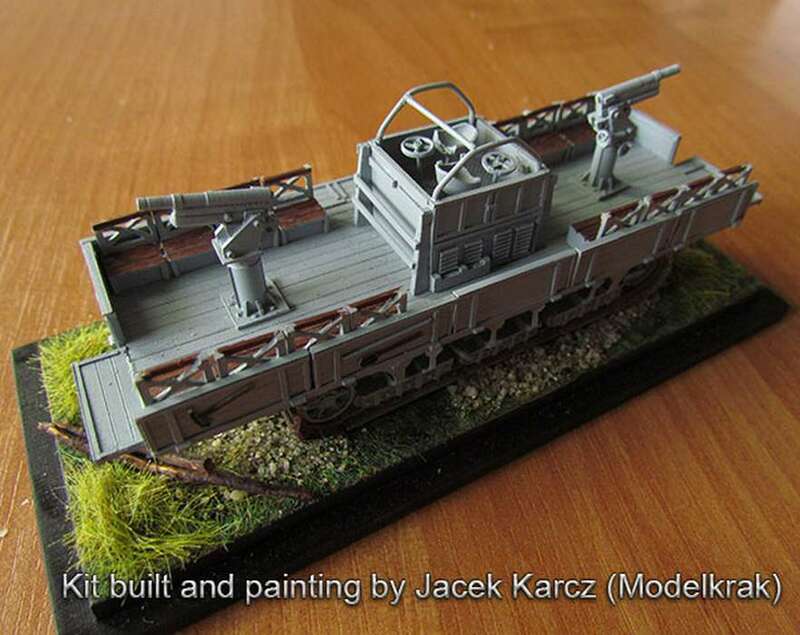 Kit 72072 - German 20mm Flak 38 with trailer. 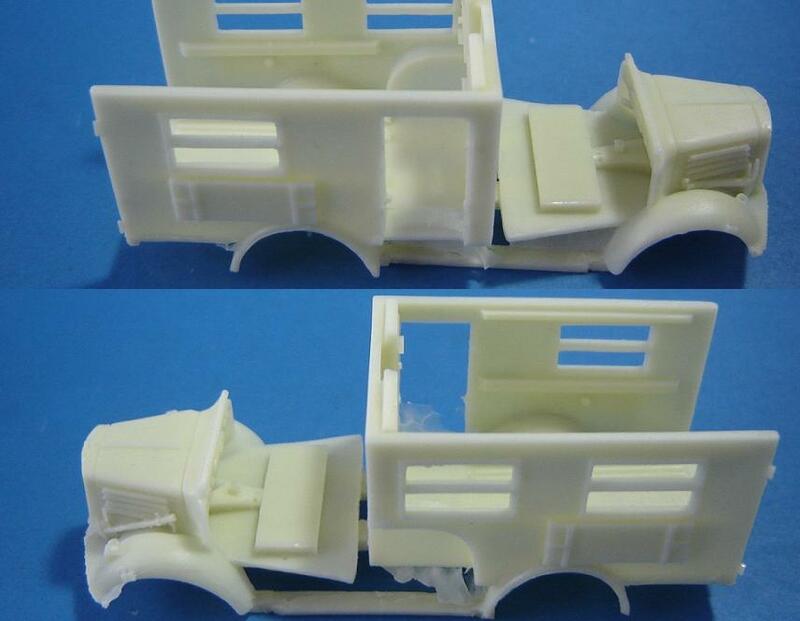 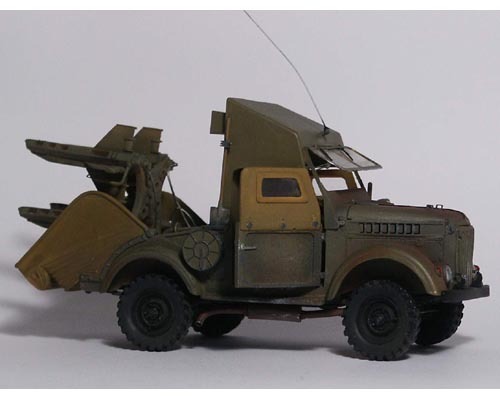 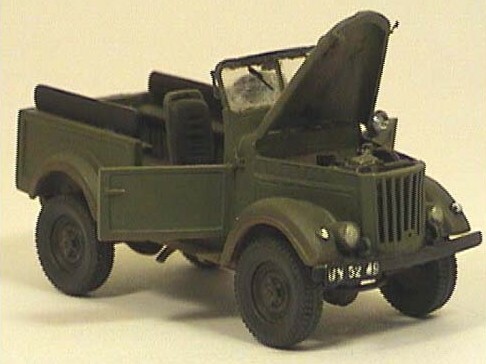 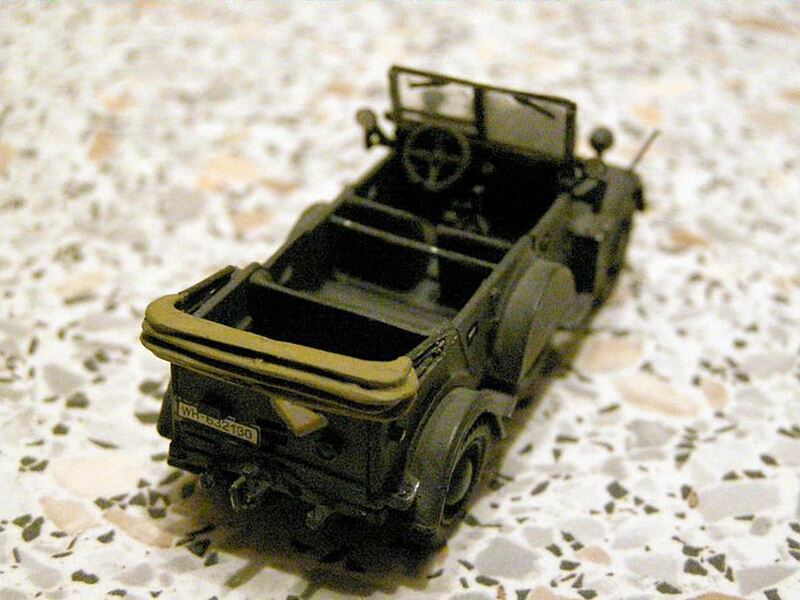 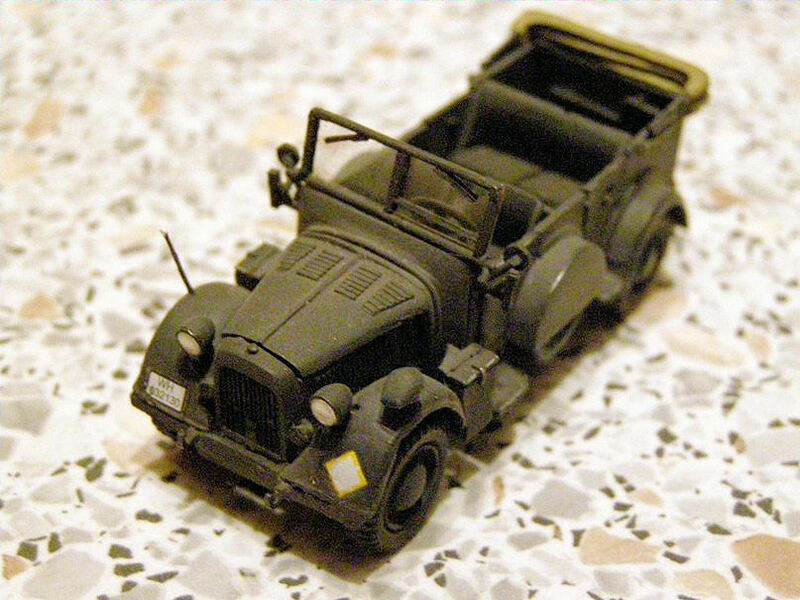 Kit 72073 - Gaz 69 Soviet jeep. 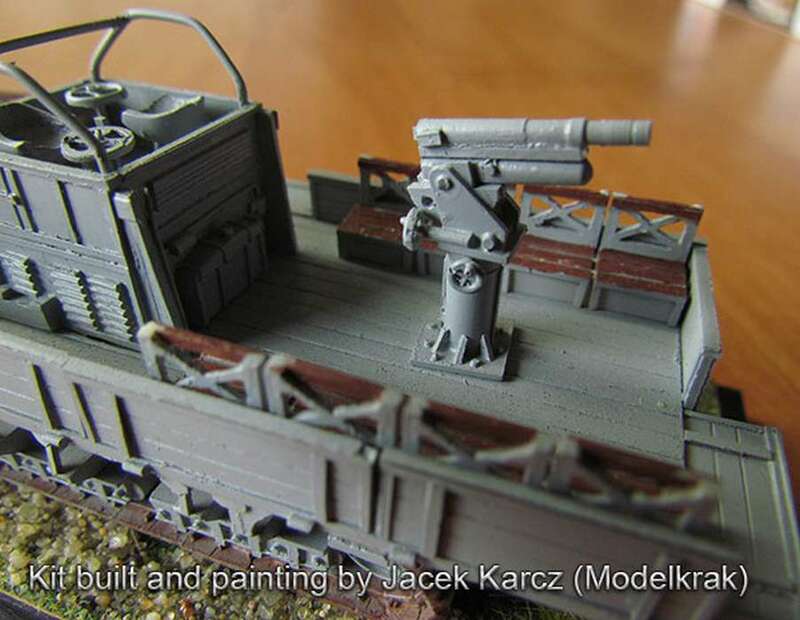 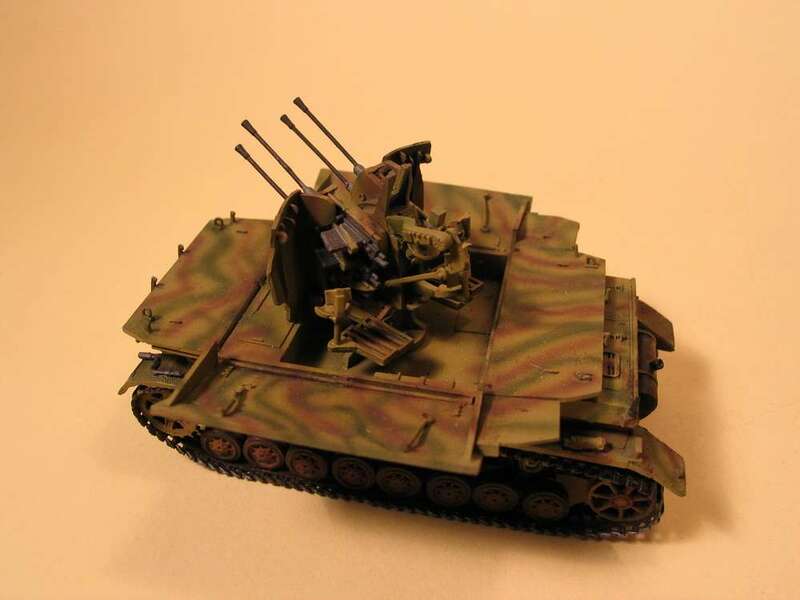 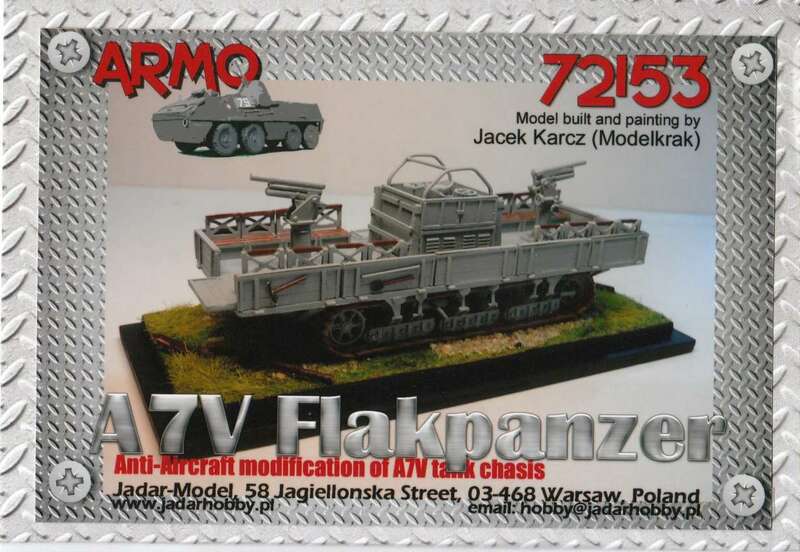 Kit 72074 - German Flakvierling with trailer. 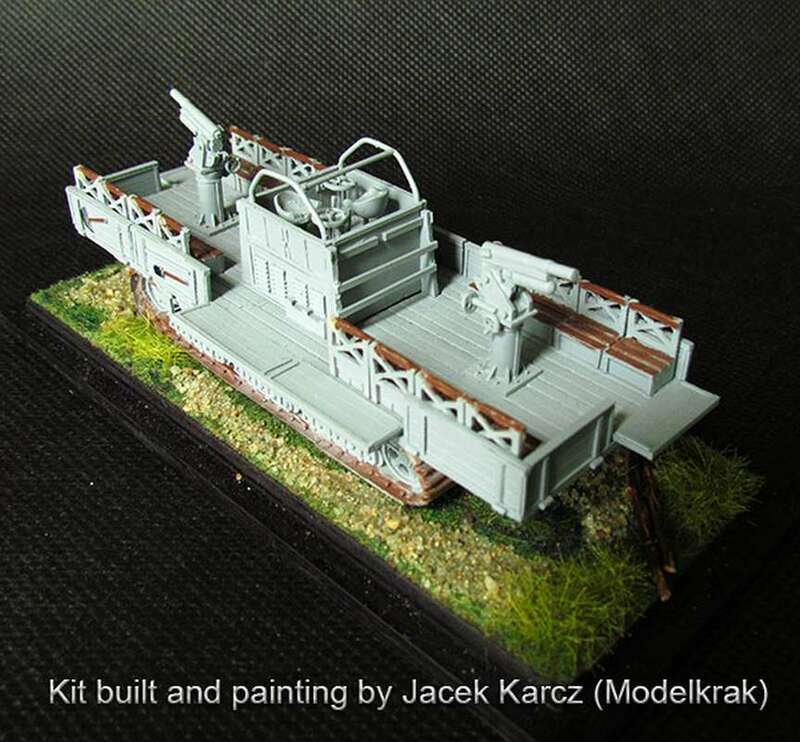 Kit 72075 - German 37mm Flak with trailer. 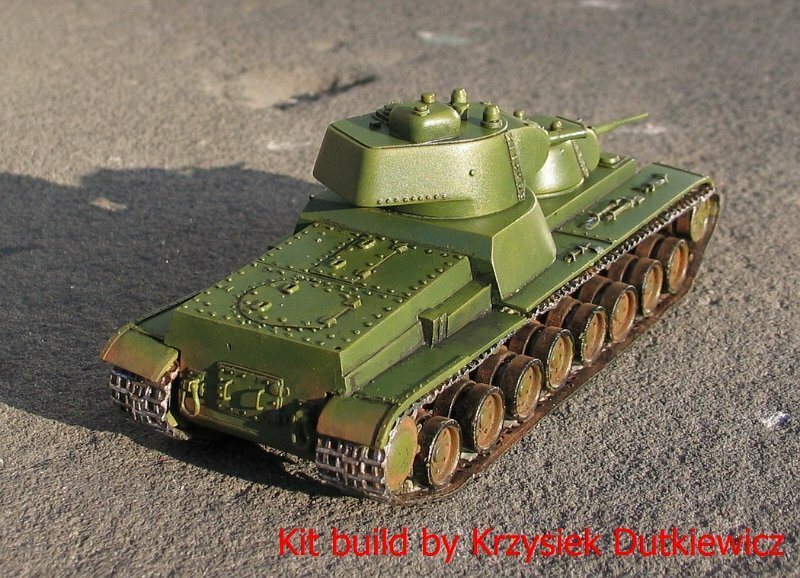 Kit 72076 - Russian SU76i. 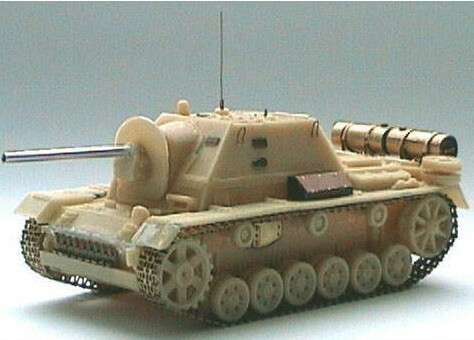 Kit 72078 - German SU76 i with Panzer III cupola. 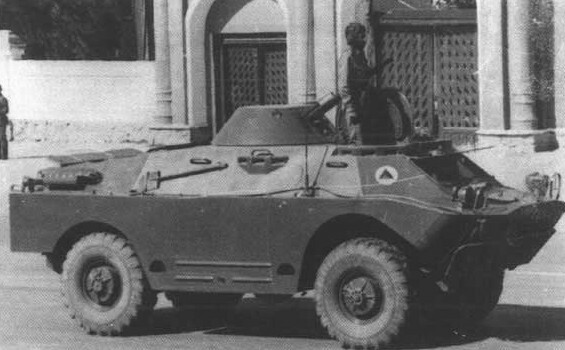 Kit 72079 - GAZ69 Tzrimiel. 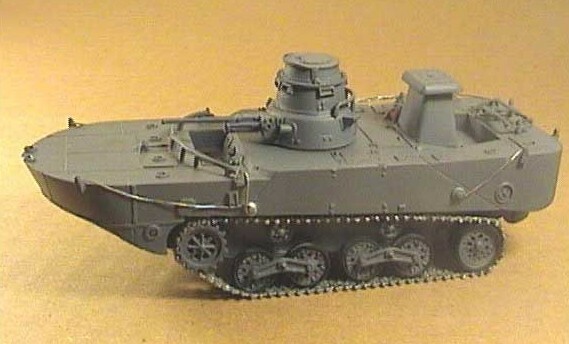 Kit 72080 - Sumida Type 93 (early). 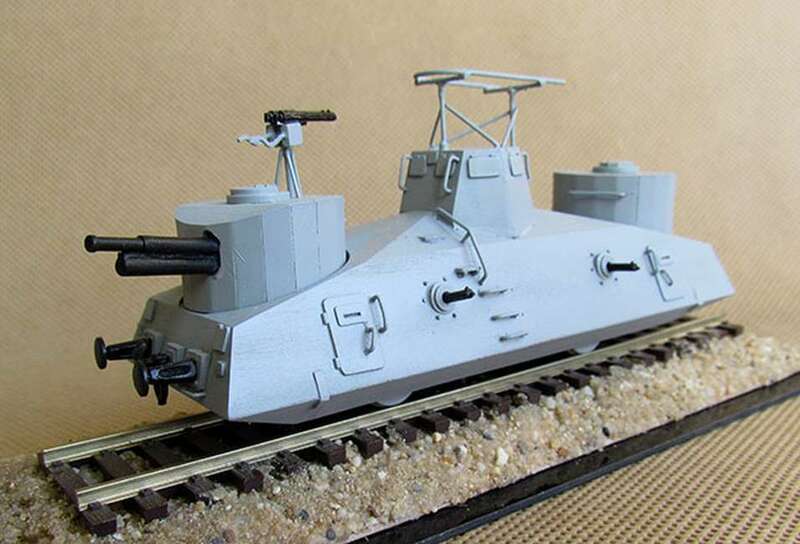 Kit 72081 - Sumida Type 93 (early) - railroad version. 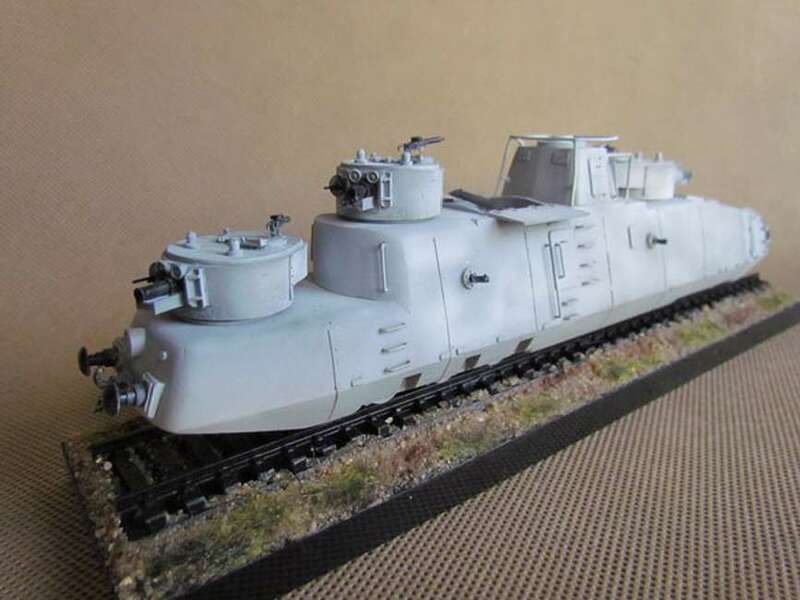 Kit 72082 - Sumida Type 93 (late). 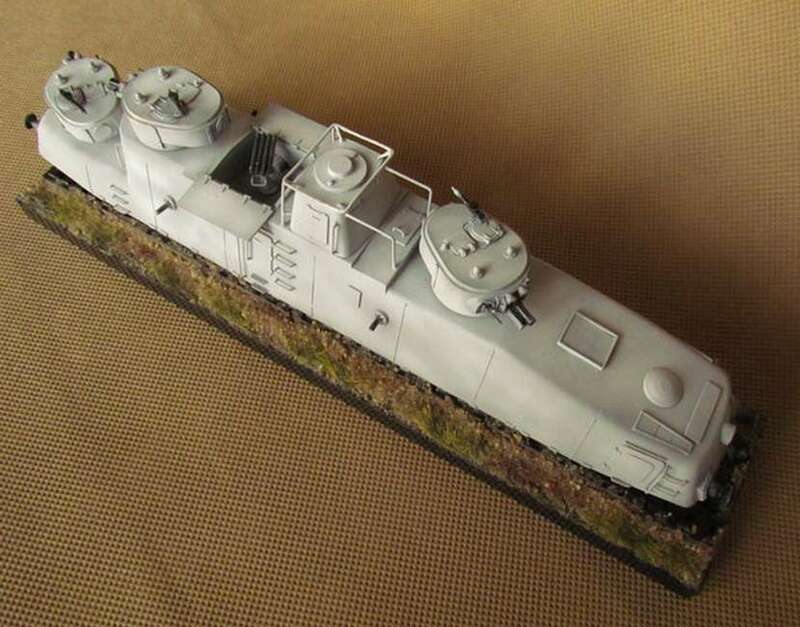 Kit 72083 - Sumida Type 93 (late) - railroad version. 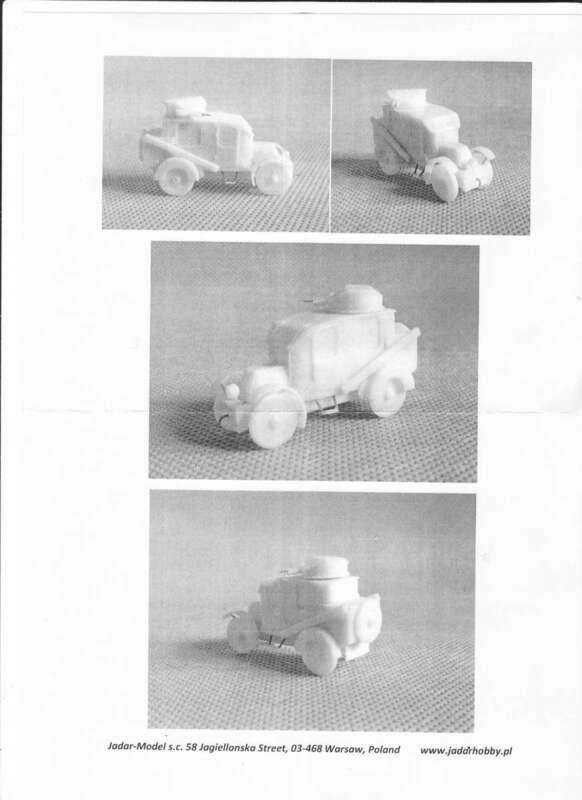 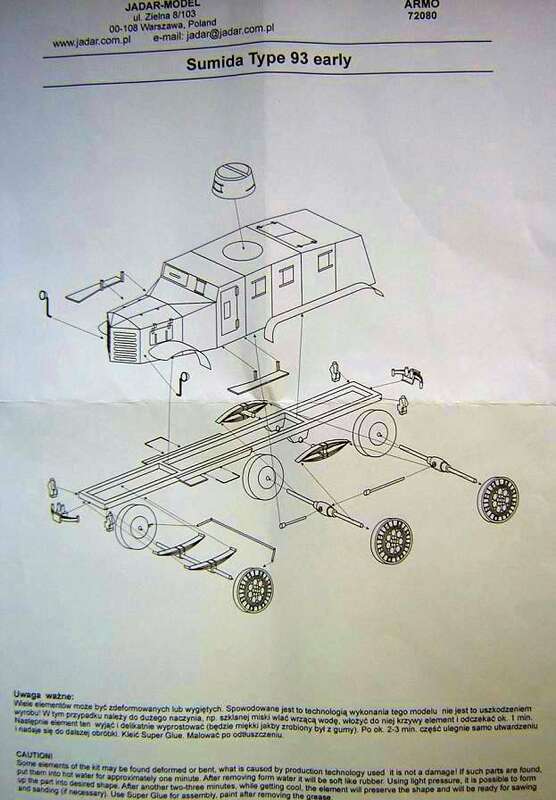 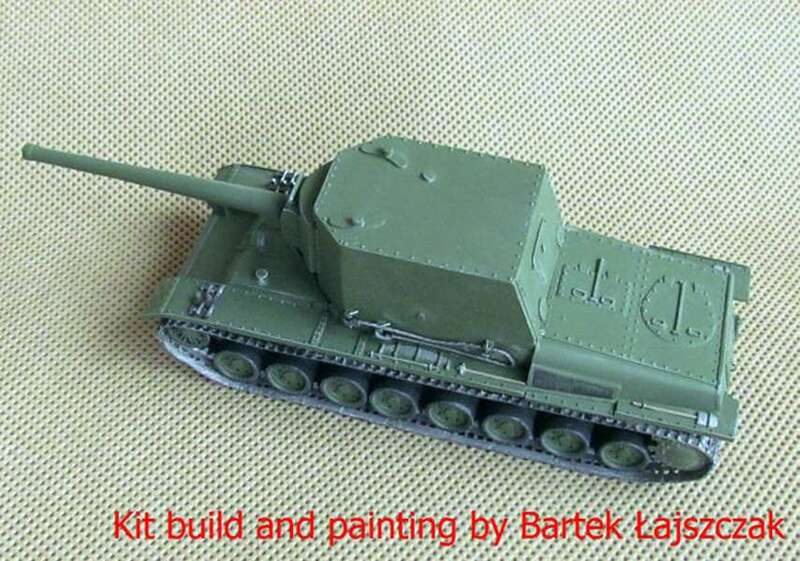 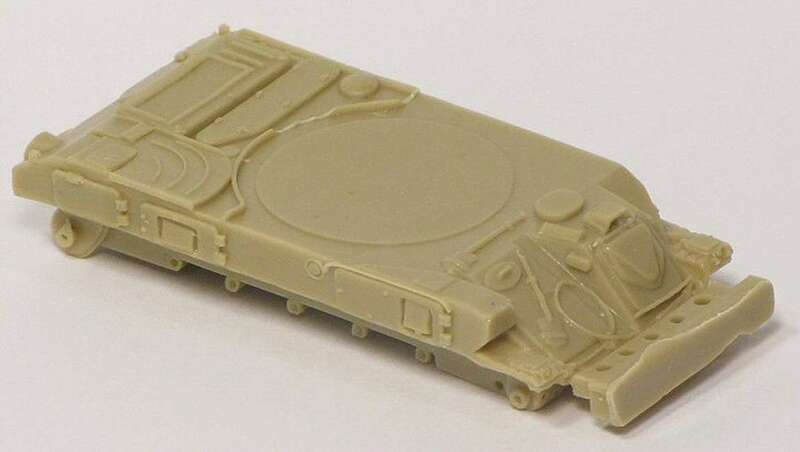 Kit 72084 - Soviet Tractor T-20 Komsomletz (basic version). 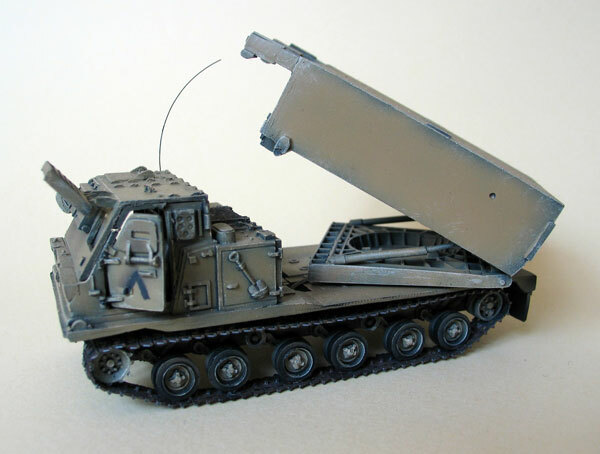 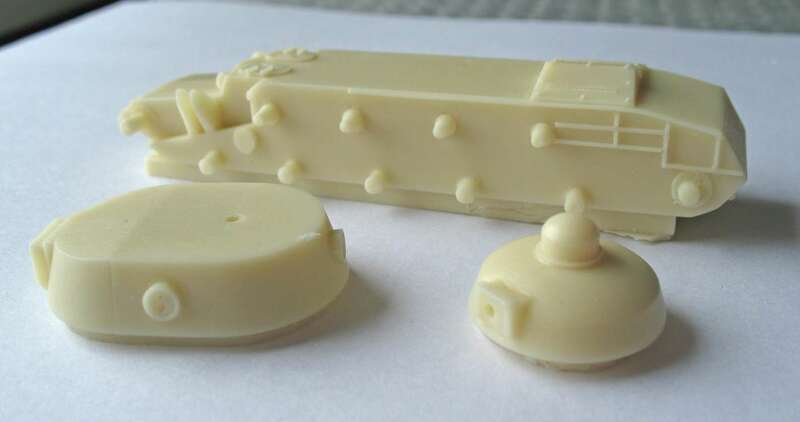 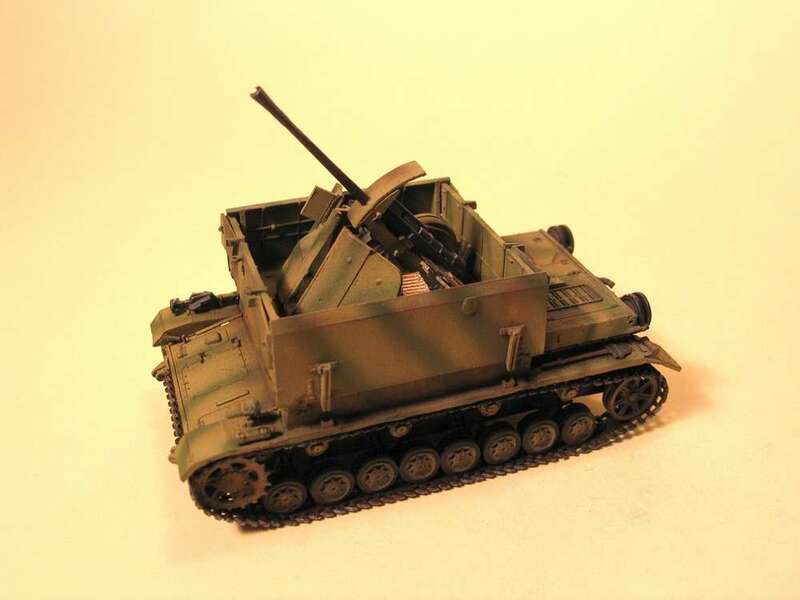 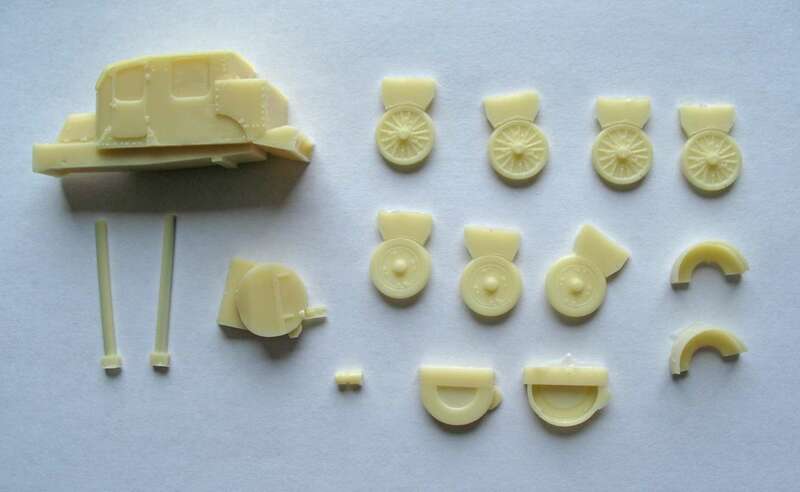 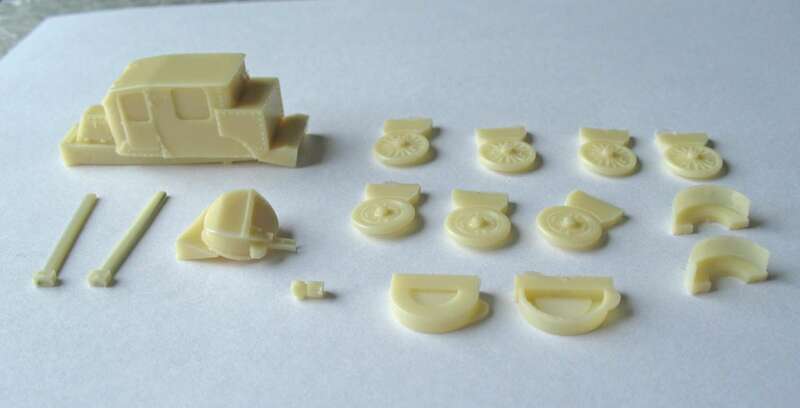 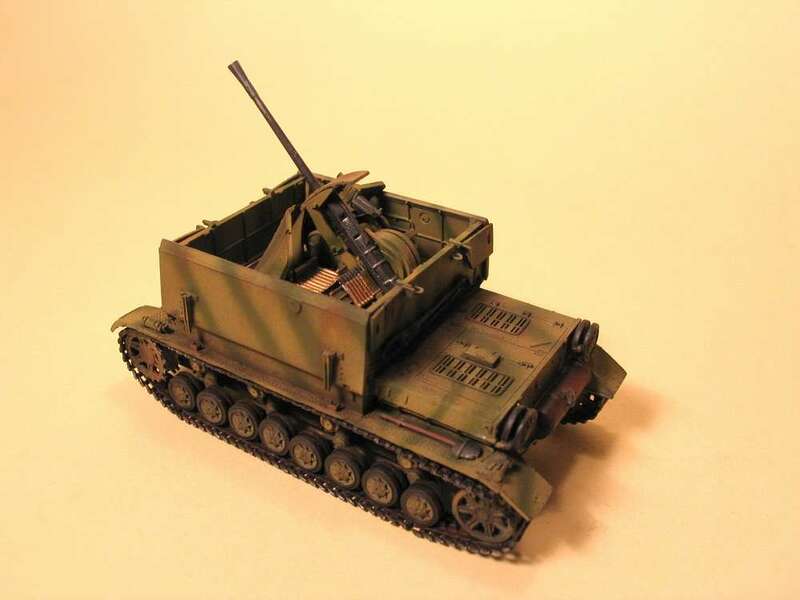 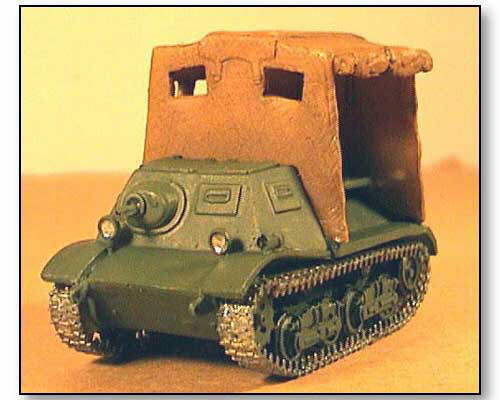 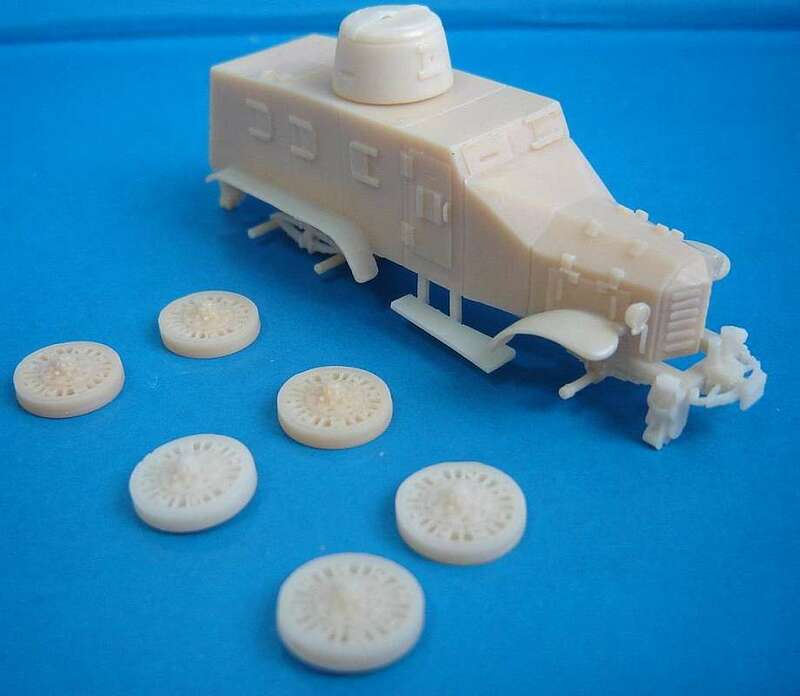 Kit 72085 - Soviet Tractor T-20 Komsomletz (soft top). 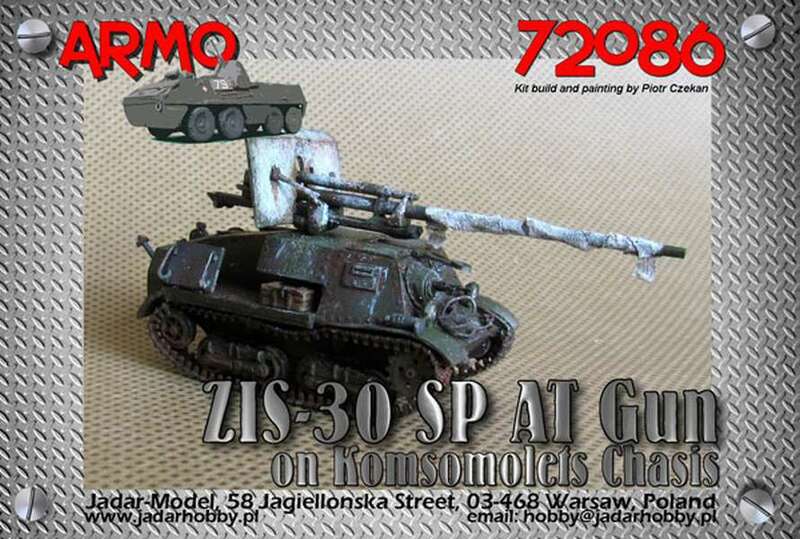 Kit 72086 - ZIS-30 SP AT gun on Komsomolets chassis. 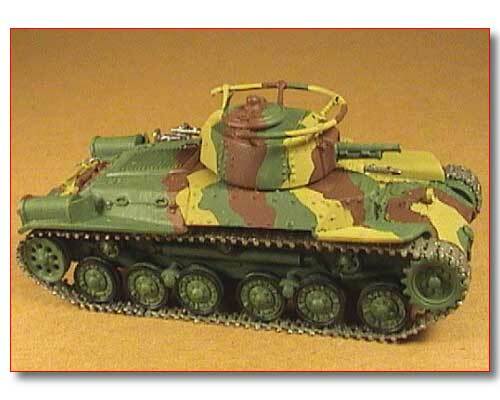 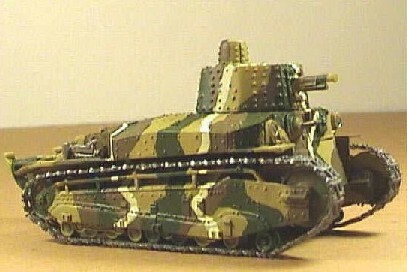 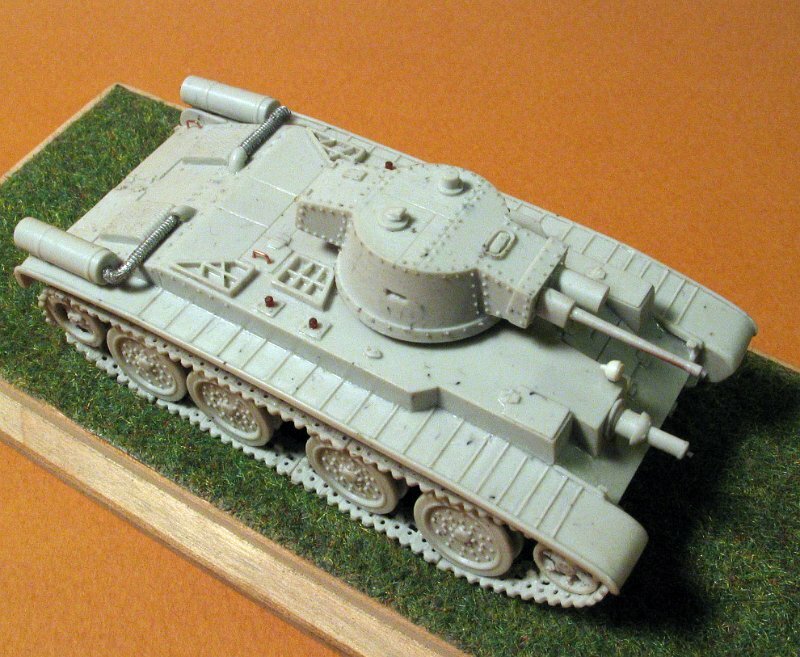 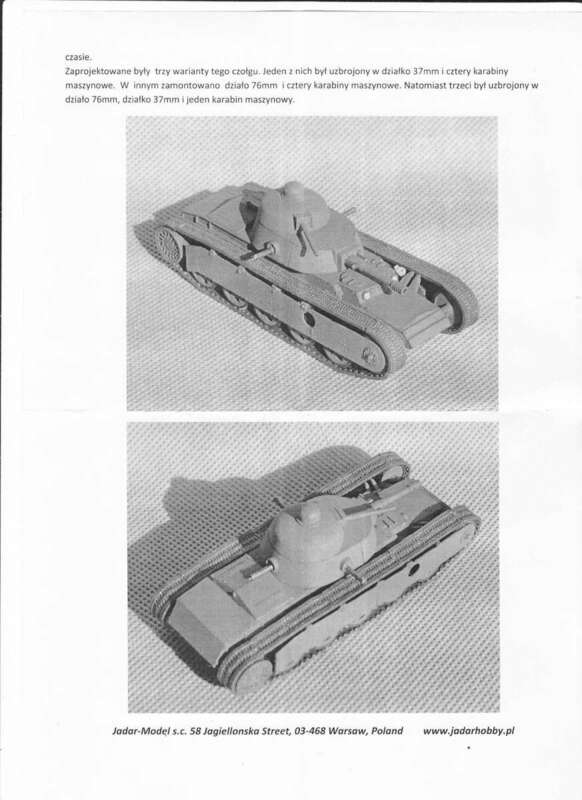 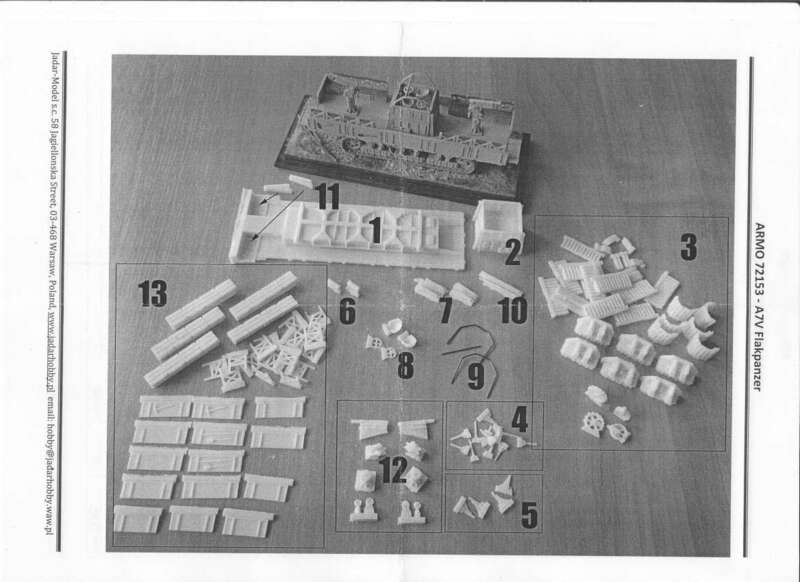 Kit 72087 - Type 2589 - Japanese tank (basic version). 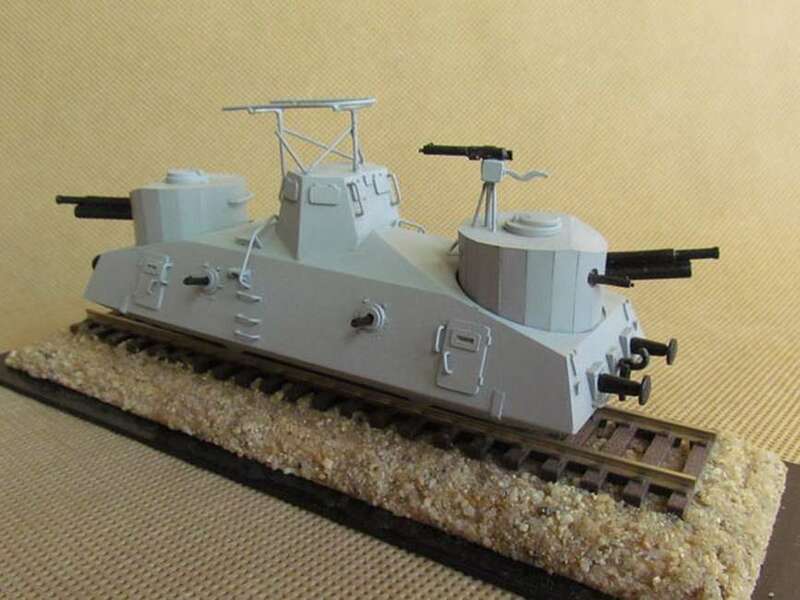 Kit 72088 - Type 89 (2594) Chi-ro (late series). 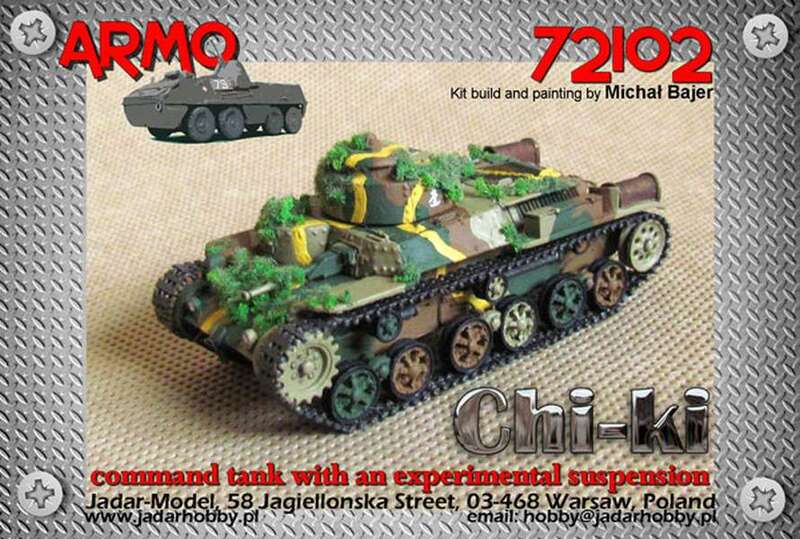 Kit 72089 - Type 89 (2594) Chi-ro (late series) upgraded. 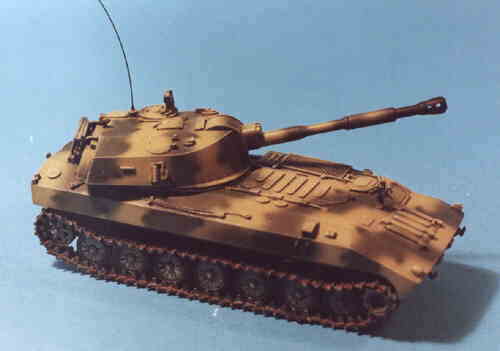 Kit 72090 - Type 89A Chi-ro (early series). 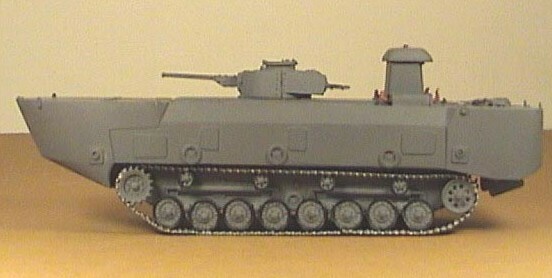 Kit 72091 - Type 89A Chi-ro (modified hull + early cupola). 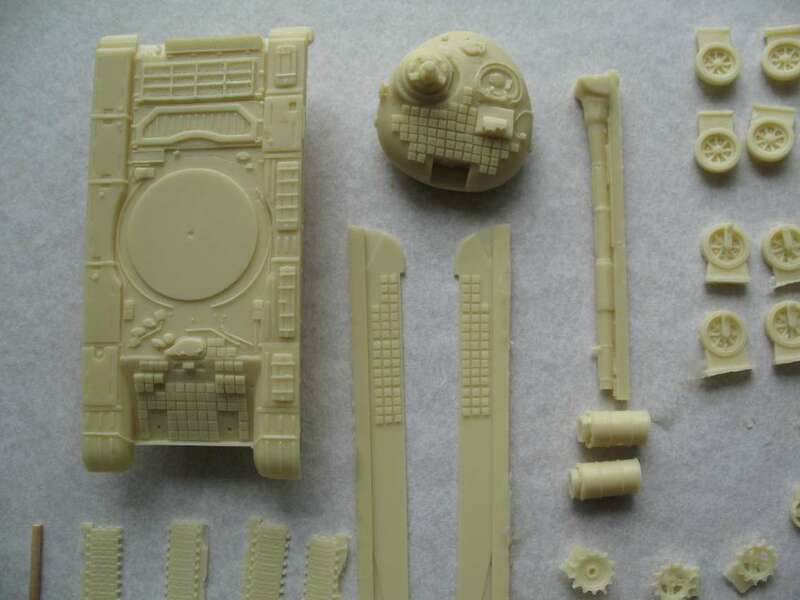 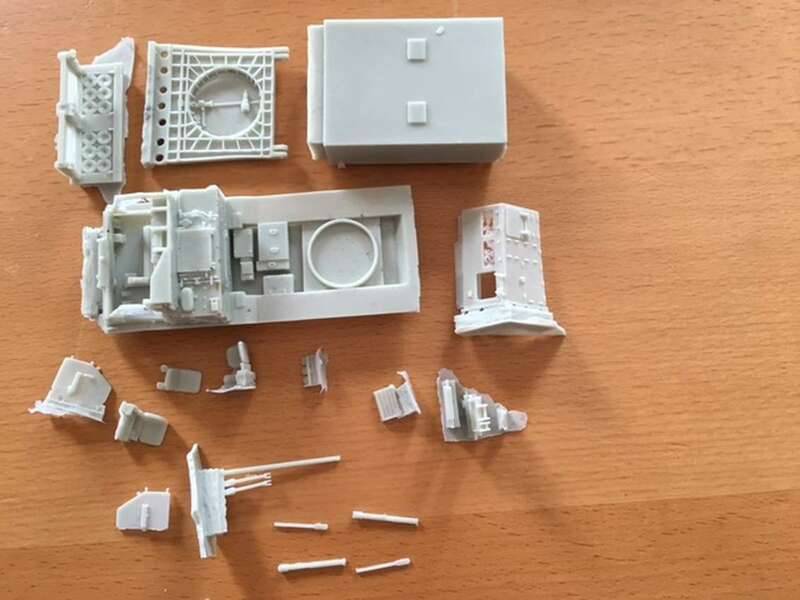 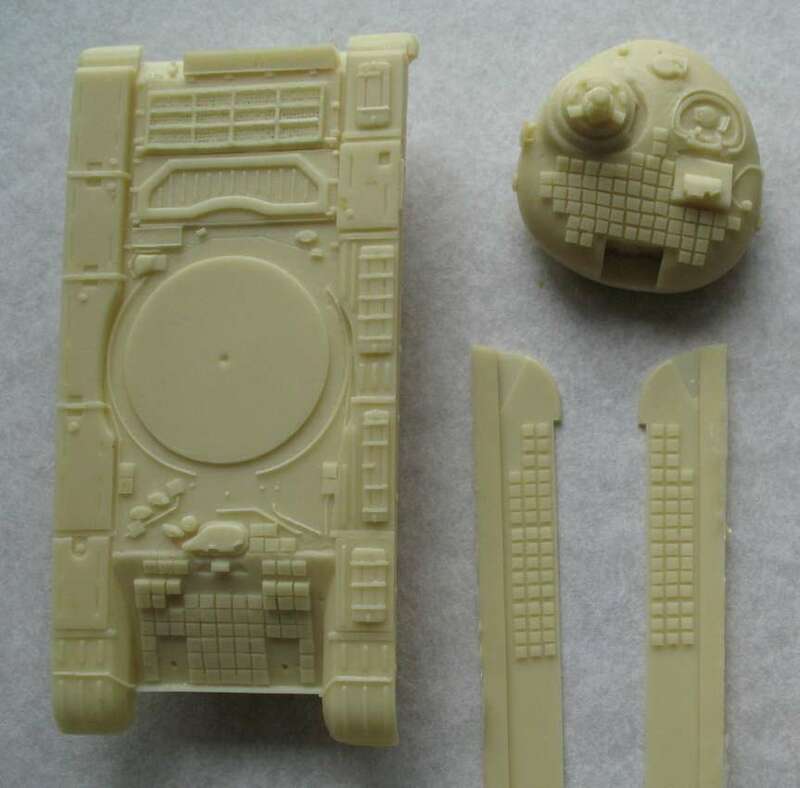 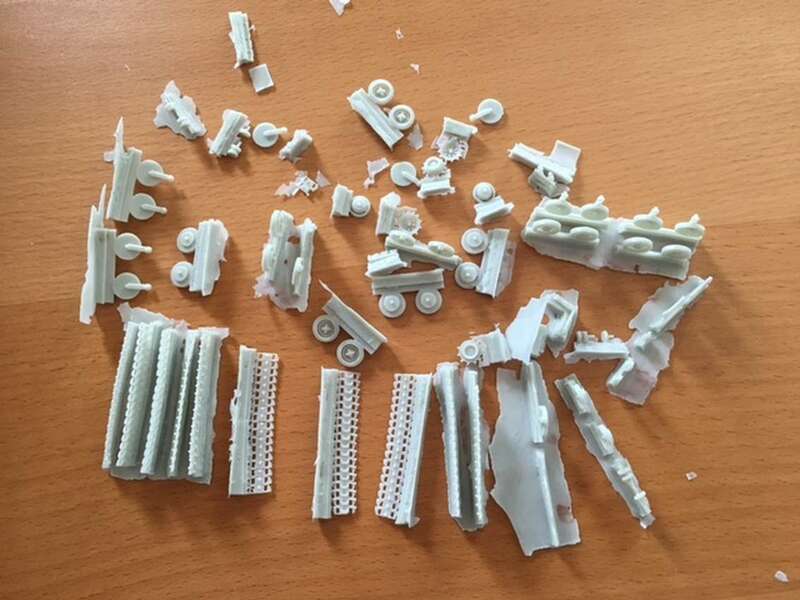 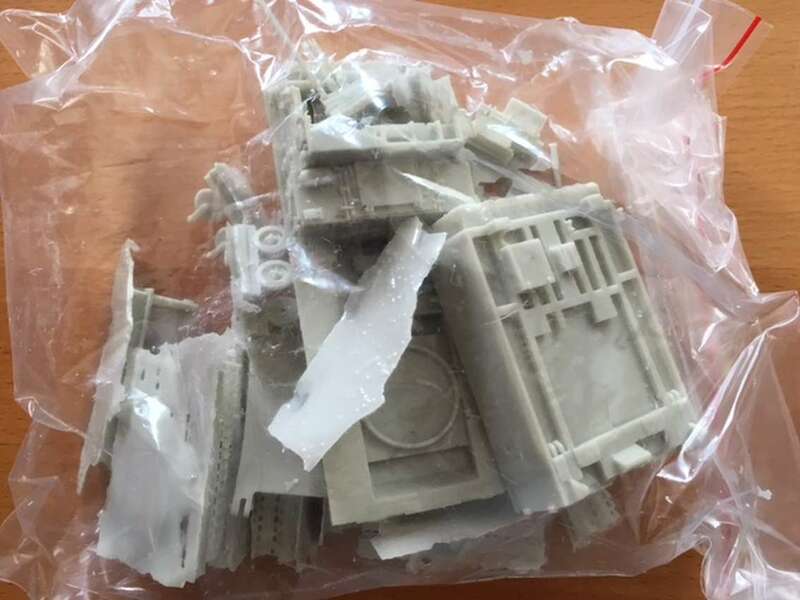 Kit 72092 - Type 89A Chi-ro (old hull, new turret with new cupola). 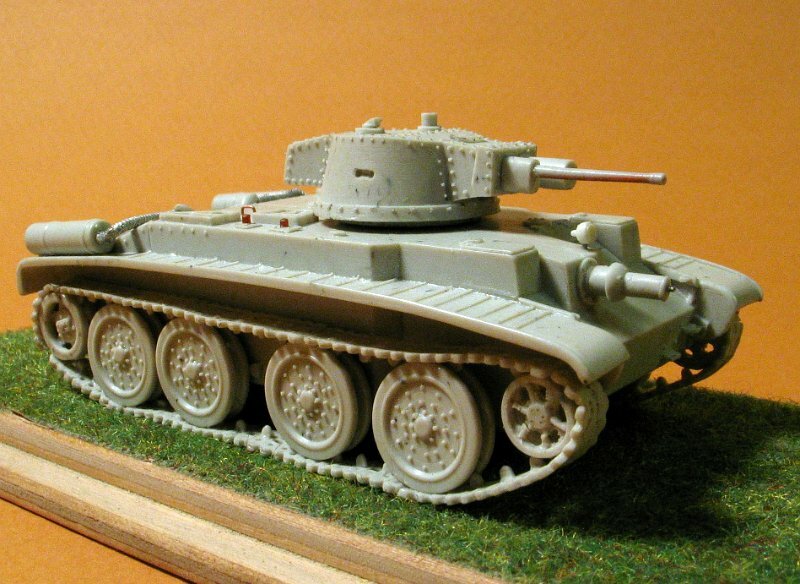 Kit 72097 - TYPE 2597 Chi-ha Japanese medium tank. 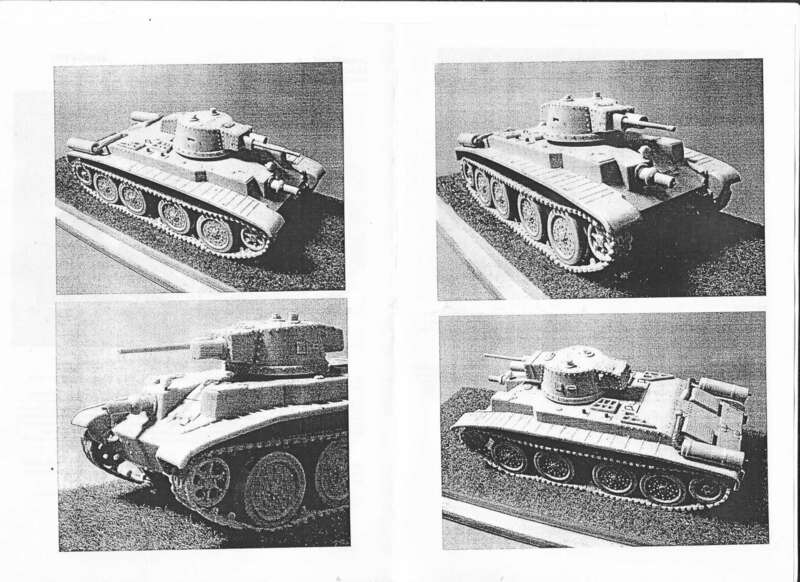 Kit 72098 - TYPE 2597 Chi-ha Japanese medium tank. 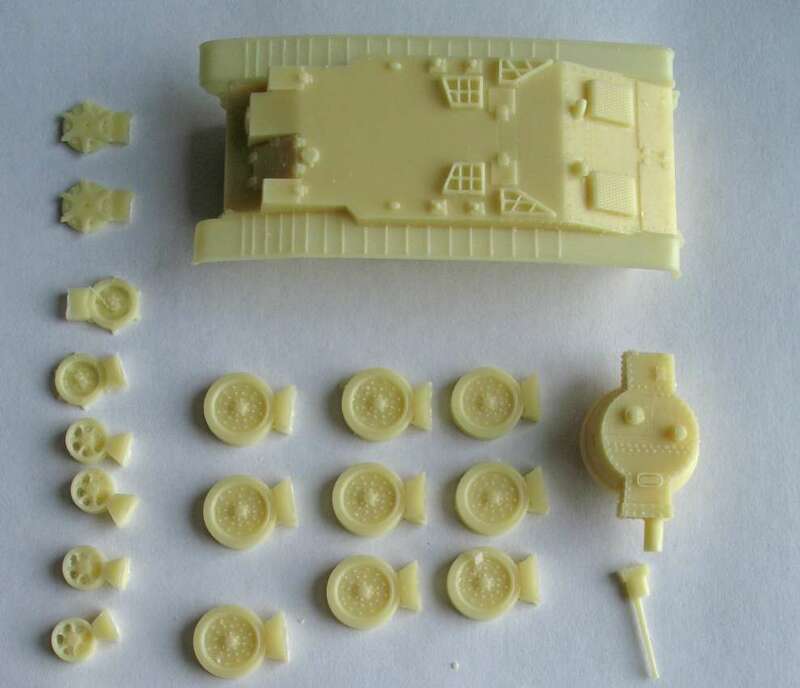 Kit 72099 - Chi-ki Japanese command vehicle. 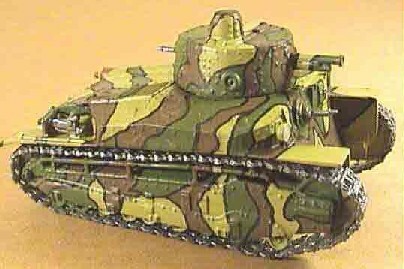 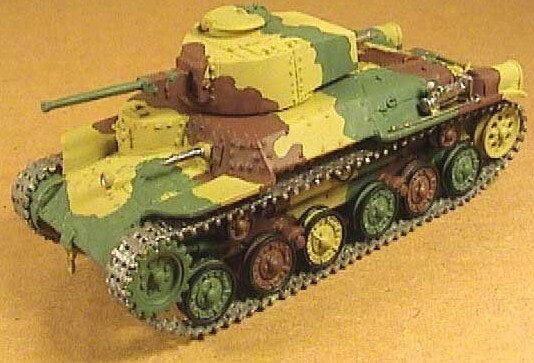 Kit 72100 - Type 2597 Shinhoto Chi-ha Japanese medium tank. 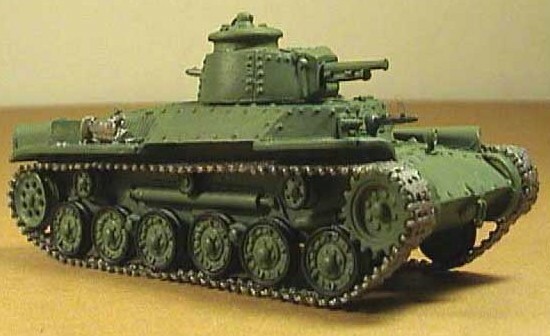 Kit 72101 - Type 1 Chi-he Japanese medium tank. 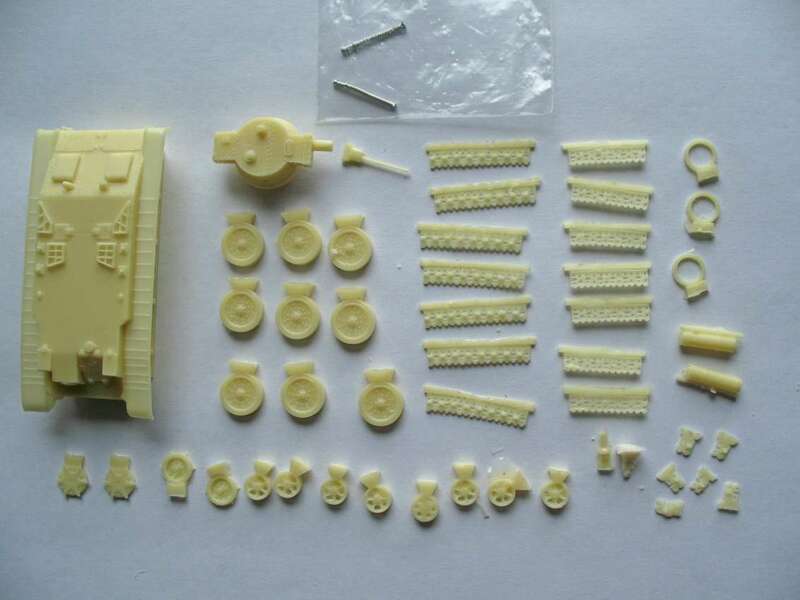 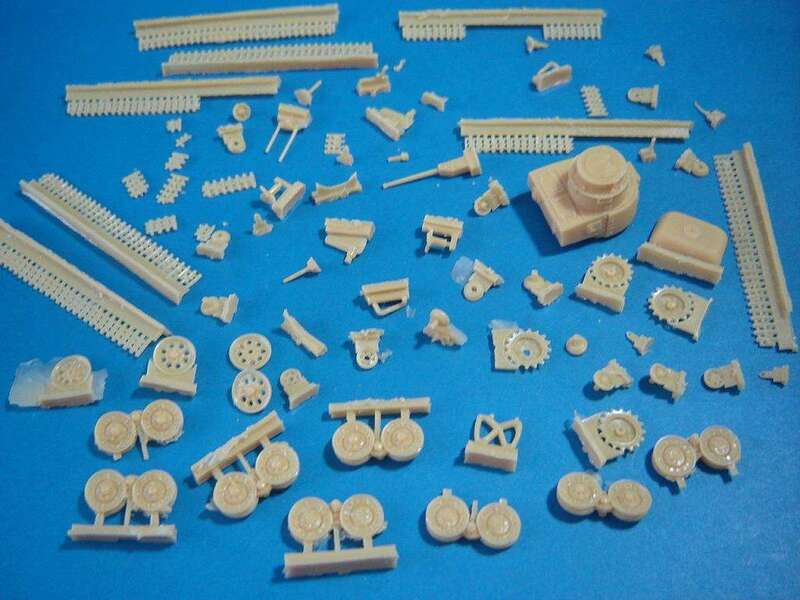 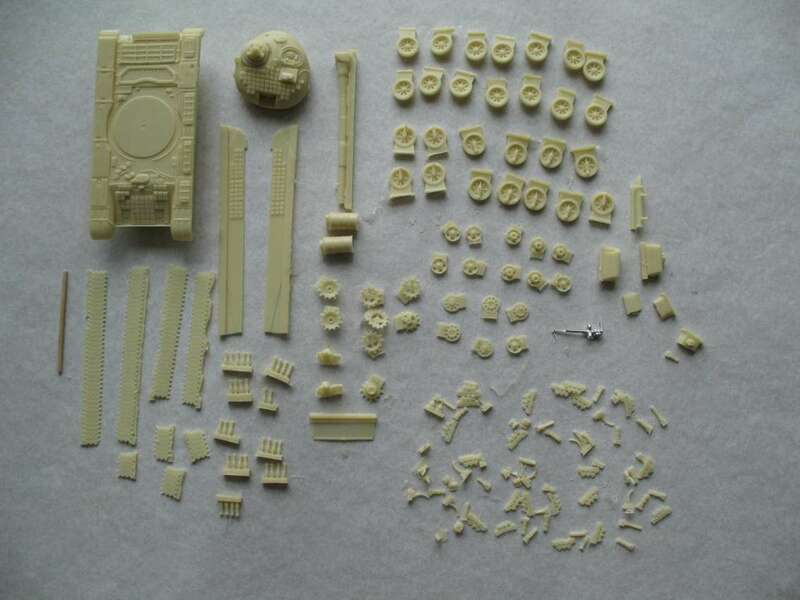 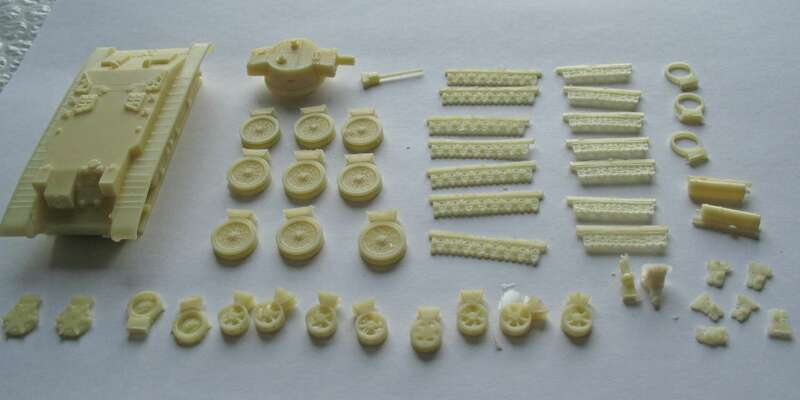 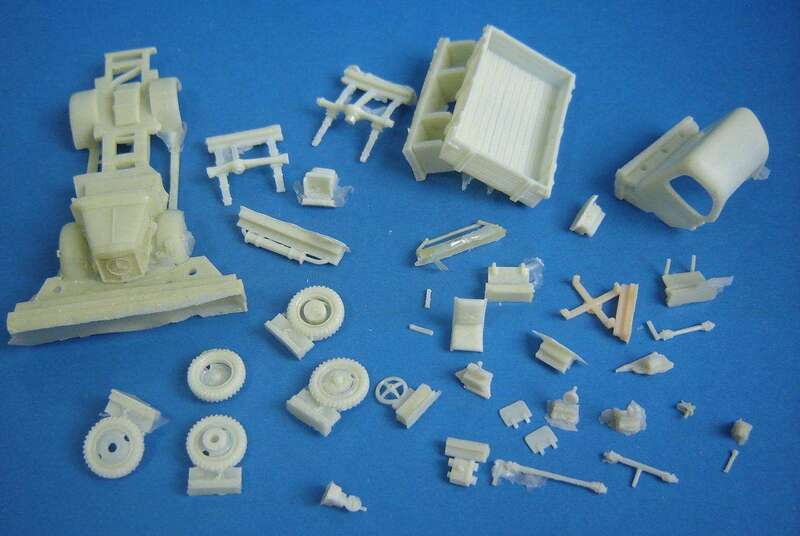 Kit 72102 - Chi-ki Japanese Command Tank with new suspention. 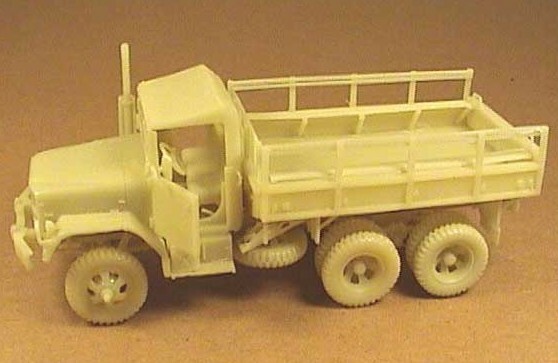 Kit 72103 - M35 US Army cargo truck. 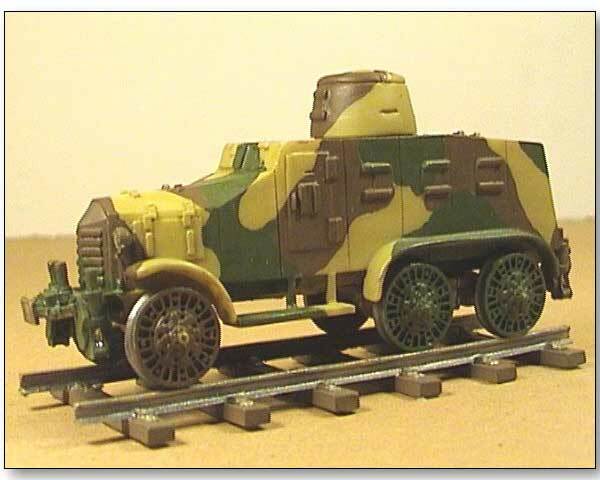 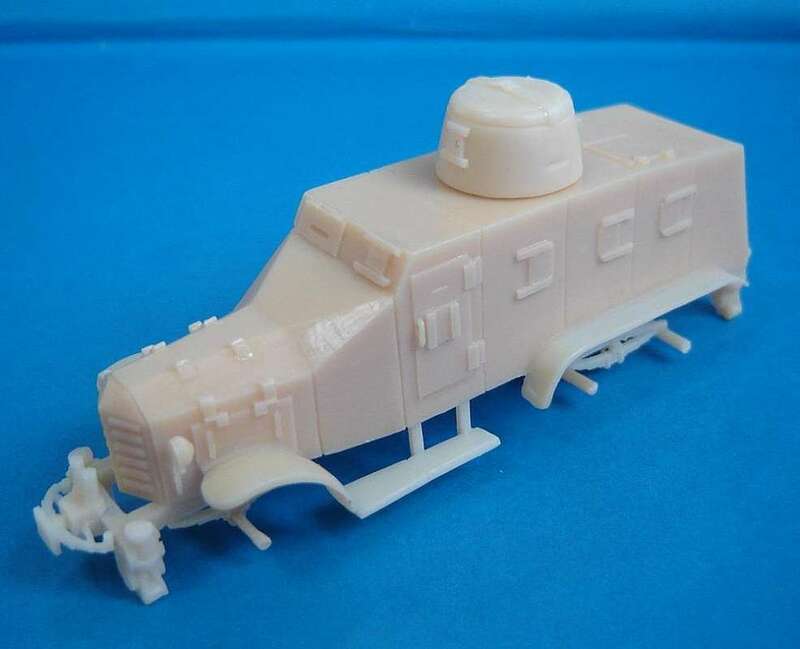 Kit 72104 - M35A2 US cargo truck. 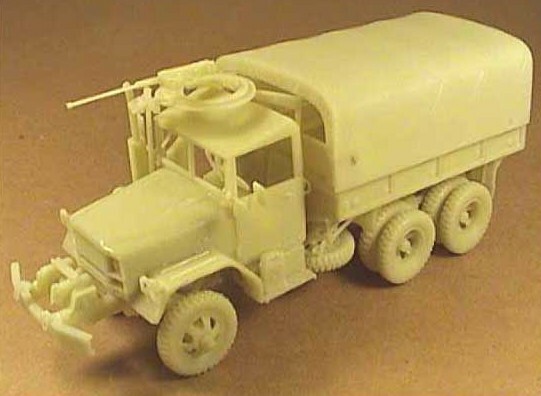 Kit 72105 - M49A2C US Army fuel tanker. 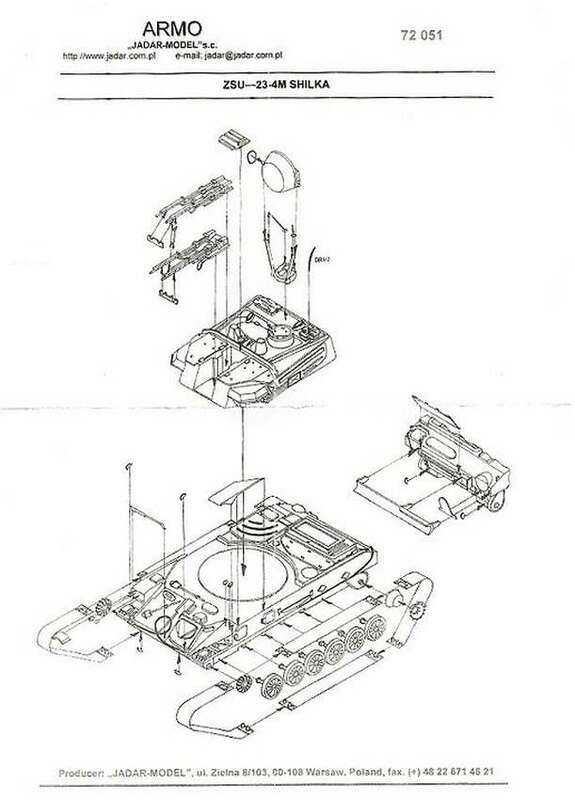 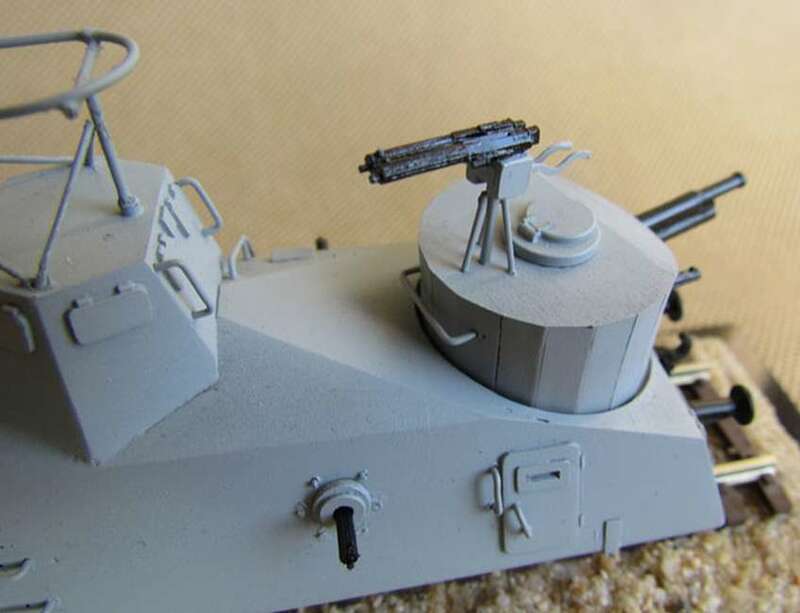 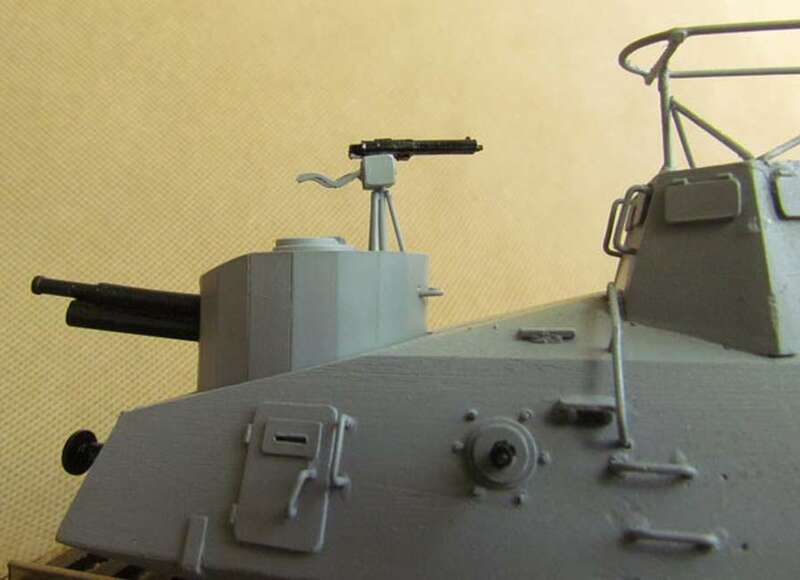 Kit 72110 - Type 3 Ka-chi - commander's turret. 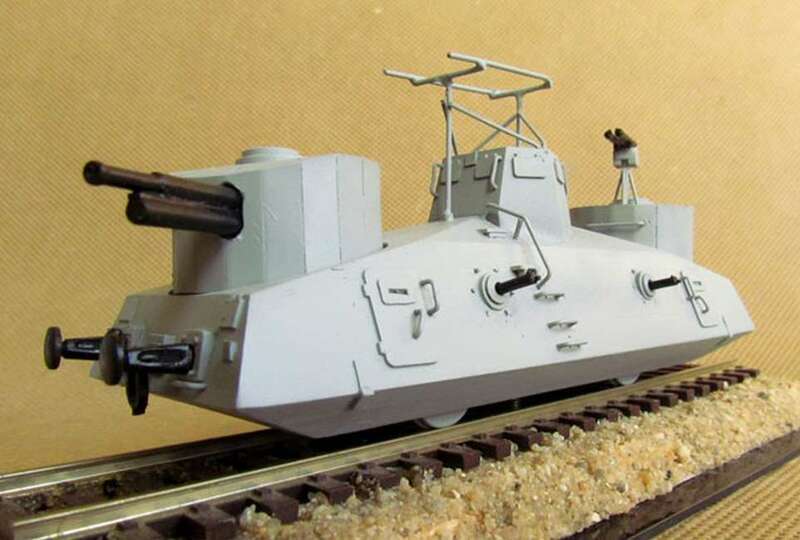 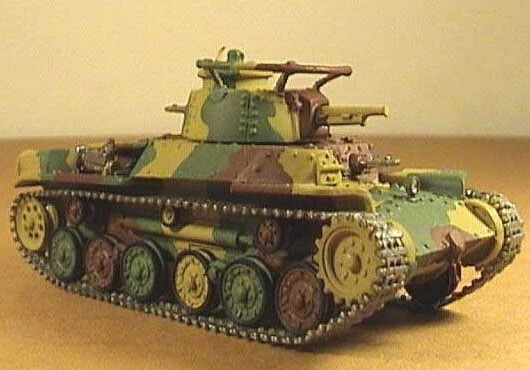 Kit 72111 - Type 2 Ka-mi - Japanese amfibious tank. 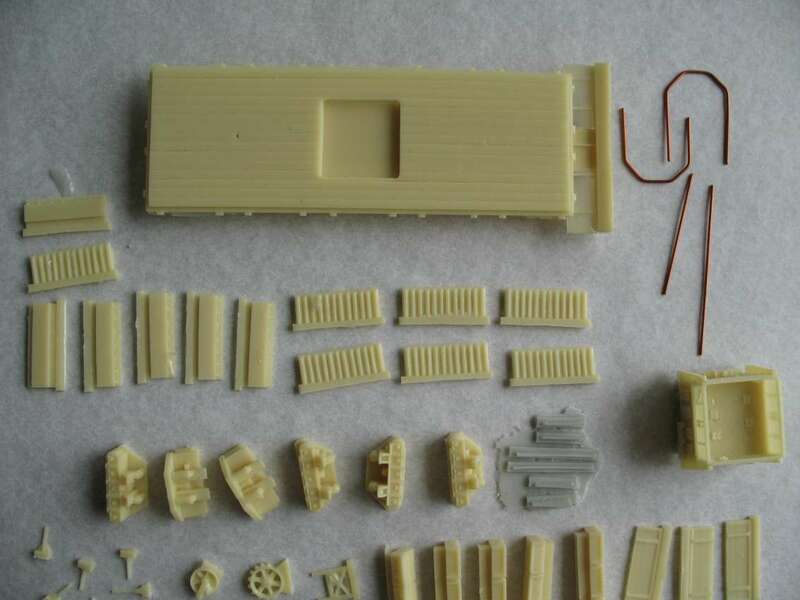 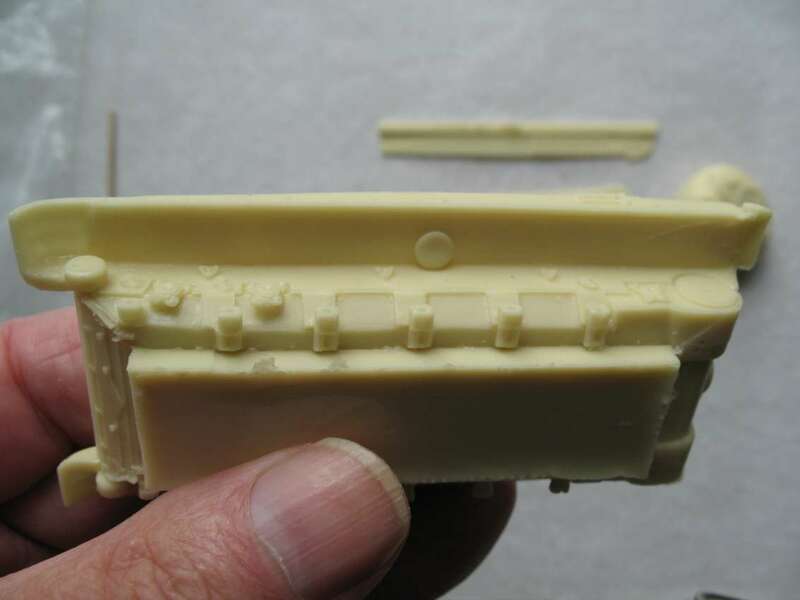 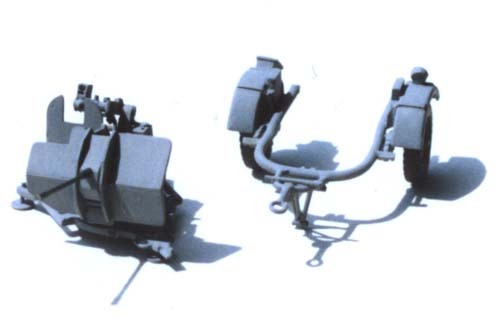 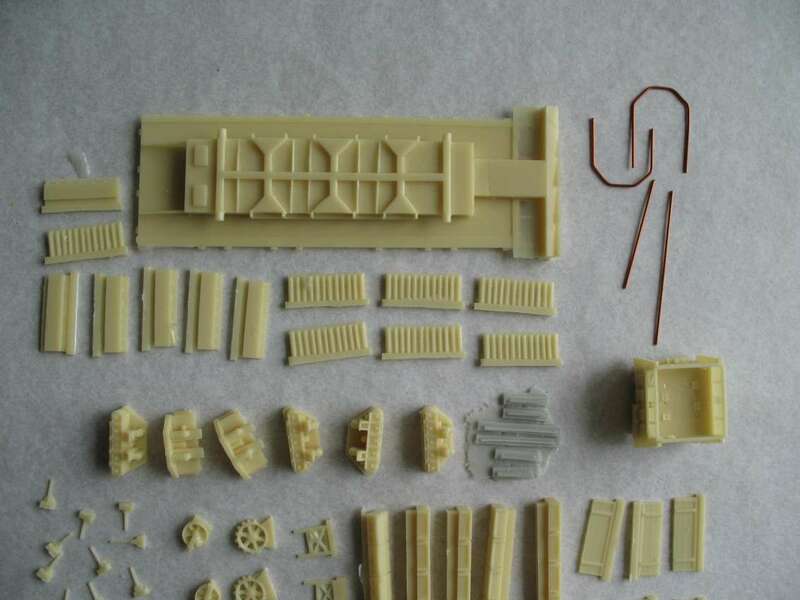 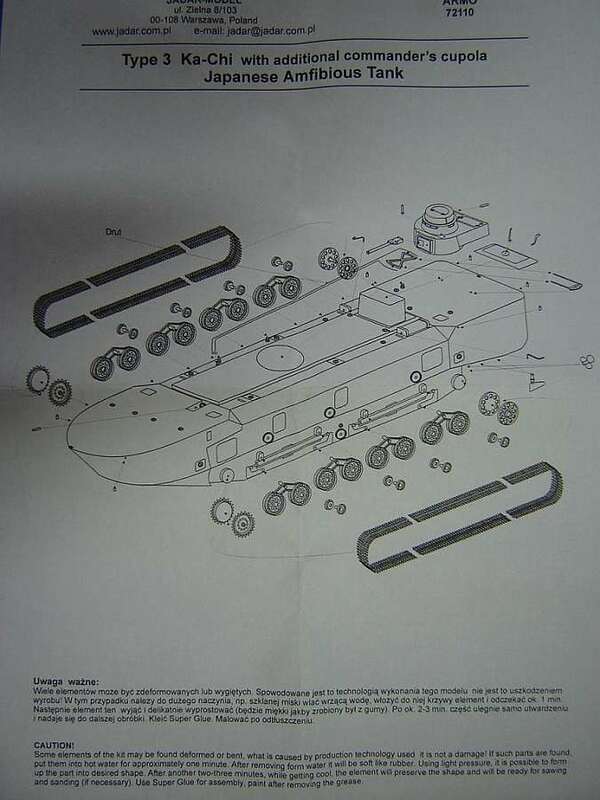 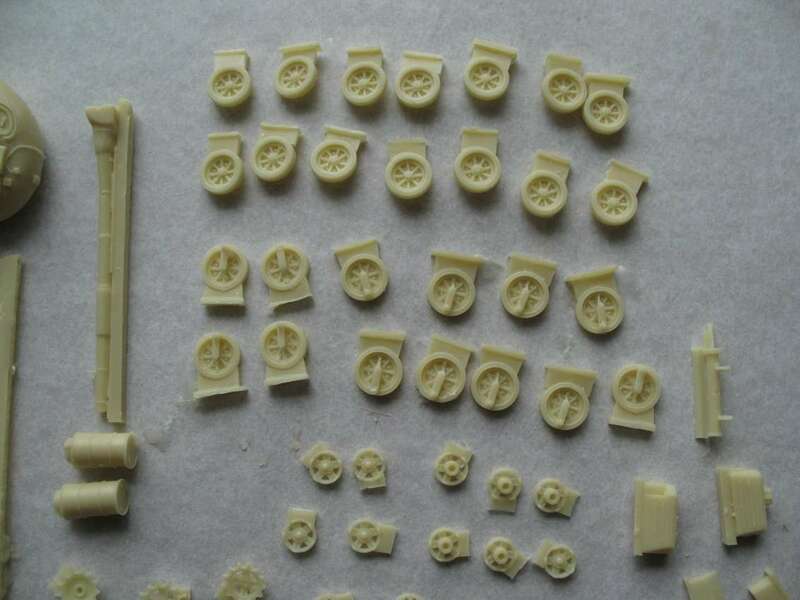 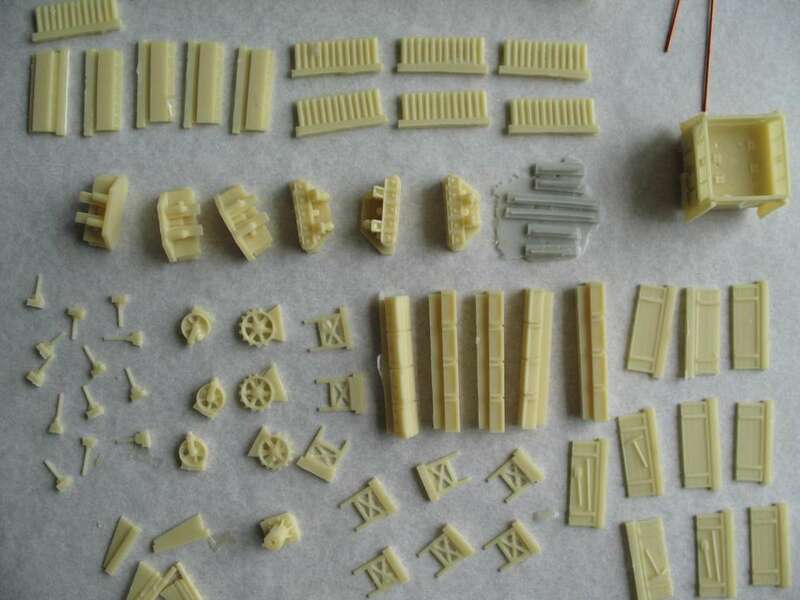 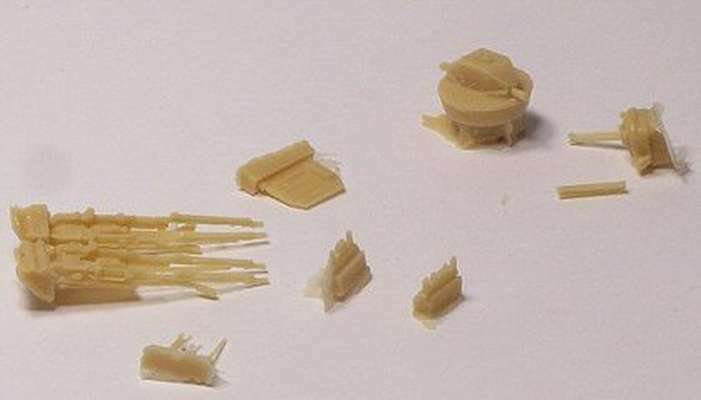 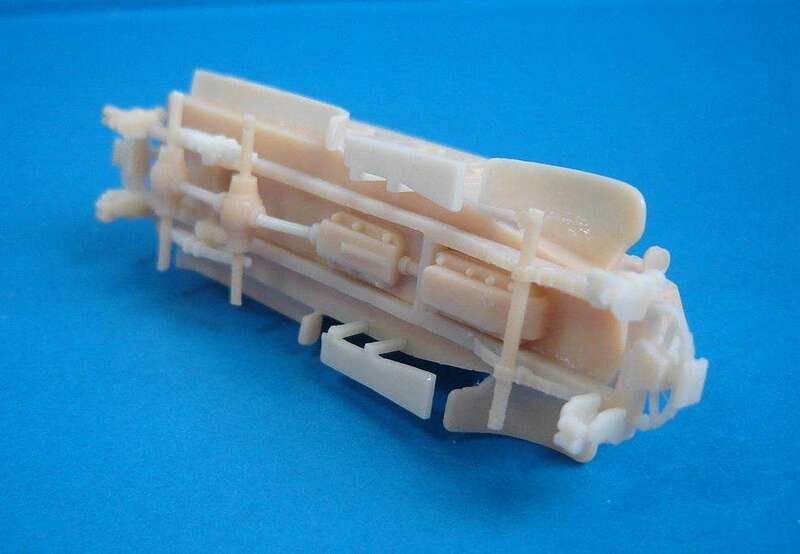 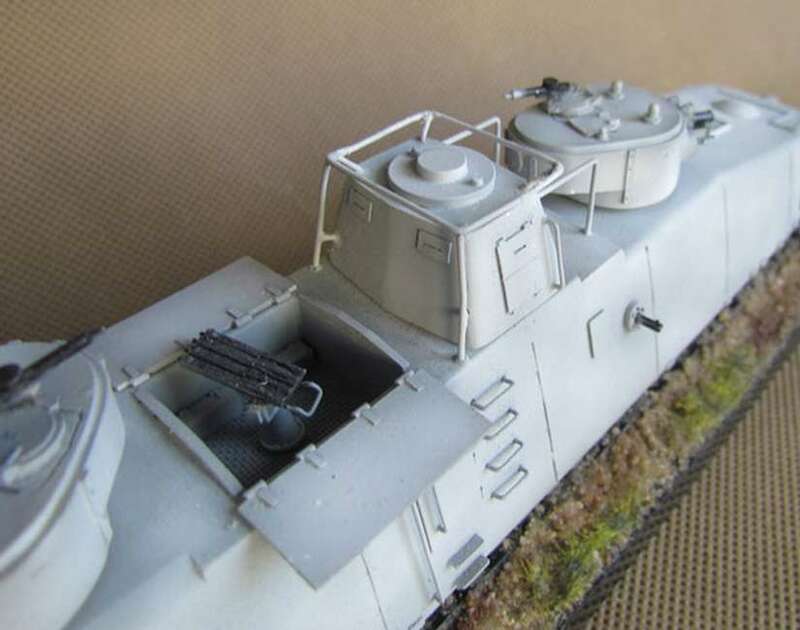 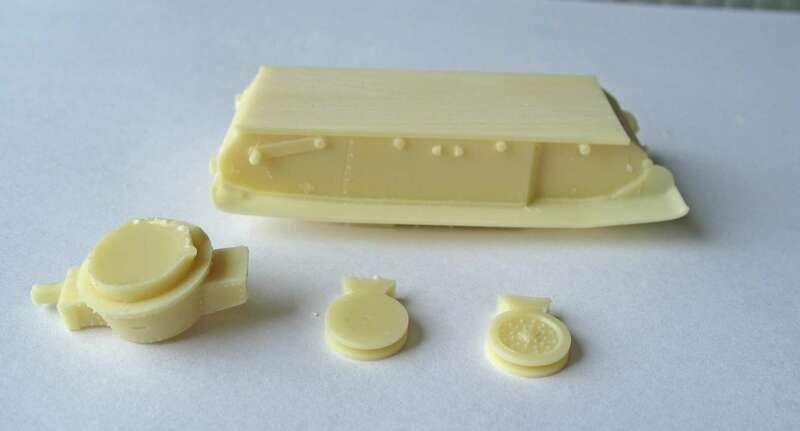 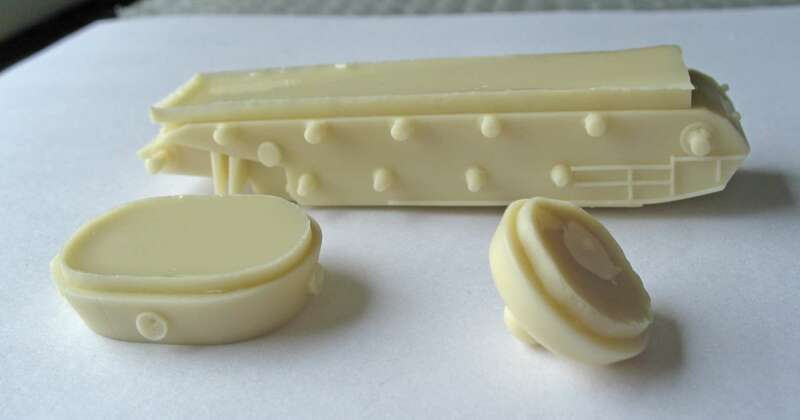 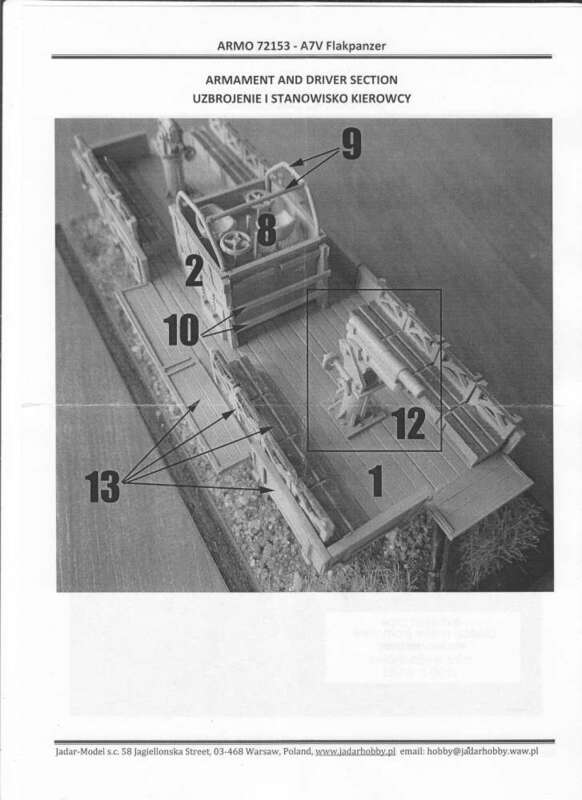 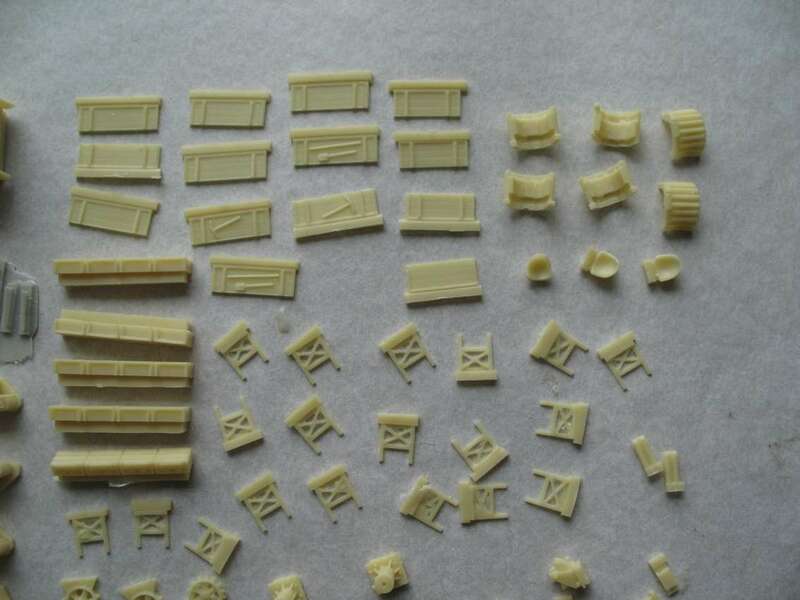 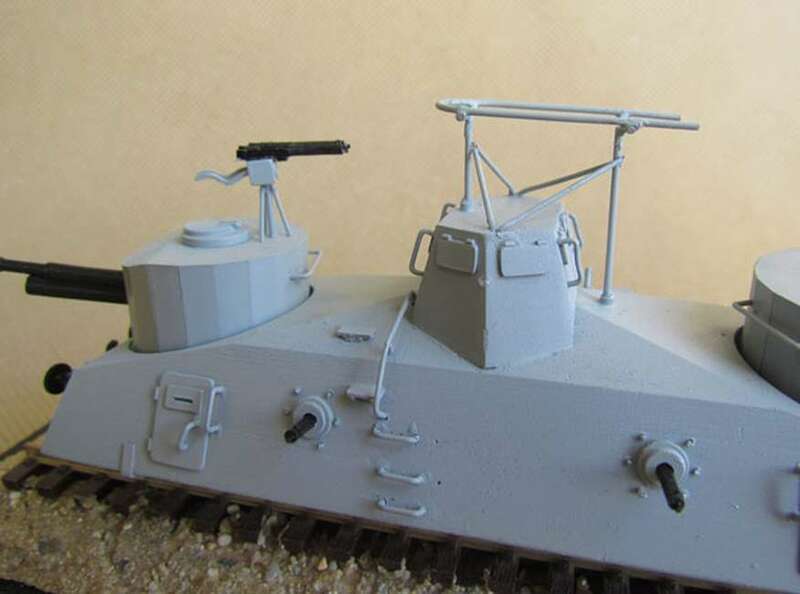 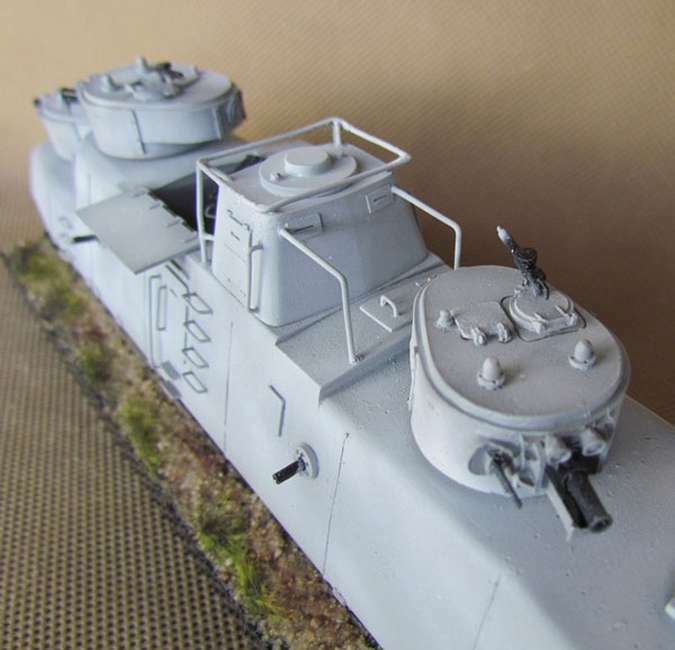 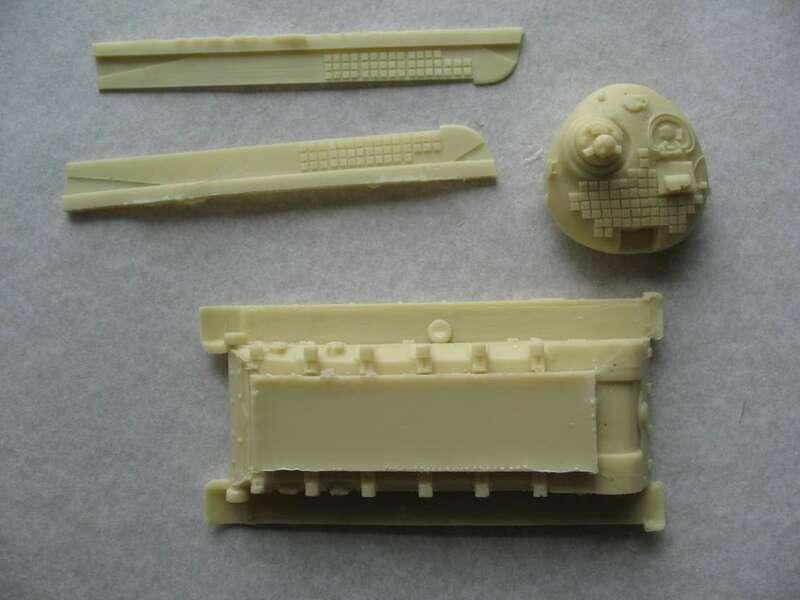 Kit 72113 - Pontoons for Type 2 Ka-mi. 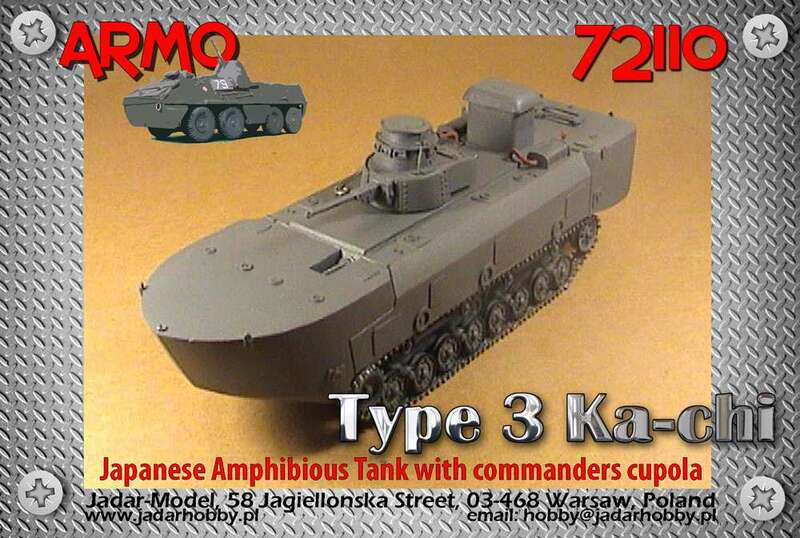 Kit 72115 - Type 2 Ka-mi with splash guard and pontoons. 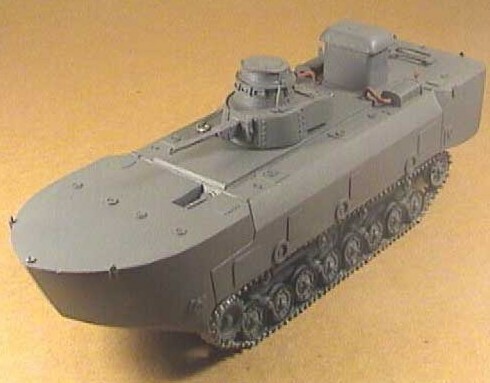 Kit 72117 - Type 2 Ka-mi with pontoons, splash guard and commander's turret. 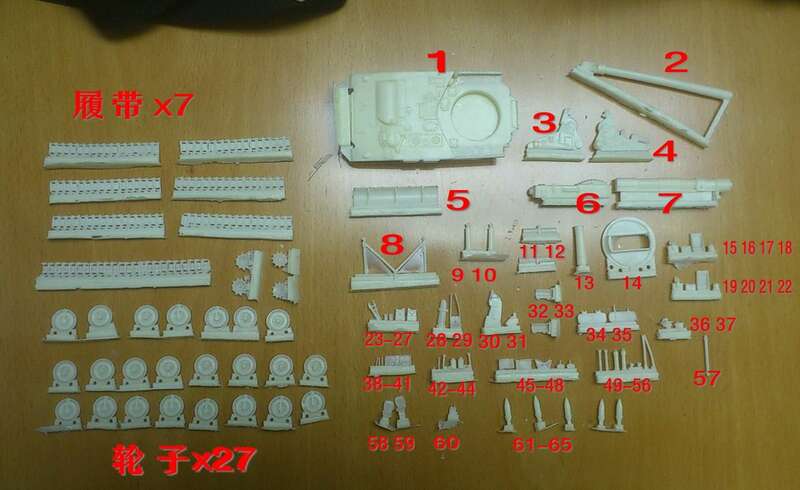 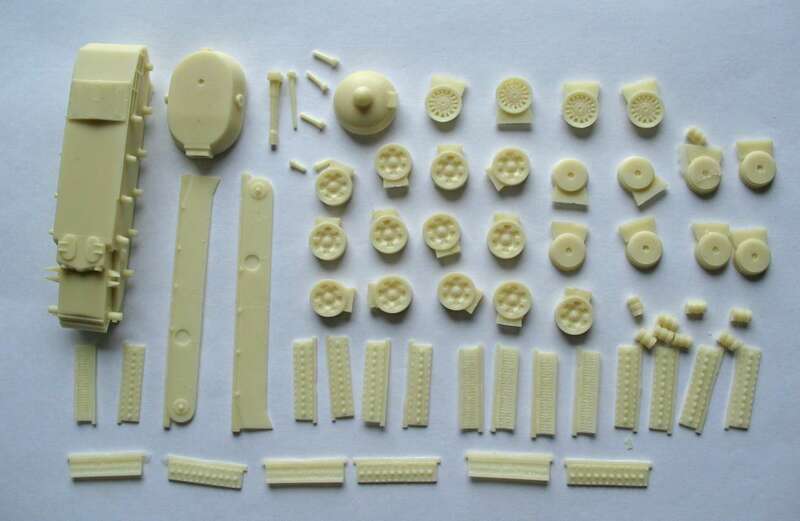 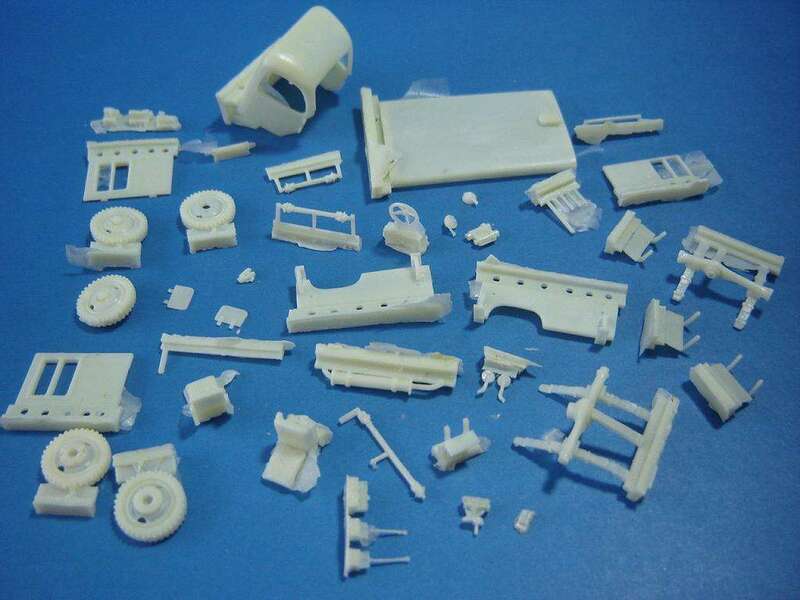 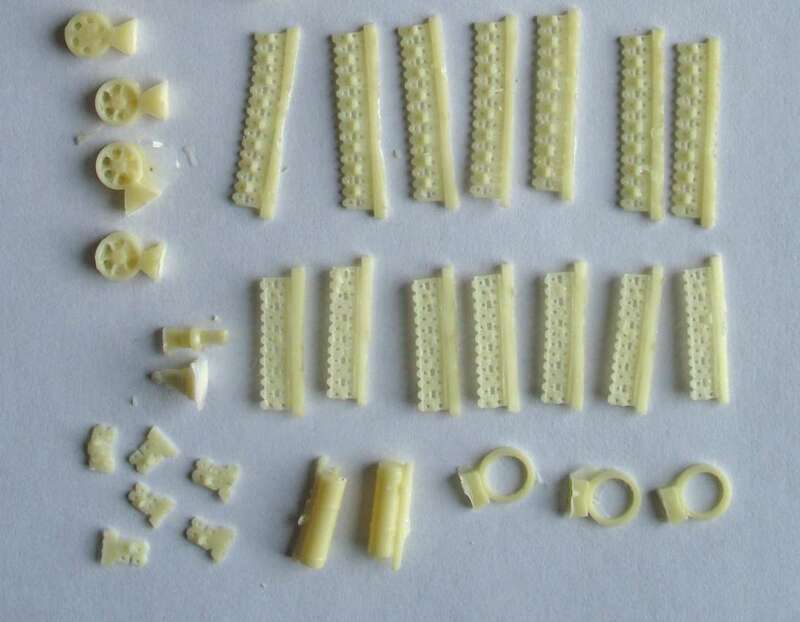 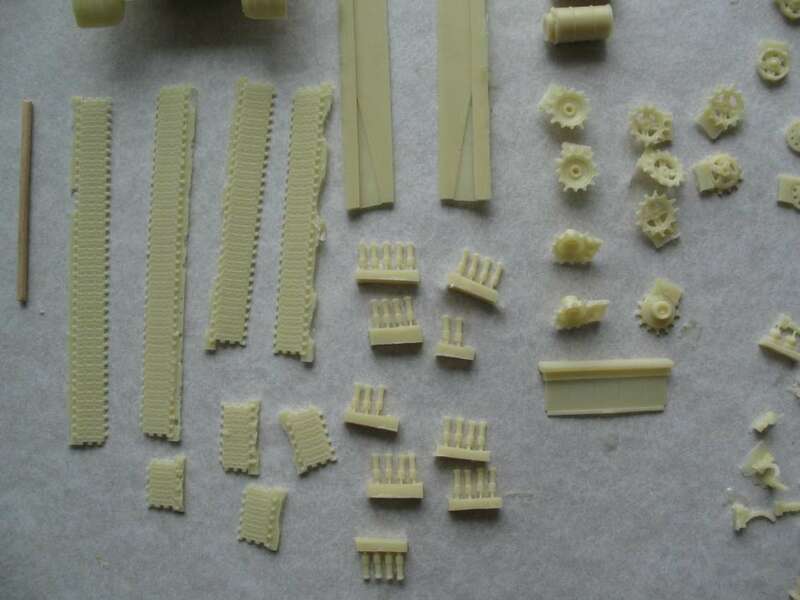 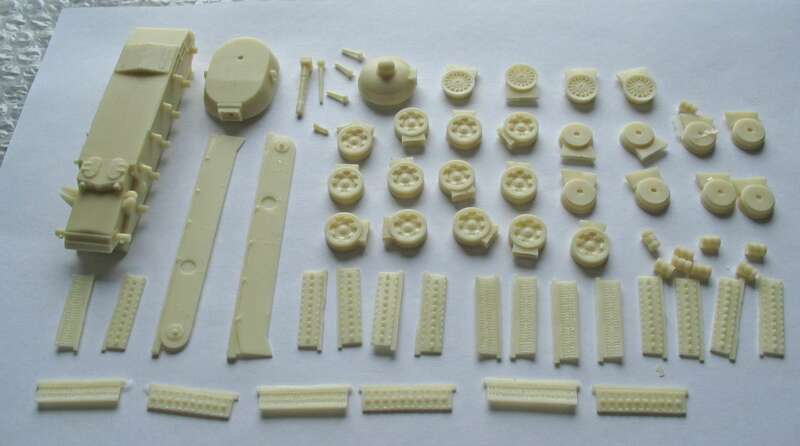 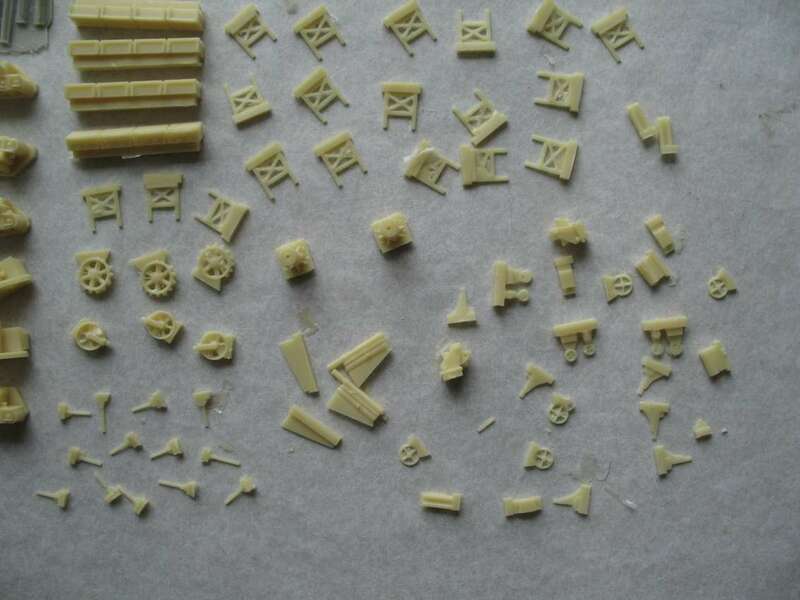 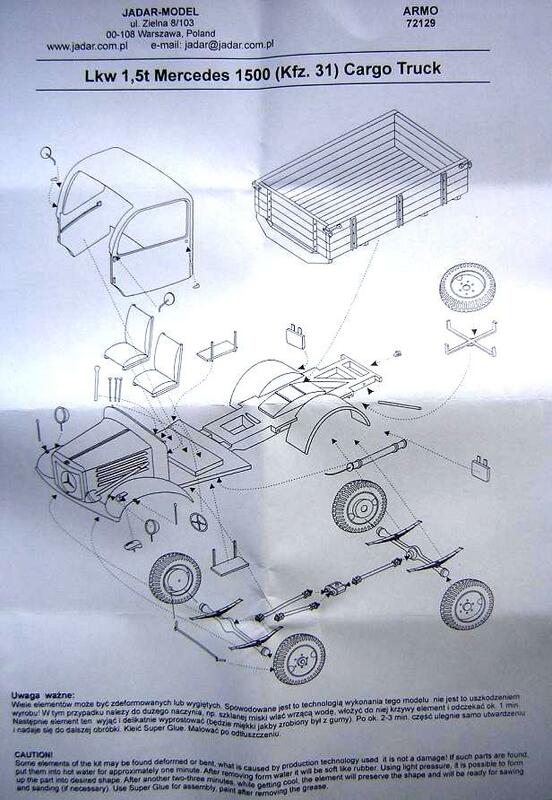 Parts Kit 72110 - Ka-Chi. 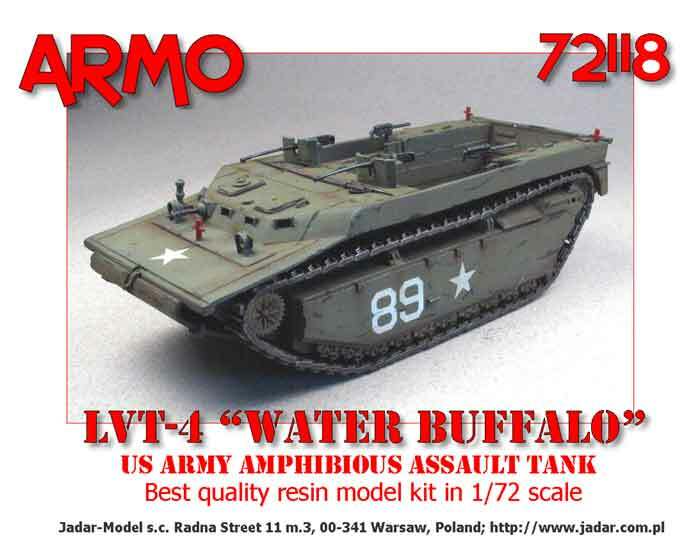 Kit 72118 - LVT-4 Water Buffalo - US Army amphibious assault vehicle. 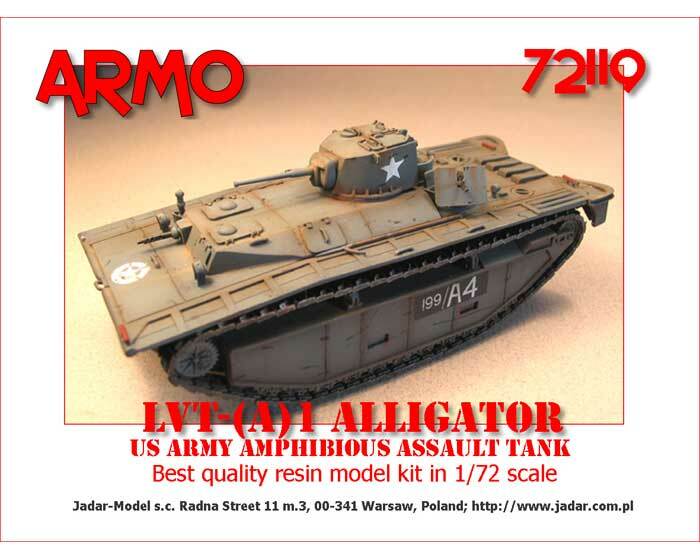 Kit 72119 - LVT-(A)1 Alligator - US Army amphibious assault vehicle with 37mm gun. 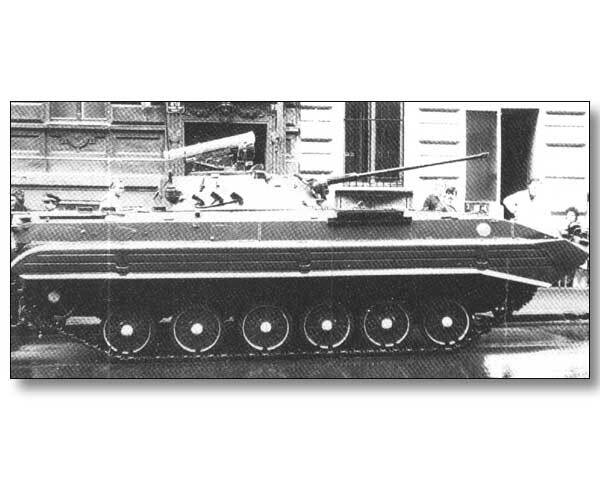 Kit 72120 - LVT (A) 5 - US Army amphibious assault tank with 75mm howitzer. 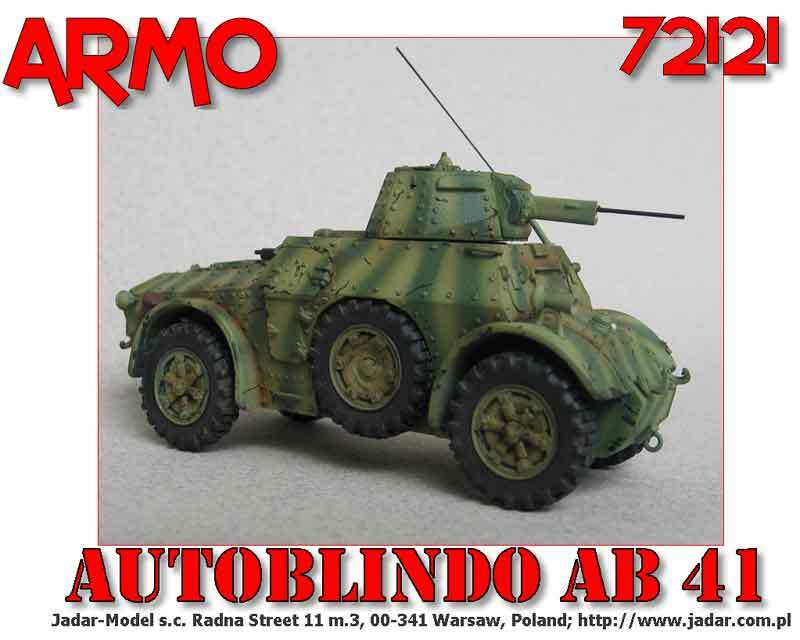 Kit 72121 - Autoblindo AB-41. 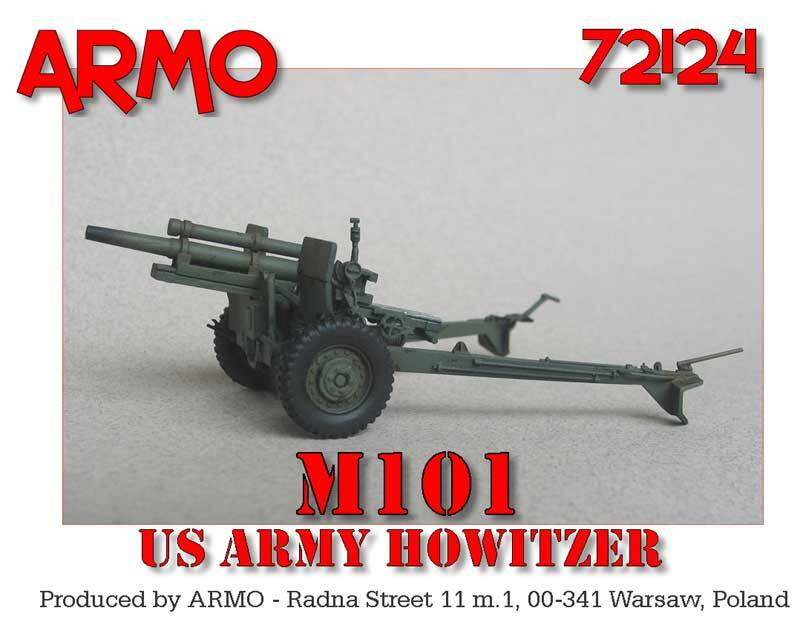 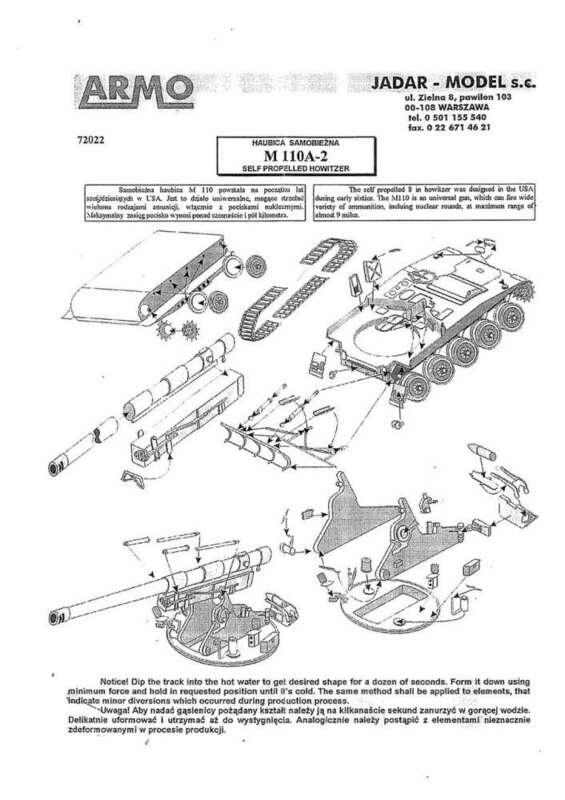 Kit 72124 - M101 - US Army 105mm howitzer. 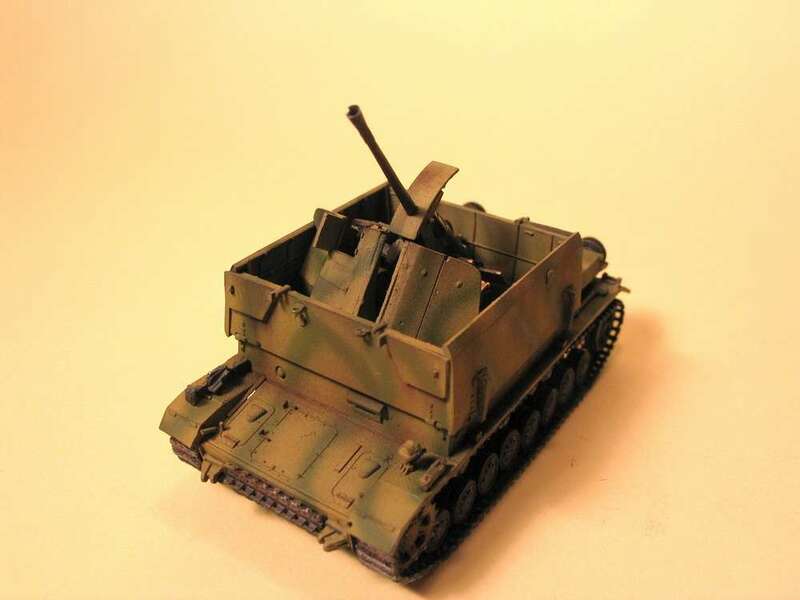 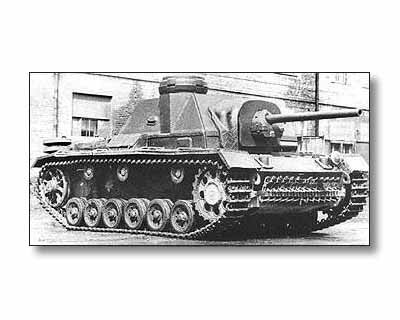 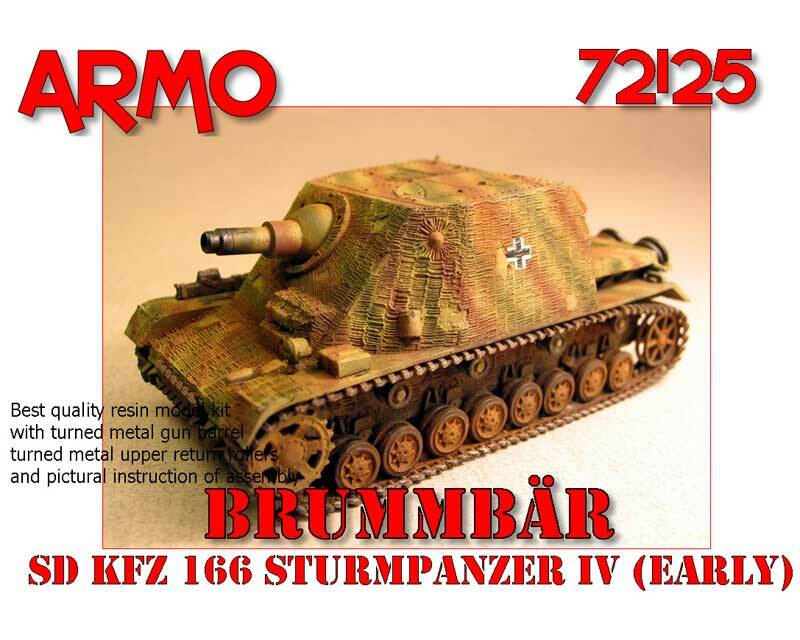 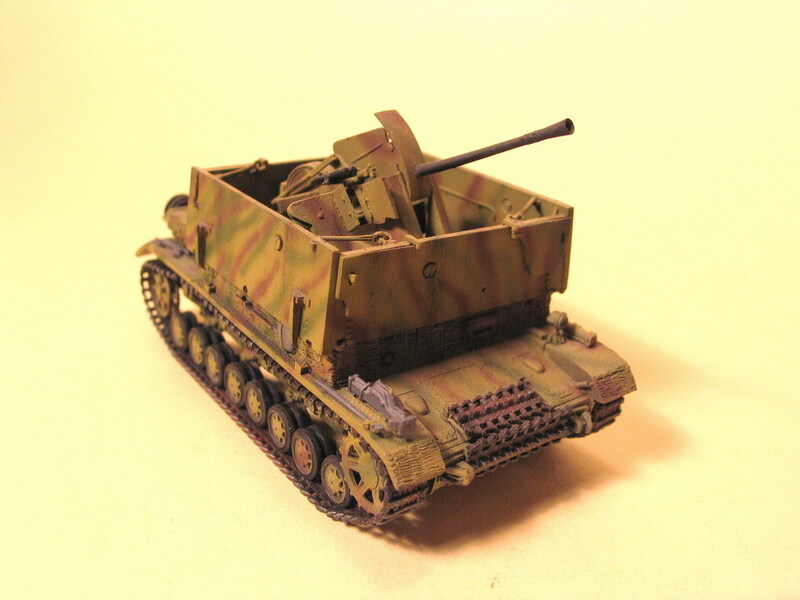 Kit 72125 - Sturmpanzer IV Brummbaer (early production). 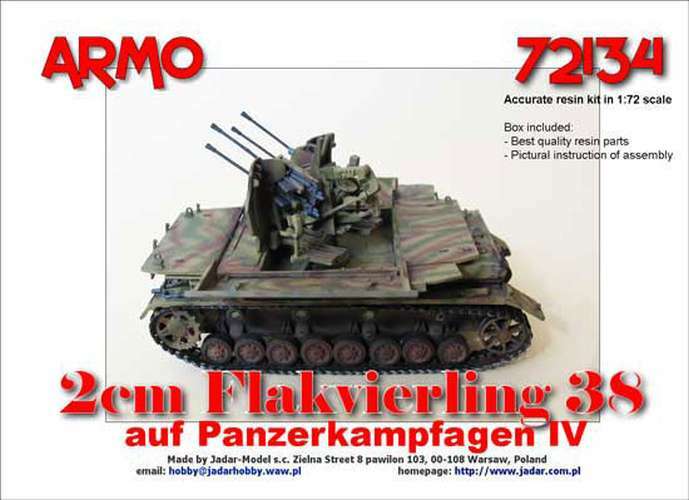 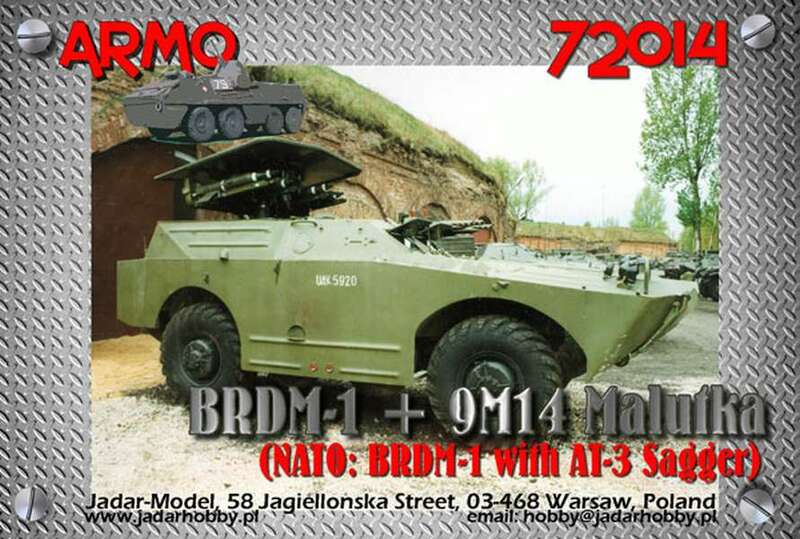 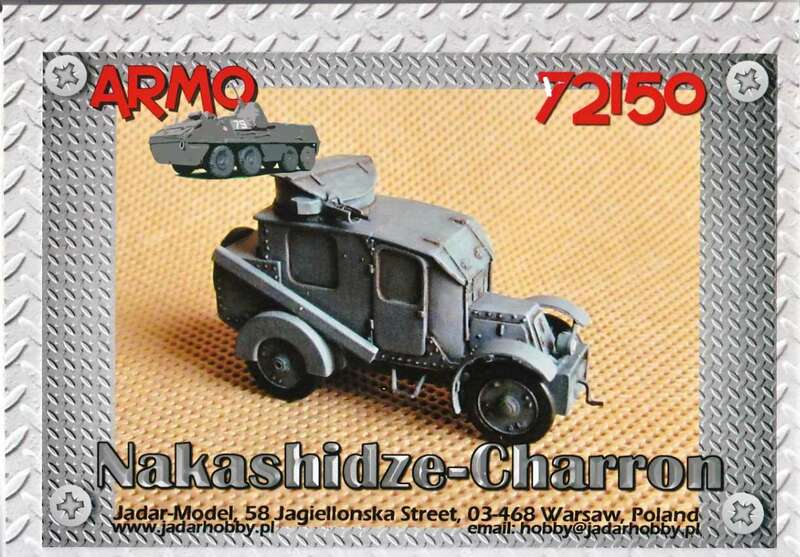 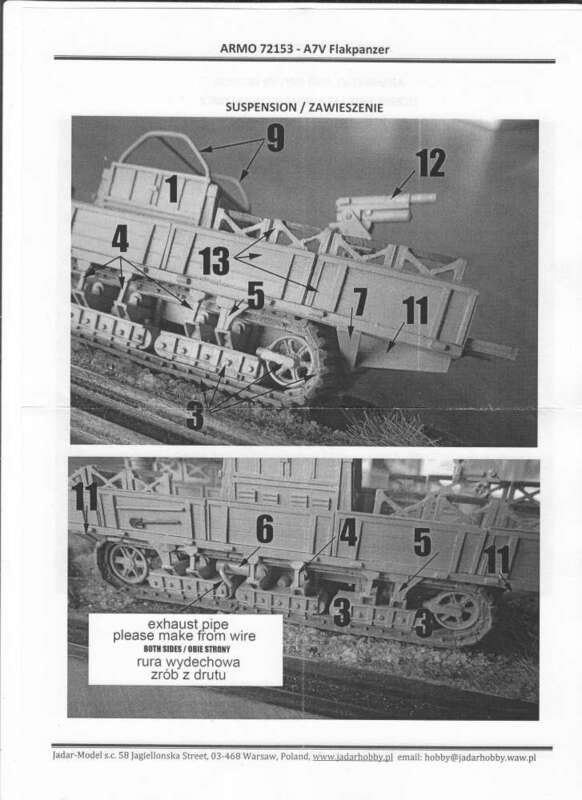 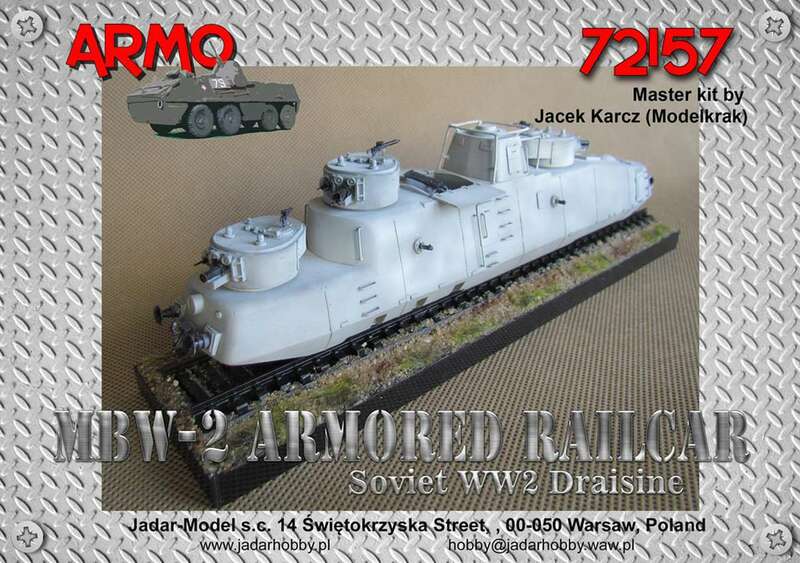 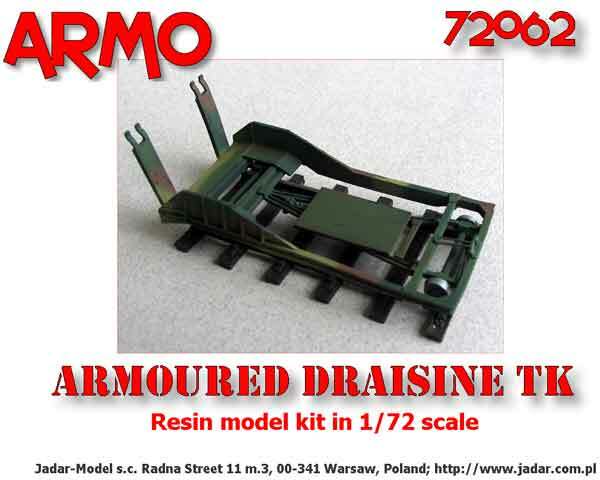 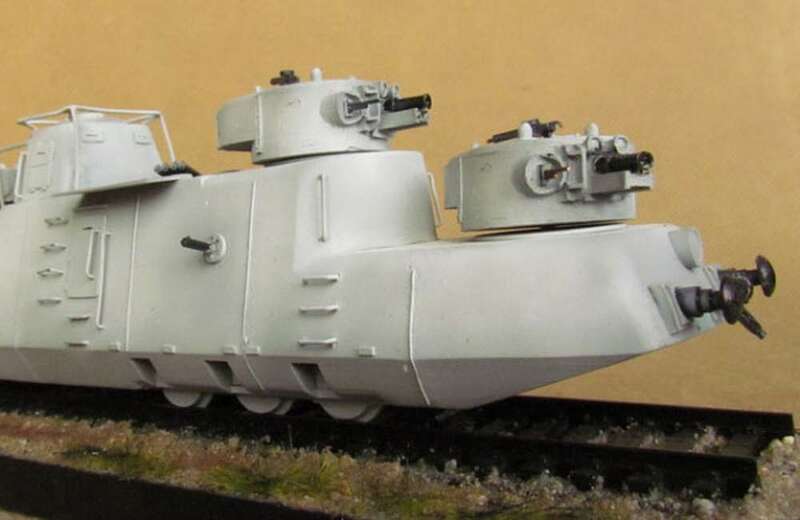 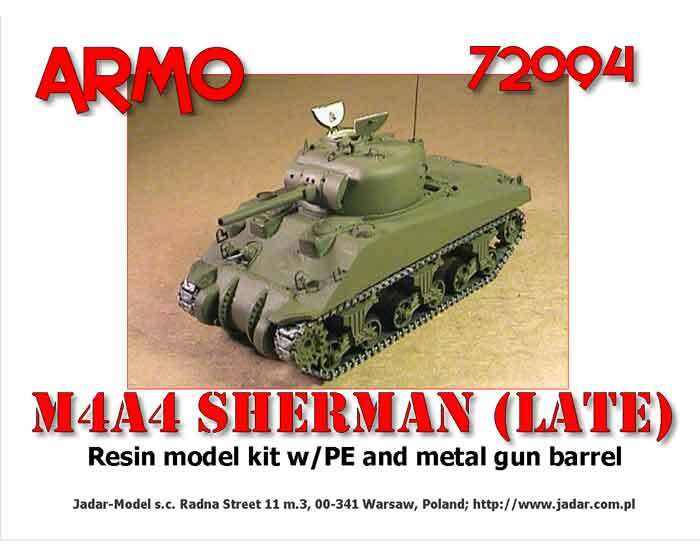 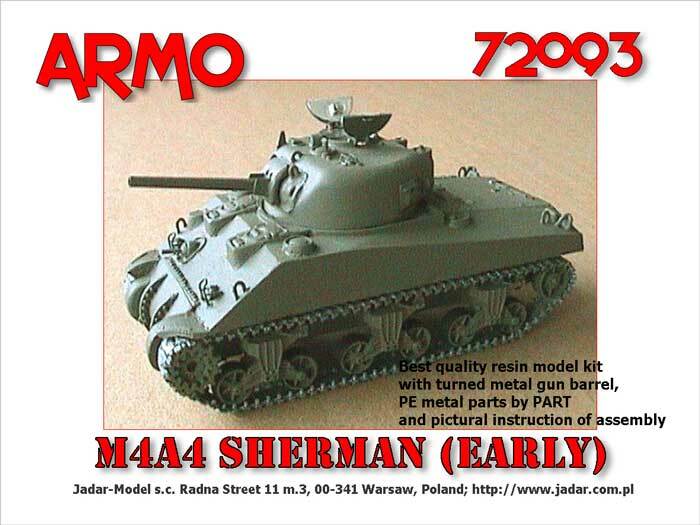 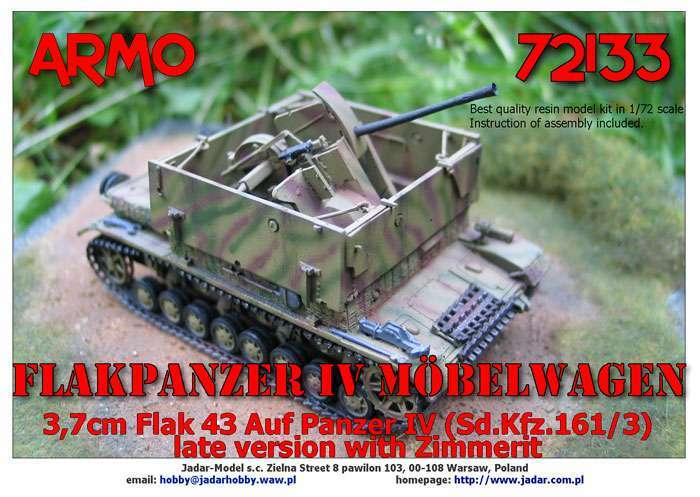 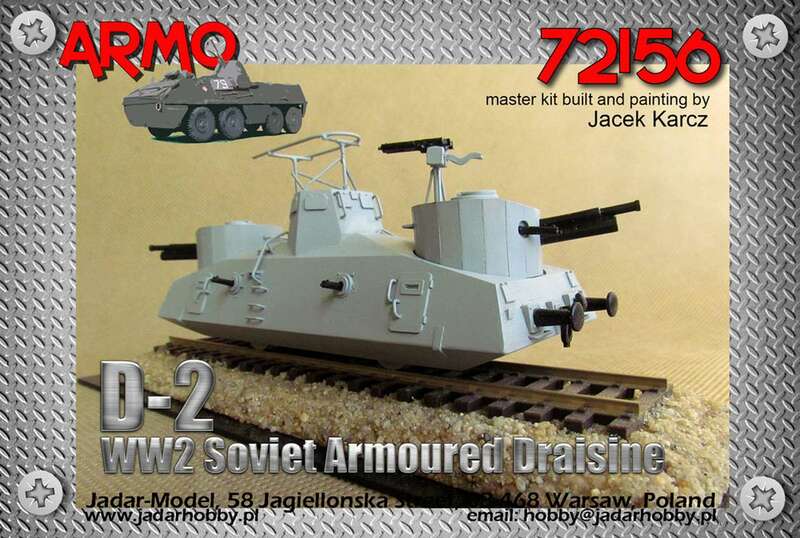 Kit 72126 - Polish Armoured Draisine FT (for RPM 72204 FT-17). 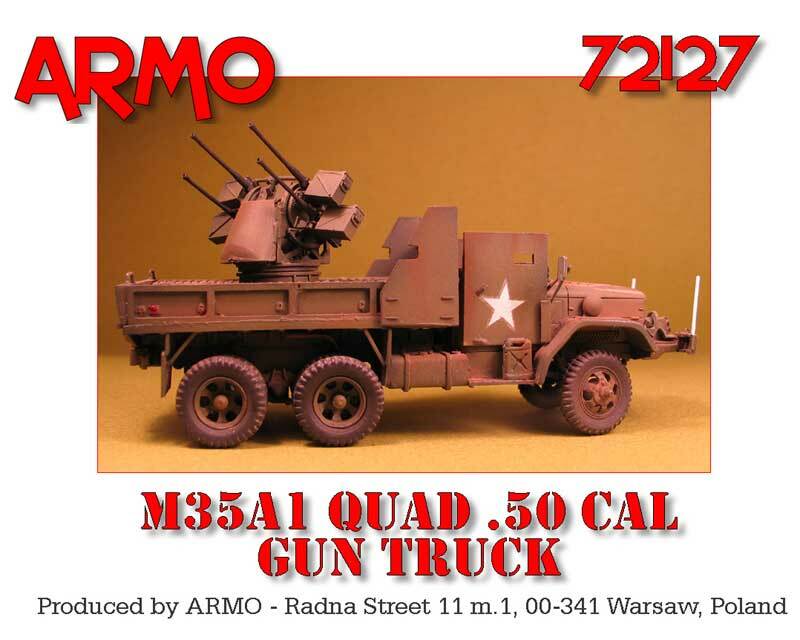 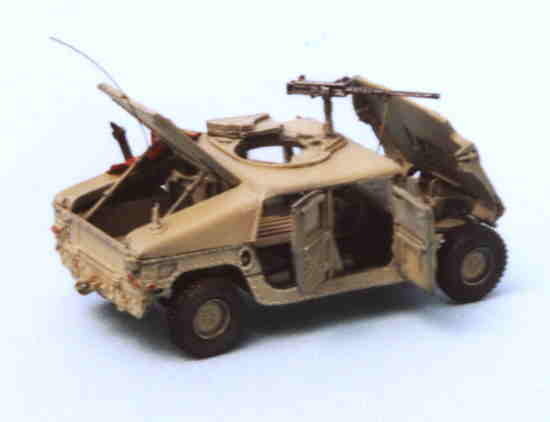 Kit 72127 - M35A1 Quad .50 Cal gun truck. 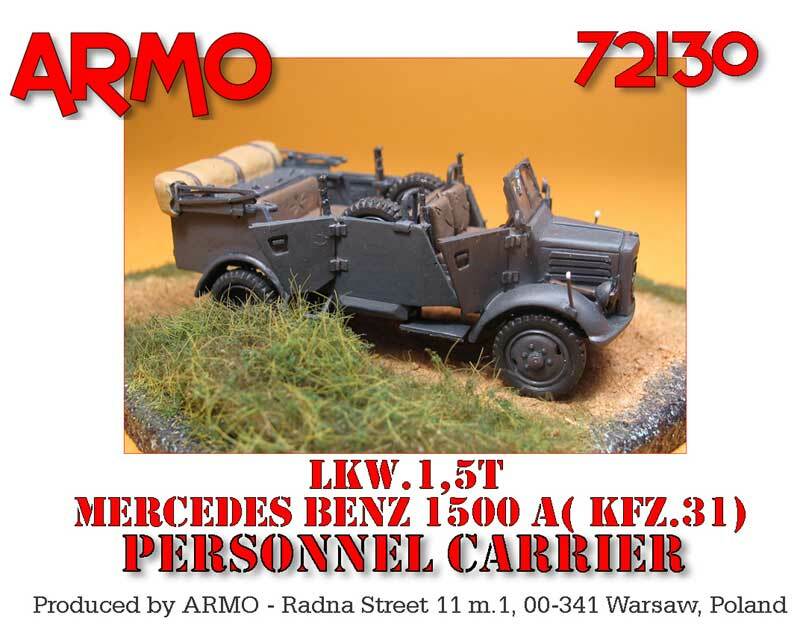 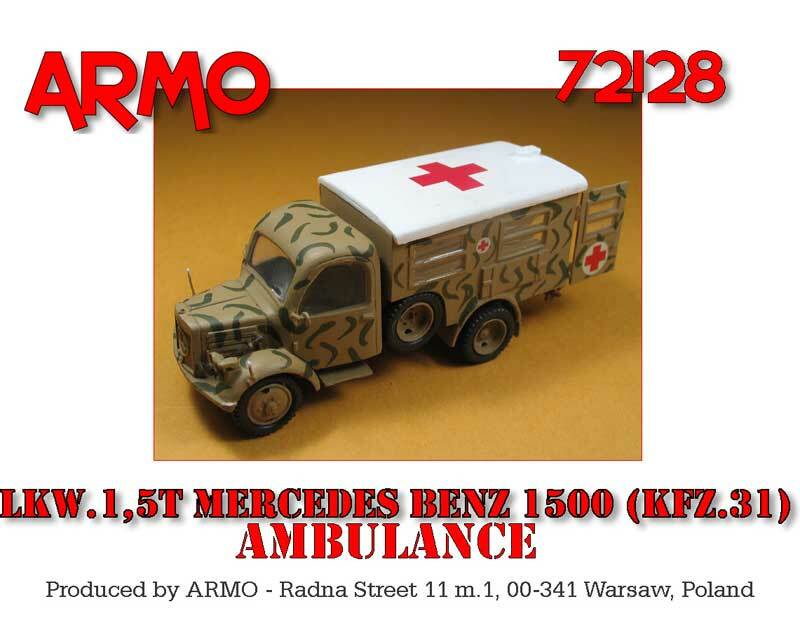 Kit 72128 - Lkw.1,5t Mercedes Benz 1500 (Kfz.31) Sankra. 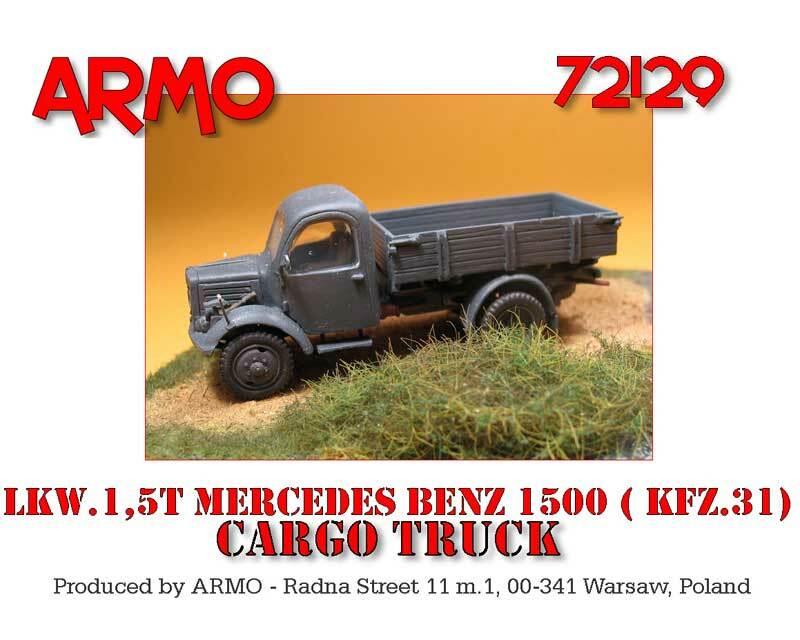 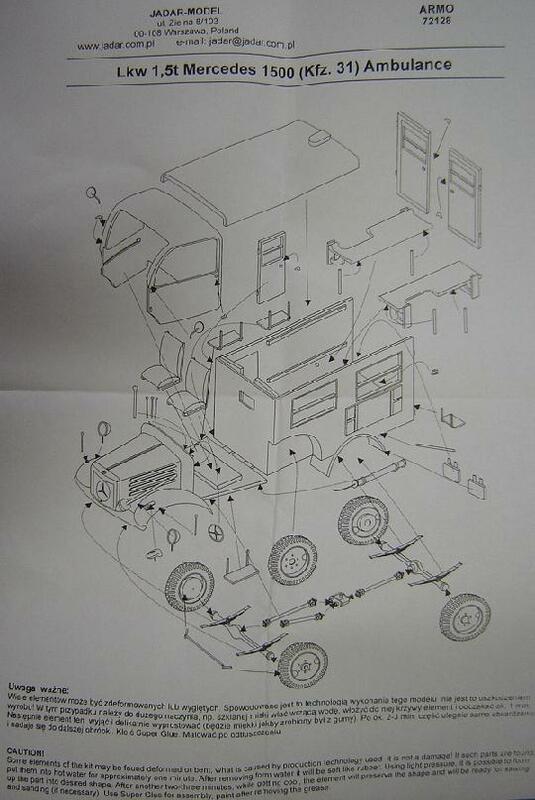 Kit 72129 - Lkw.1,5t Mercedes Benz 1500 (Kfz.31) mit Holtzpritsche. 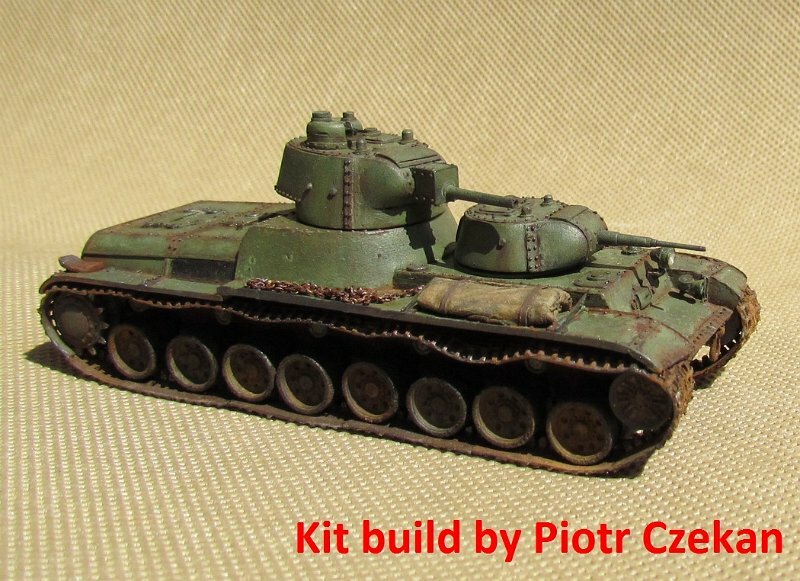 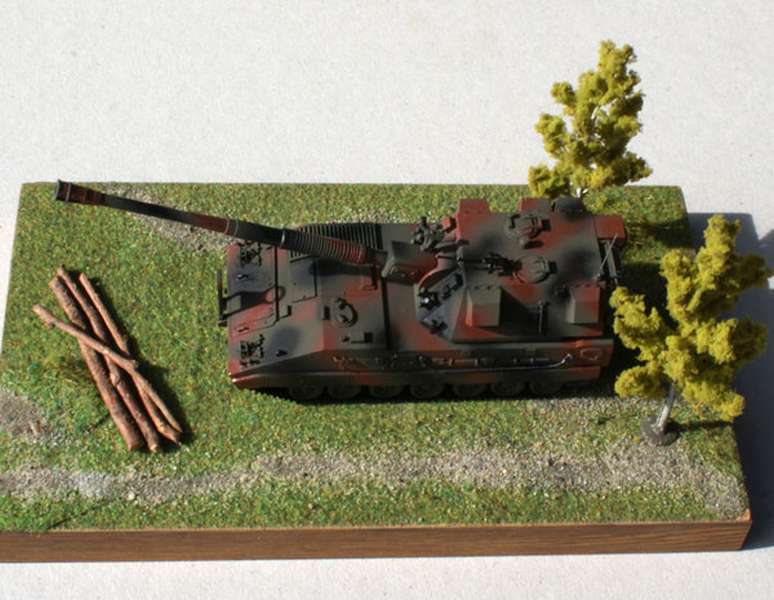 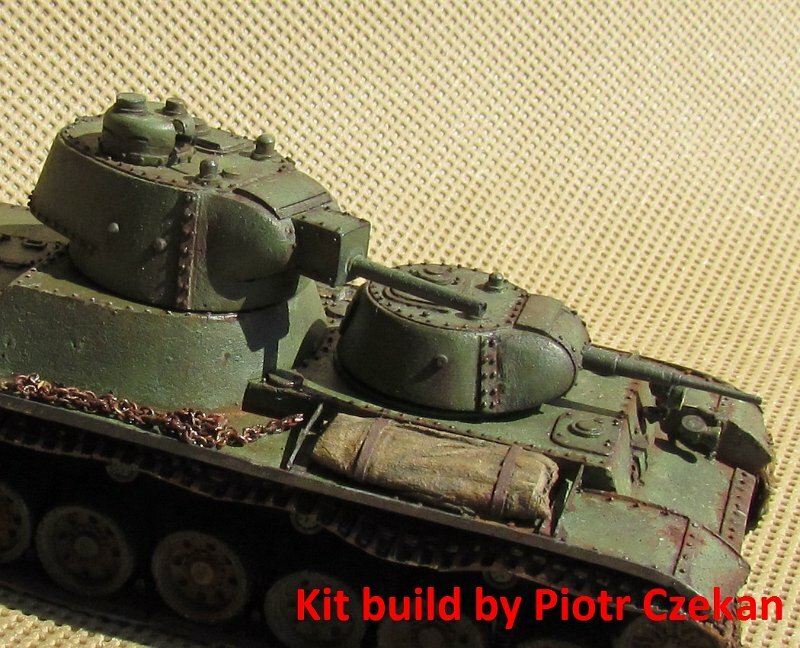 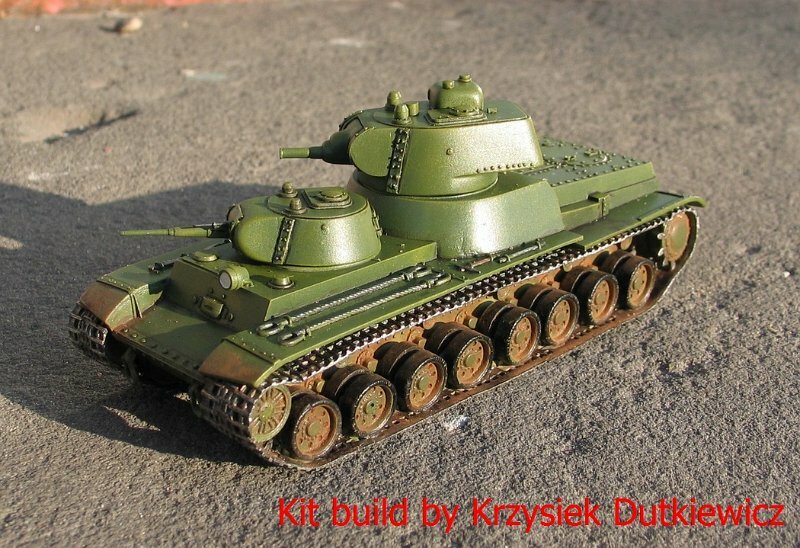 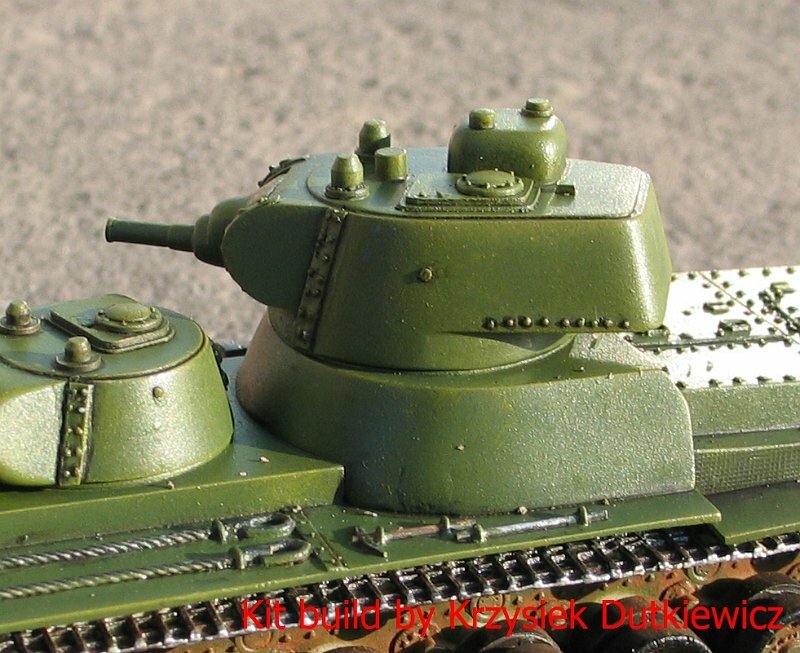 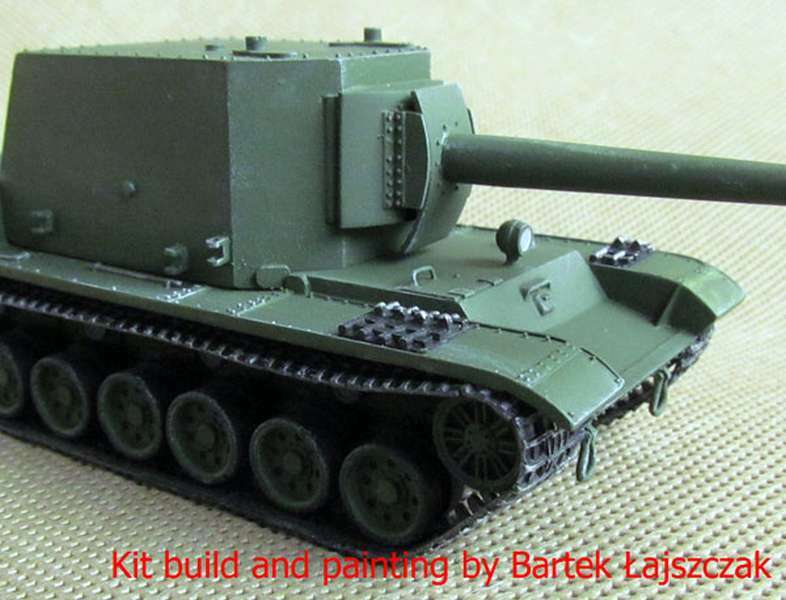 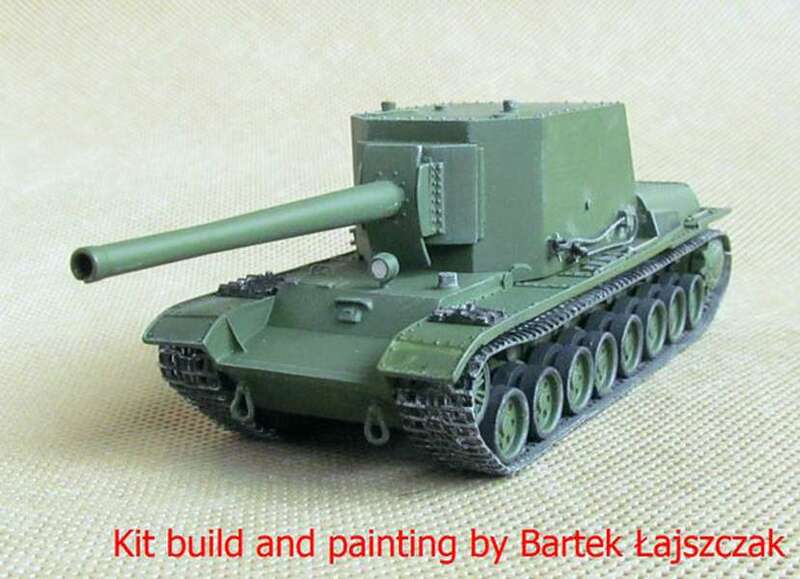 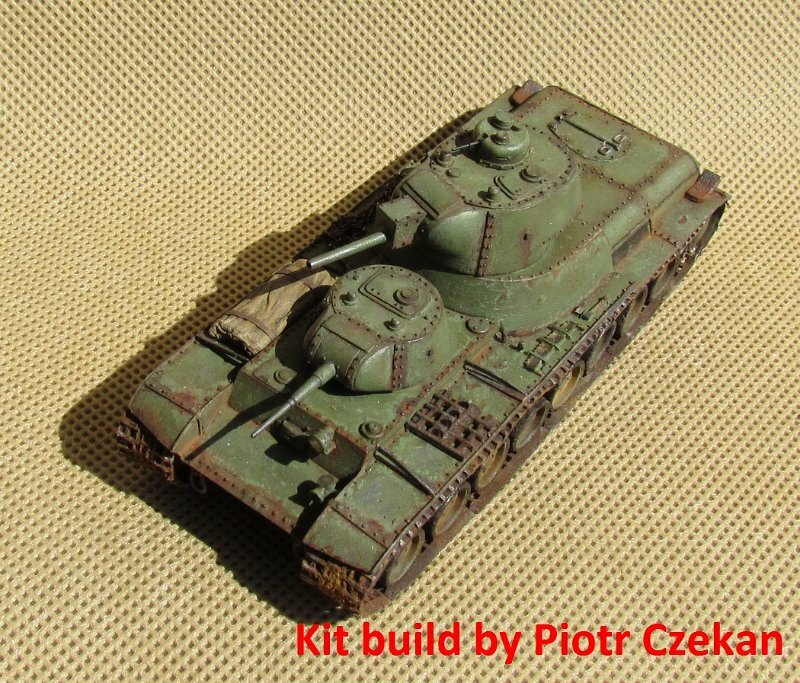 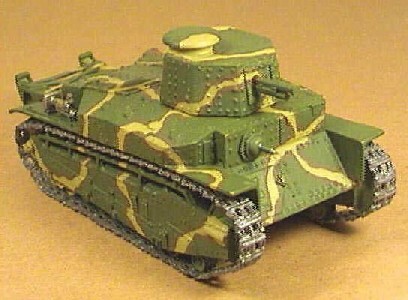 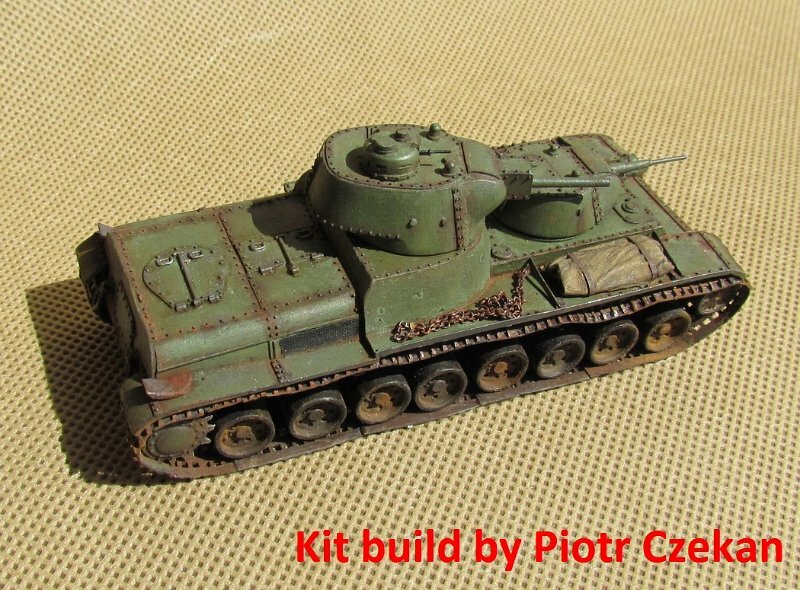 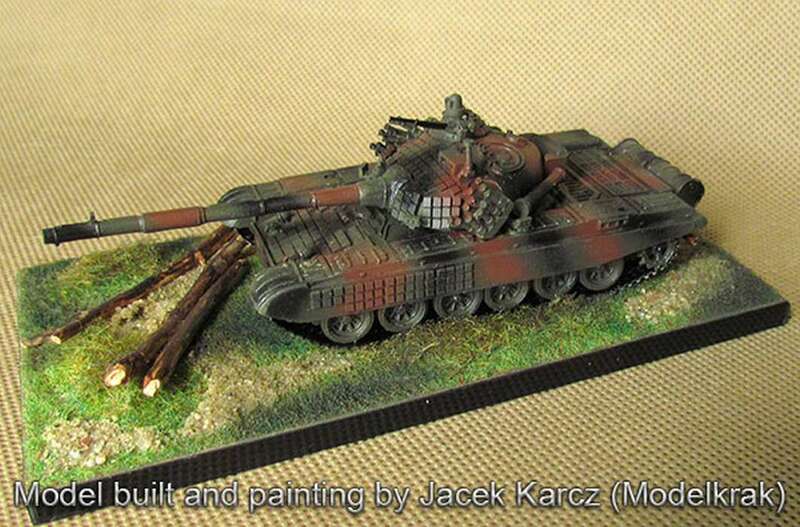 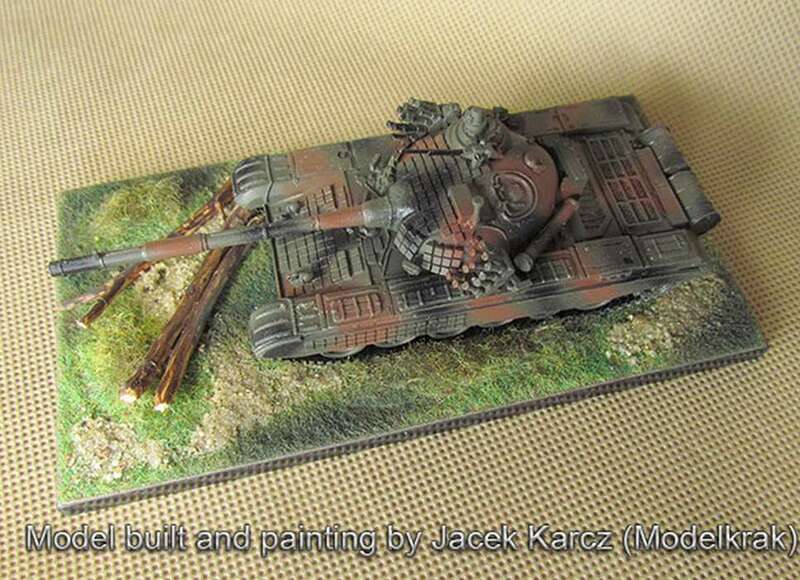 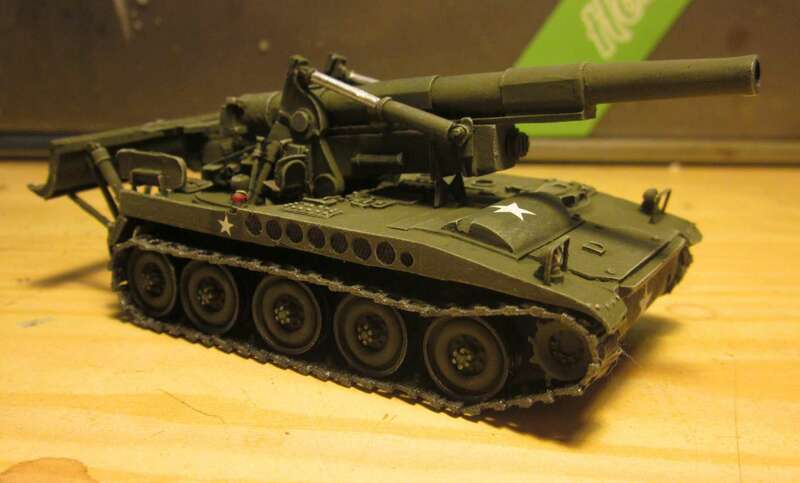 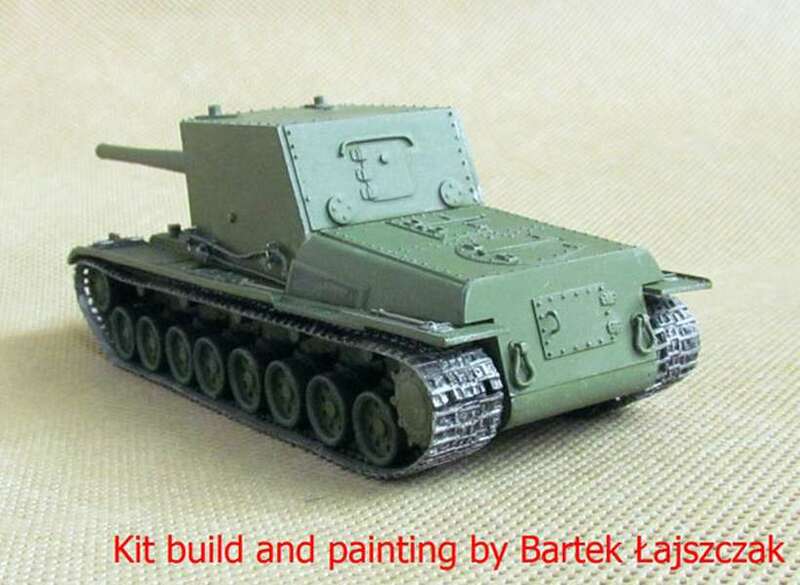 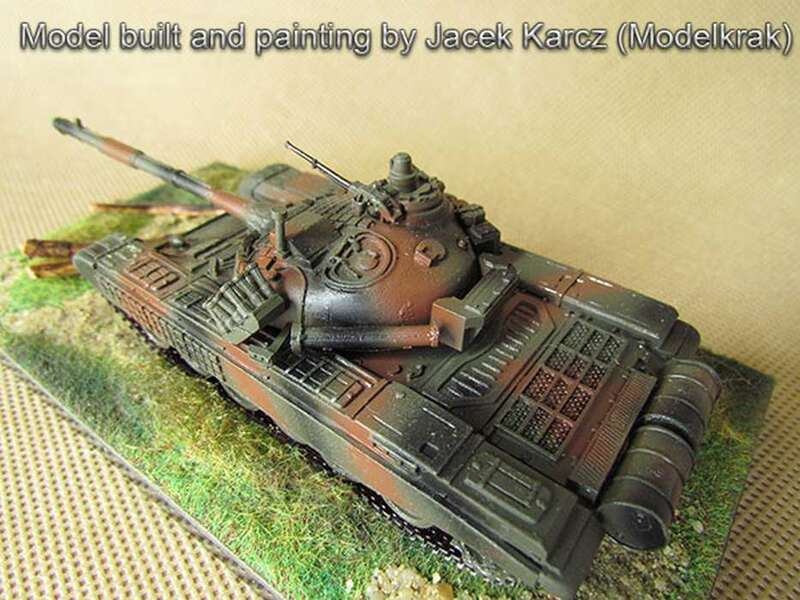 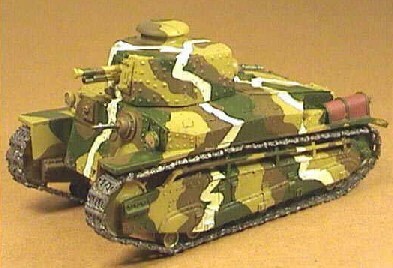 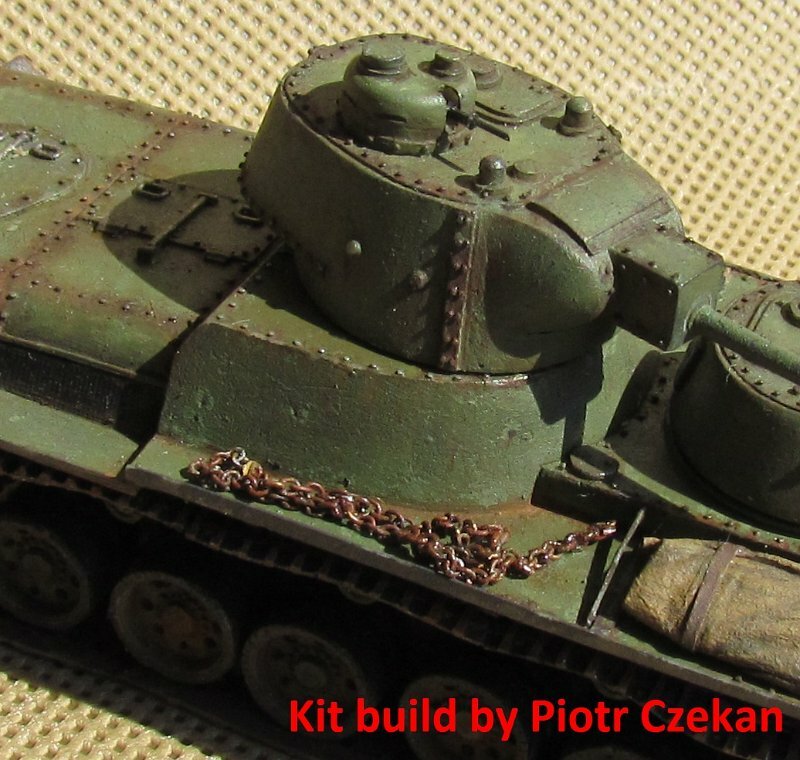 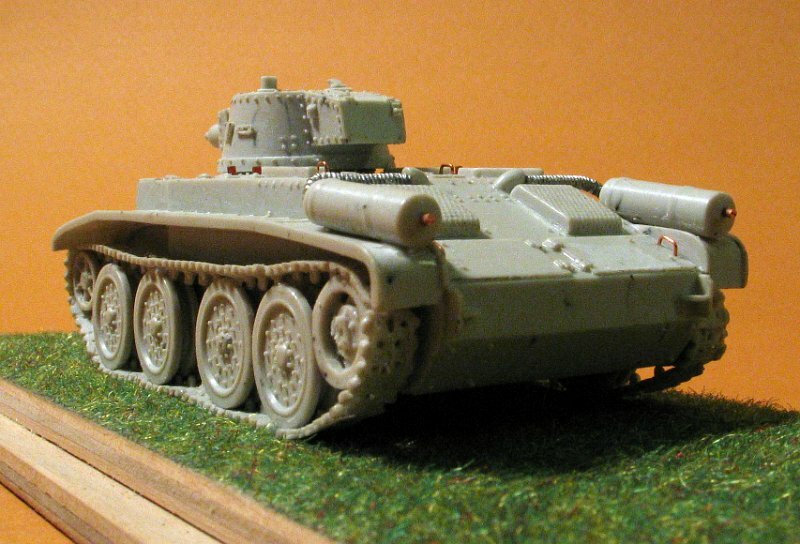 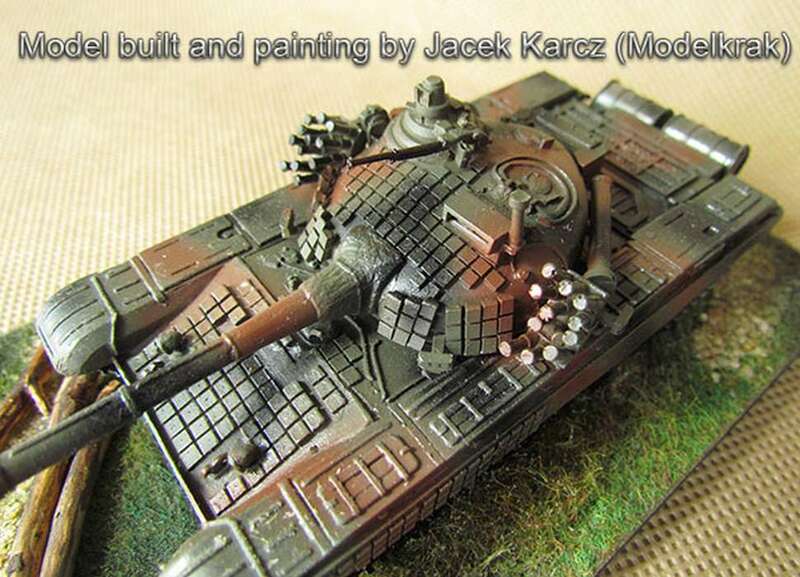 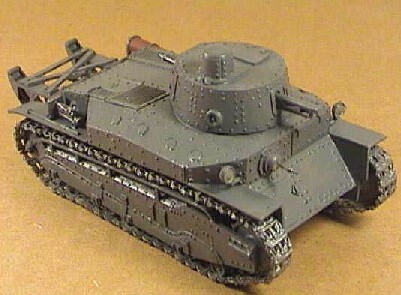 Model built by Andrei Makarov - Kit 72129. 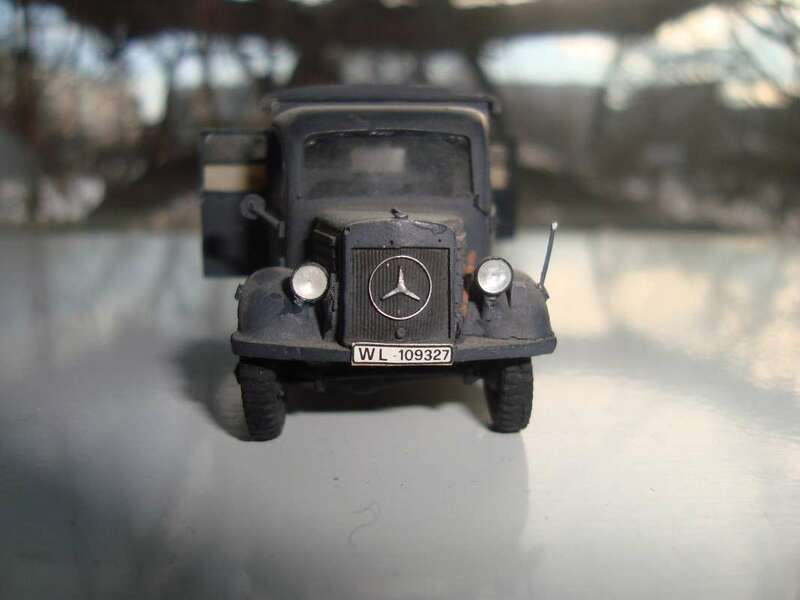 Kit 72130 - Lkw.1,5t Mercedes Benz 1500A( Kfz.31) Mannschaftswagen. 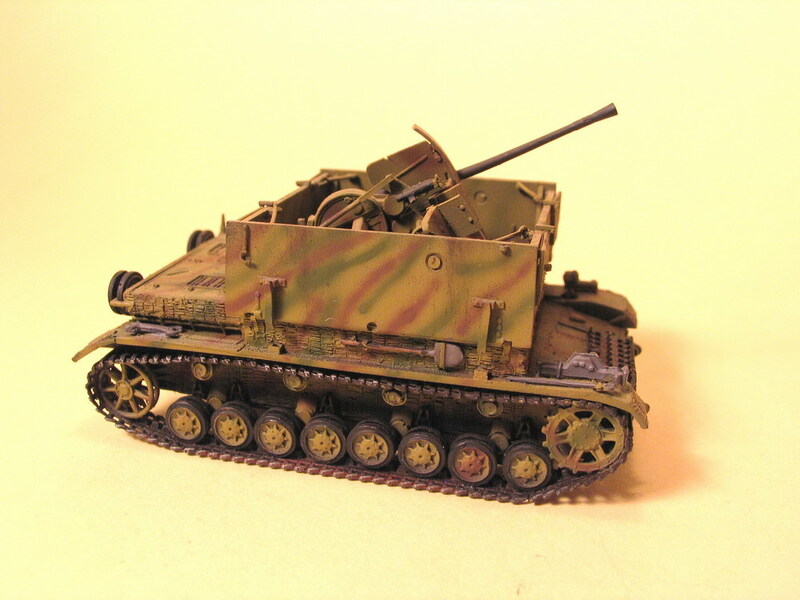 Kit 72131 - 3,7cm Flak auf Panzer IV, Sd.Kfz.161/3 (early). 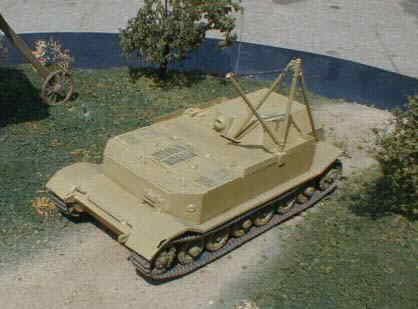 Kit 72133 - 3,7cm Flak auf Panzer IV, Sd.Kfz.161/3 (late) with Zimmerit. 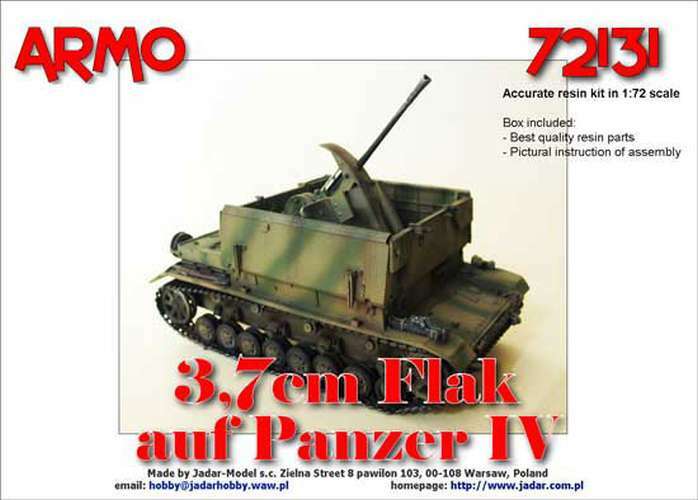 Kit 72134 - 2cm Flakvierling 38 auf Panzer IV. 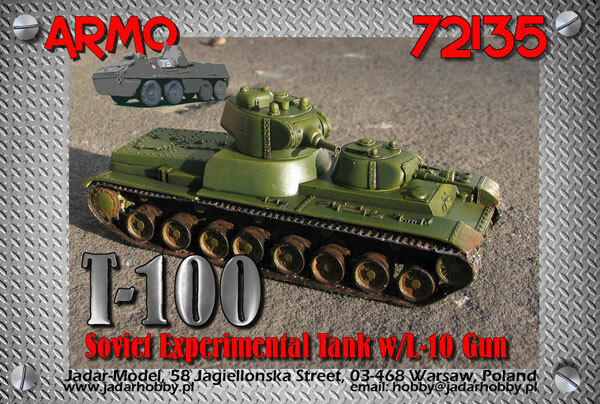 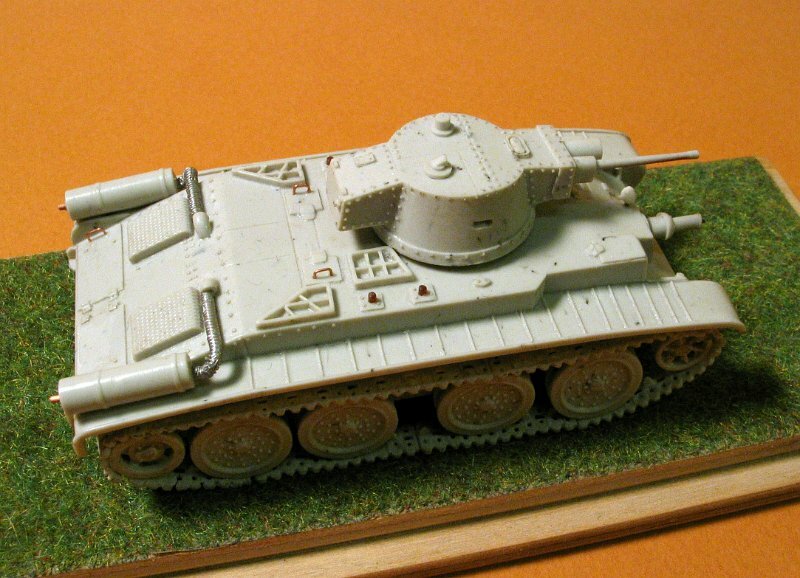 Kit 72135 - Russian T-100 Soviet experimental tank with L10 gun. 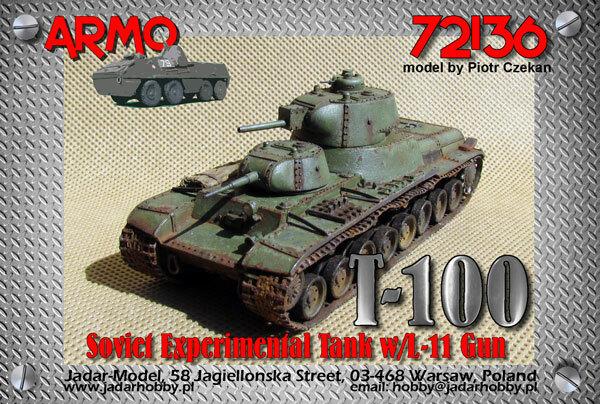 Kit 72136 - Russian T-100 Soviet experimental tank with L11 gun. 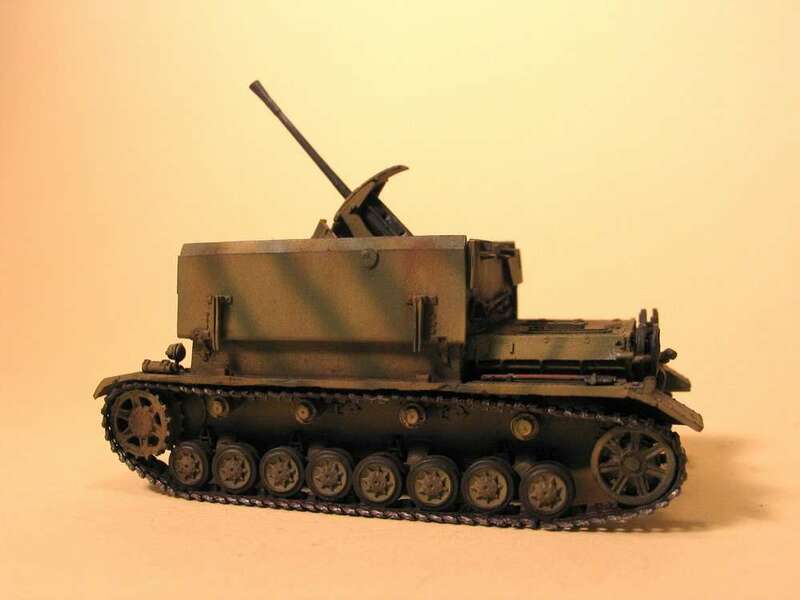 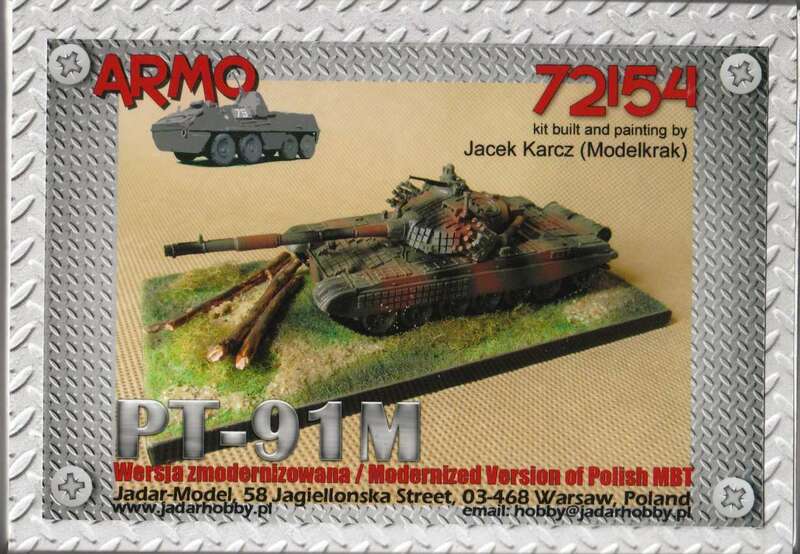 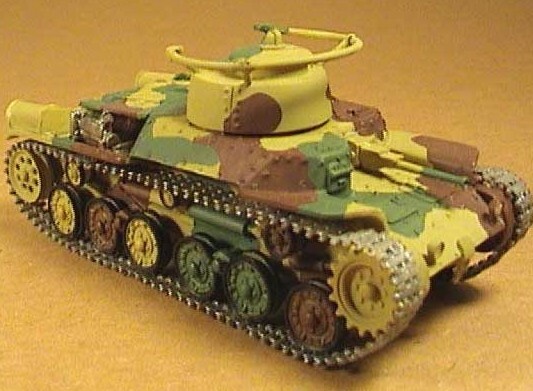 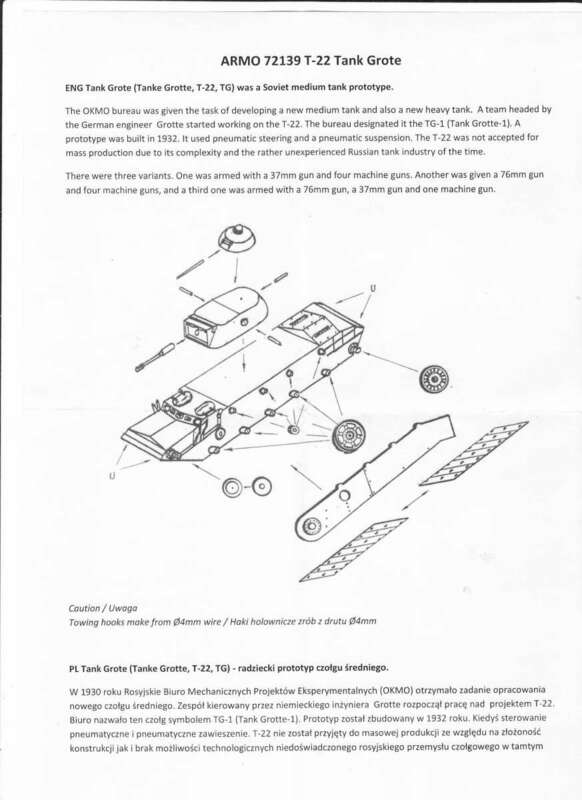 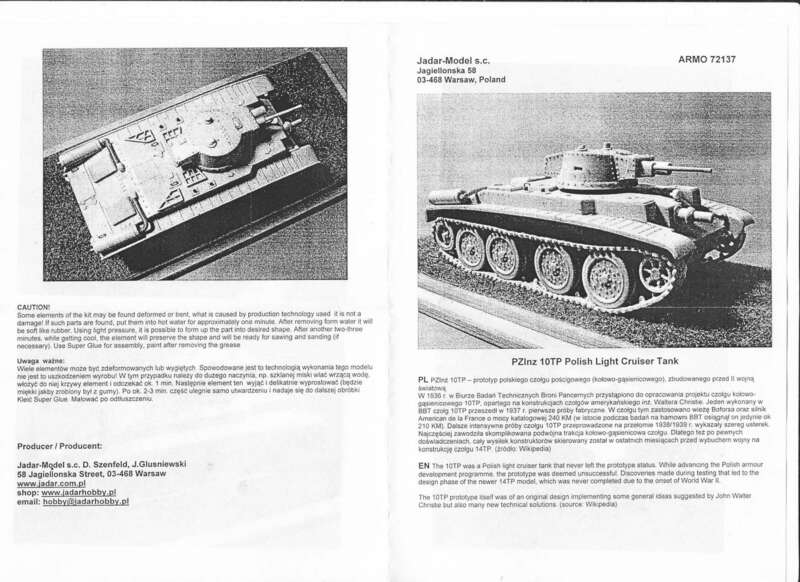 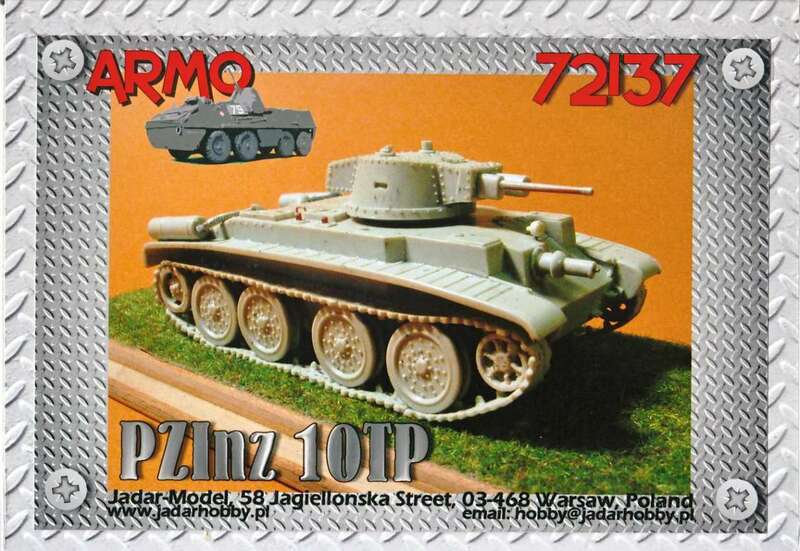 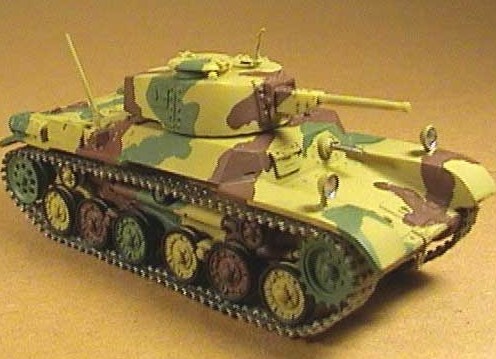 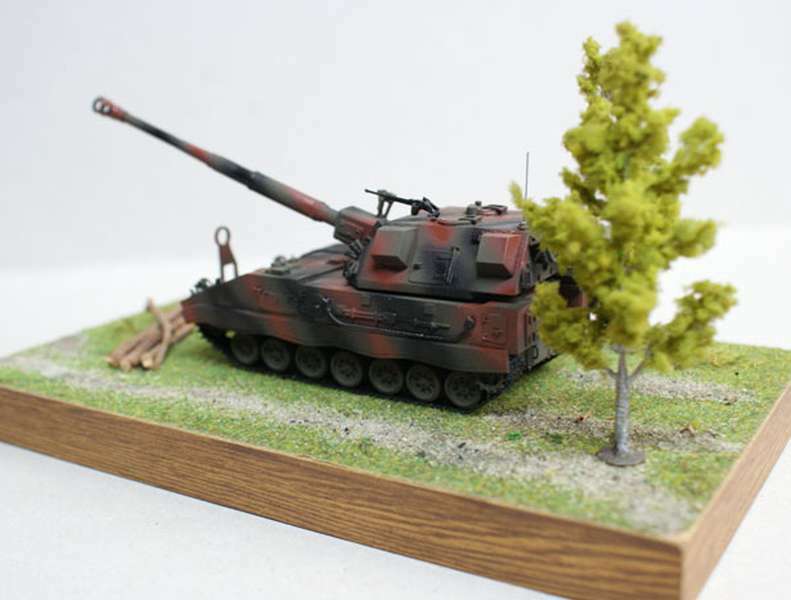 Kit 72137 - Panzer Inz 10TP. 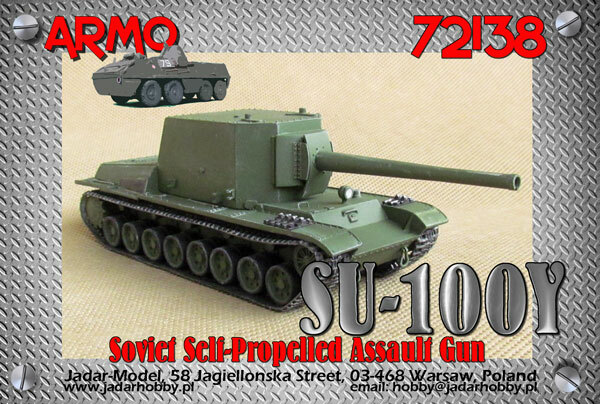 Kit 72138 - Russian SU-100Y self propelled assault gun. 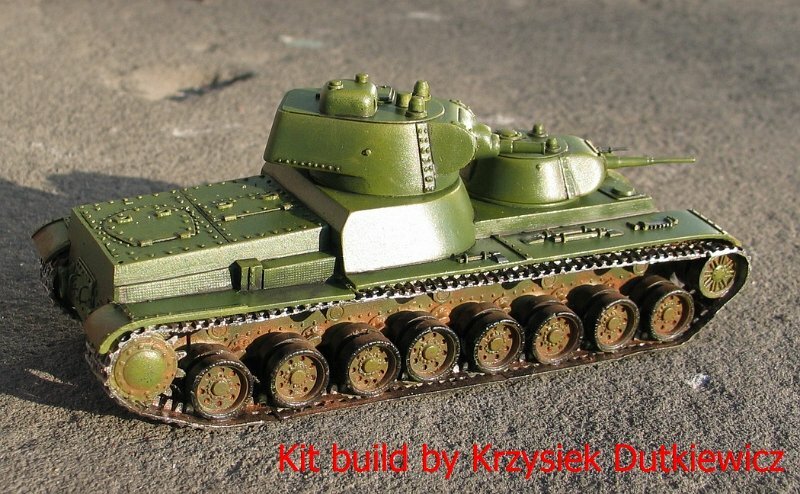 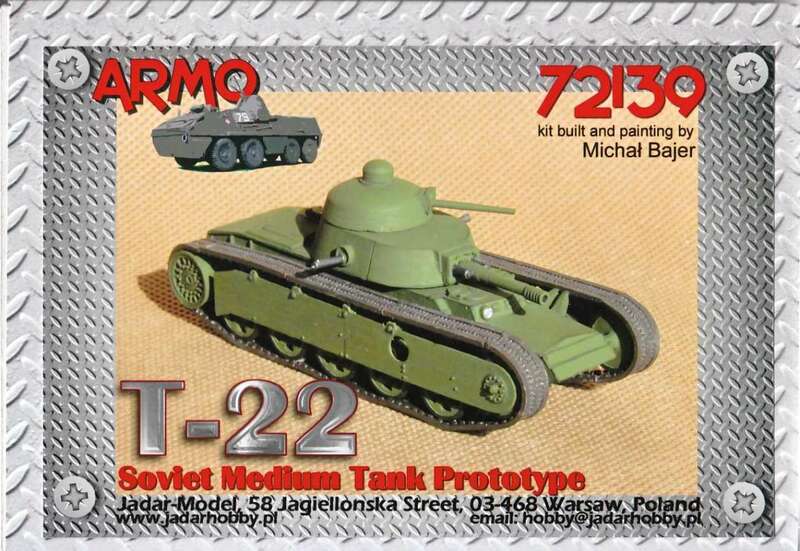 Kit 72139 - T-22 Soviet medium tank (Prototype). 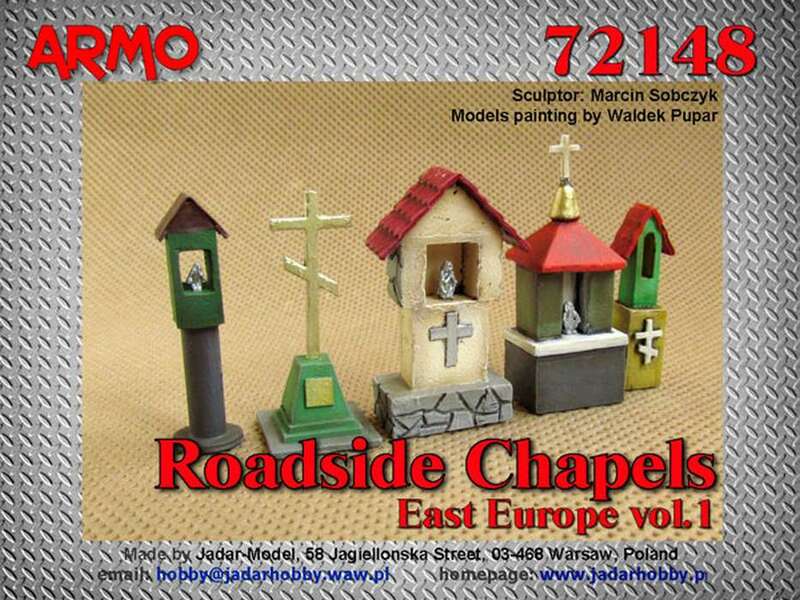 Kit 72148 - Roadside Chapels - East Europe - set 1. 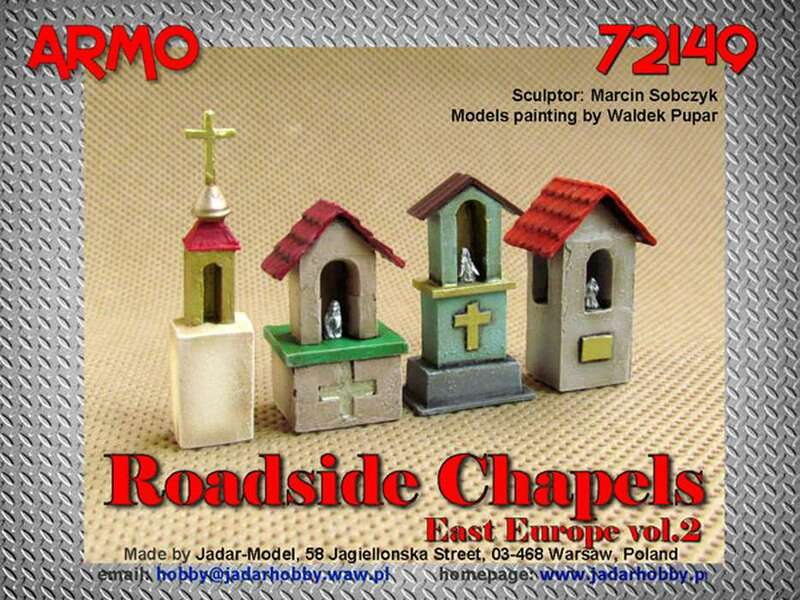 Kit 72149 - Roadside Chapels - East Europe - set 2. 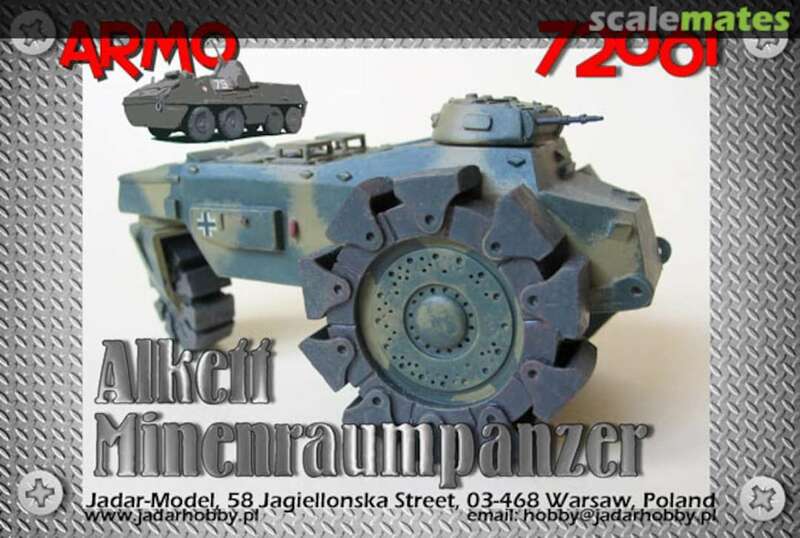 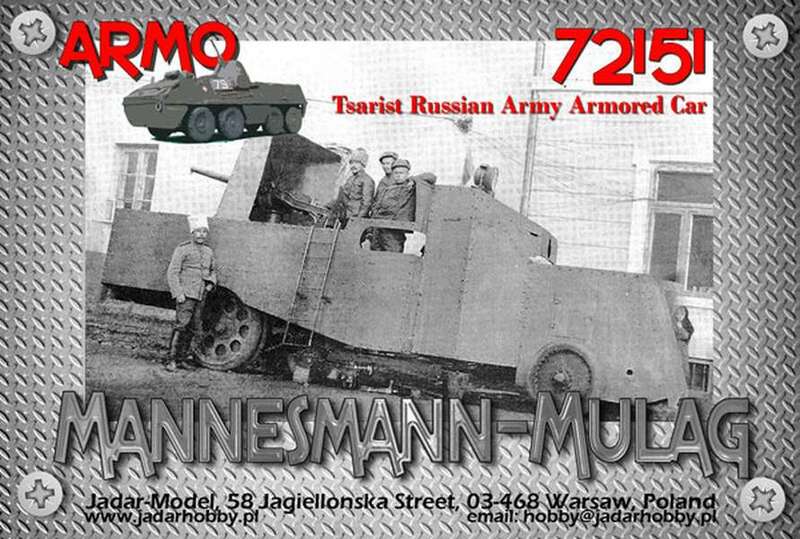 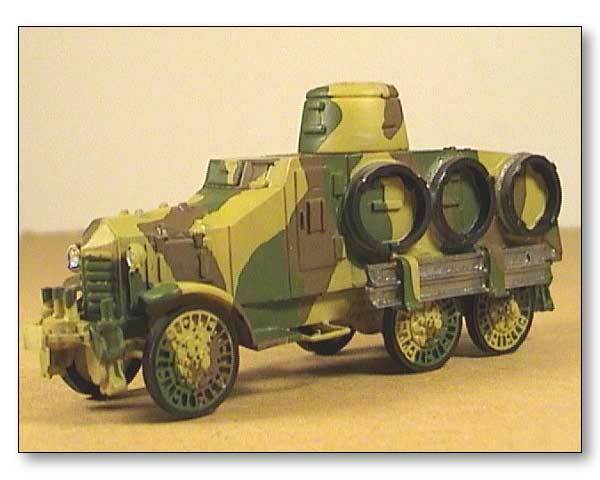 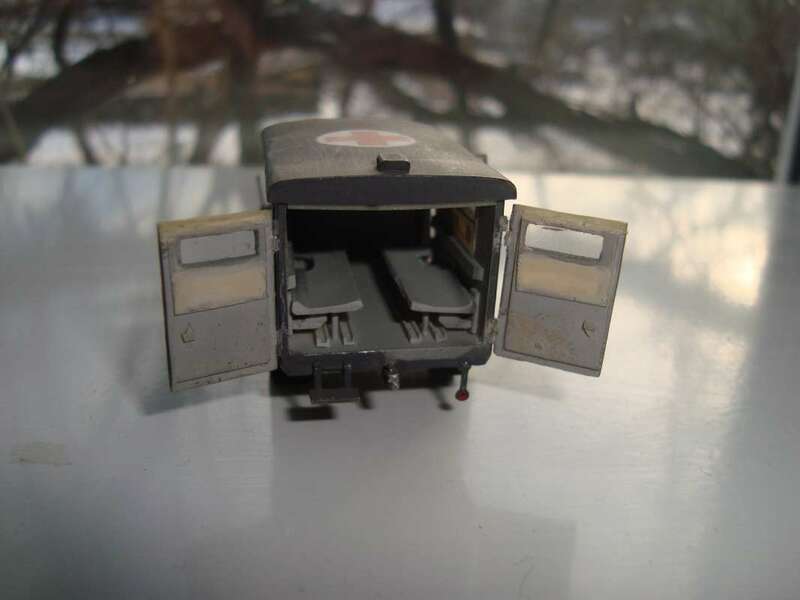 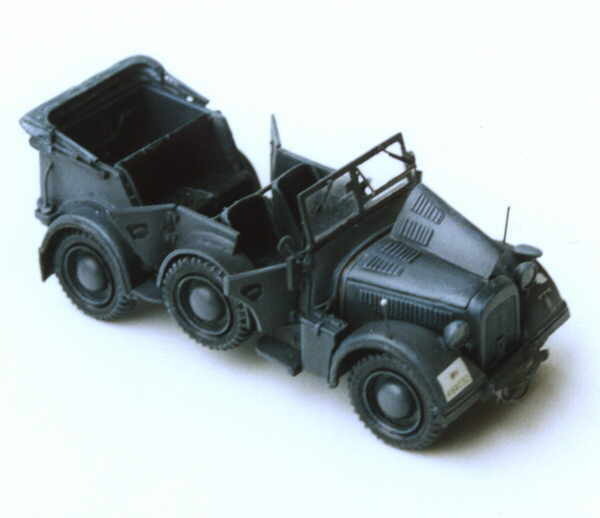 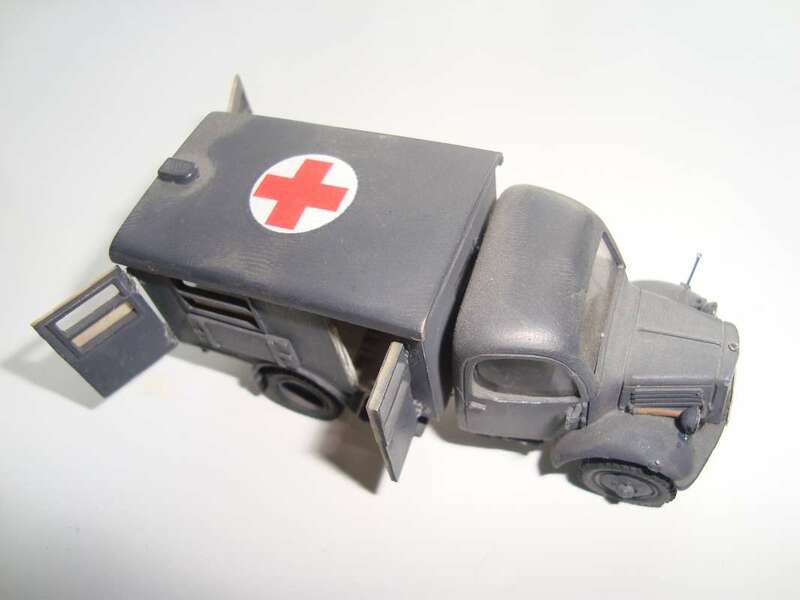 Kit 72151 - Mannesmann-Mulag armored car.